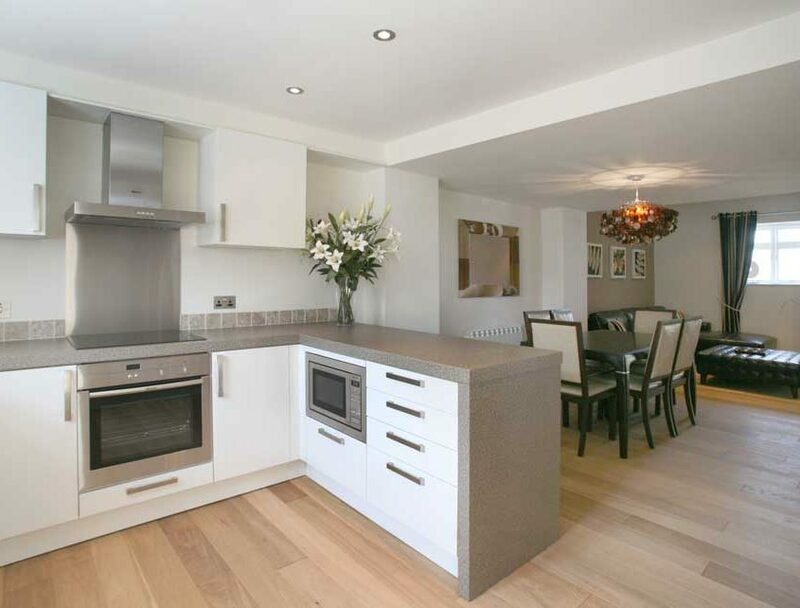 Since 2004 Gleave Homes has built and developed a number of properties, some of which you can see here in our portfolio. 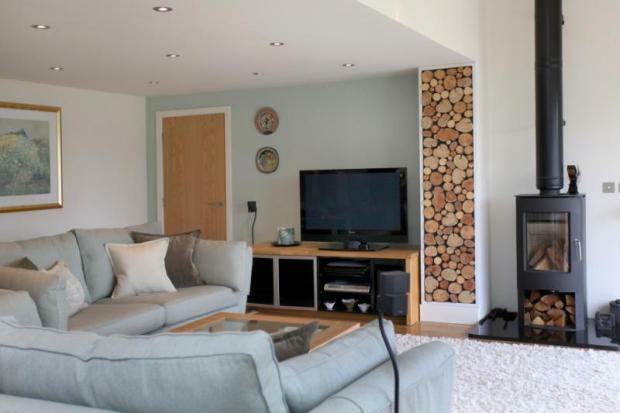 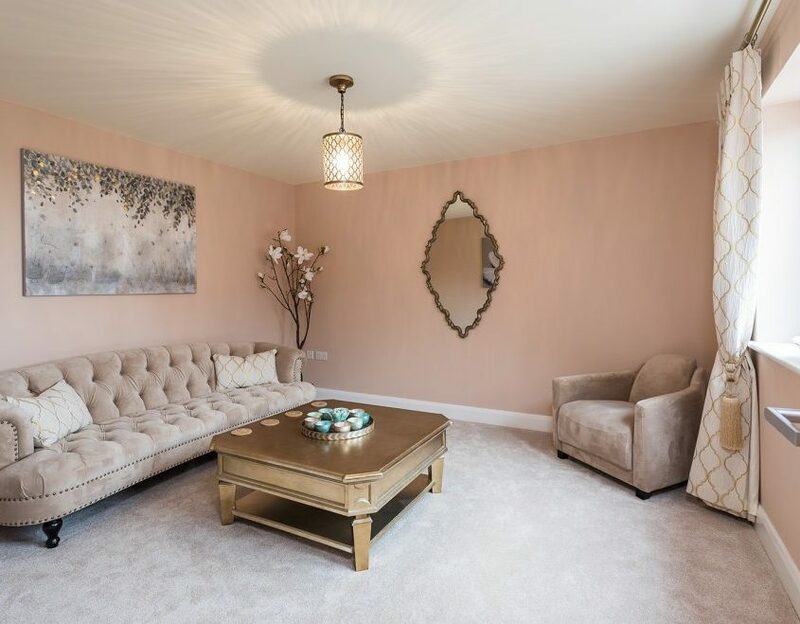 All of our properties are finished to the highest of standards and careful thought is put into the layout, decor and finishing touches to deliver you a home of distinction. 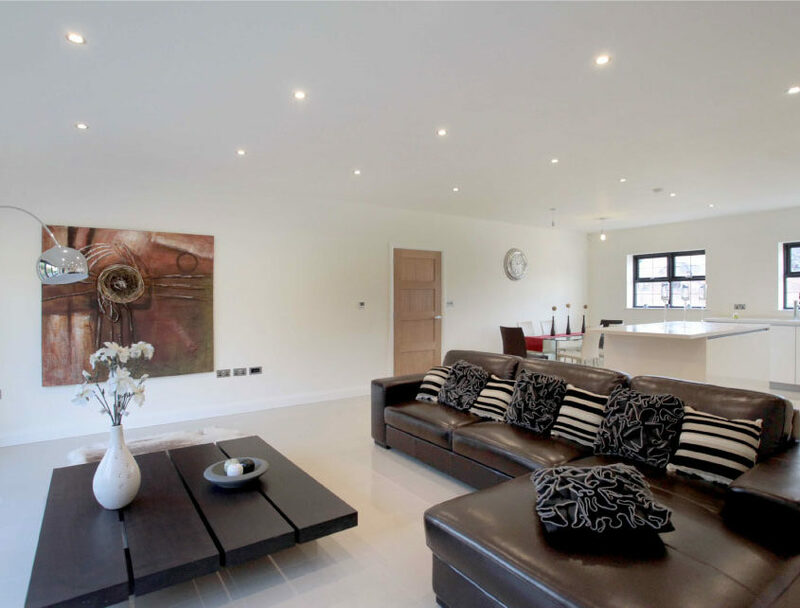 Click on any of the images below to view a slideshow of the selected property. 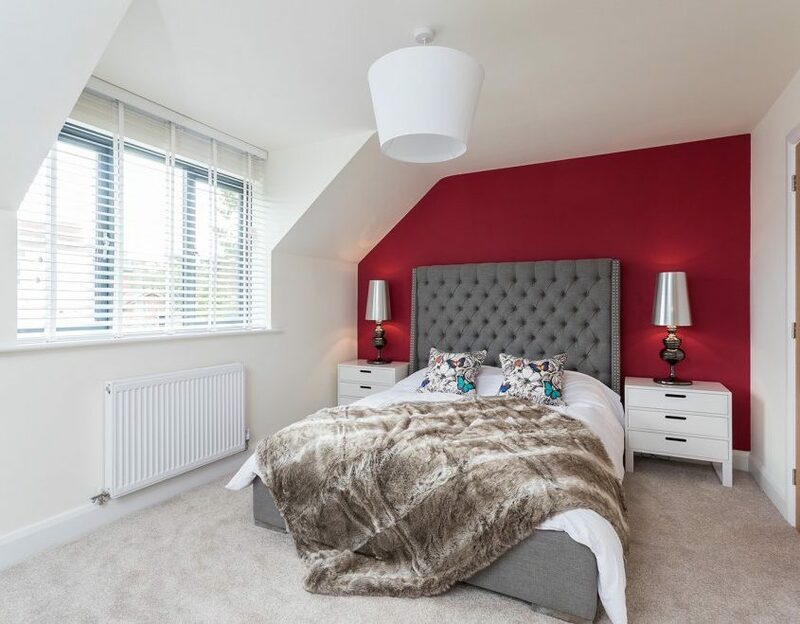 Please Note: All of the properties on this page have now been SOLD – please see our current developments page to see the latest projects from Gleave Homes. 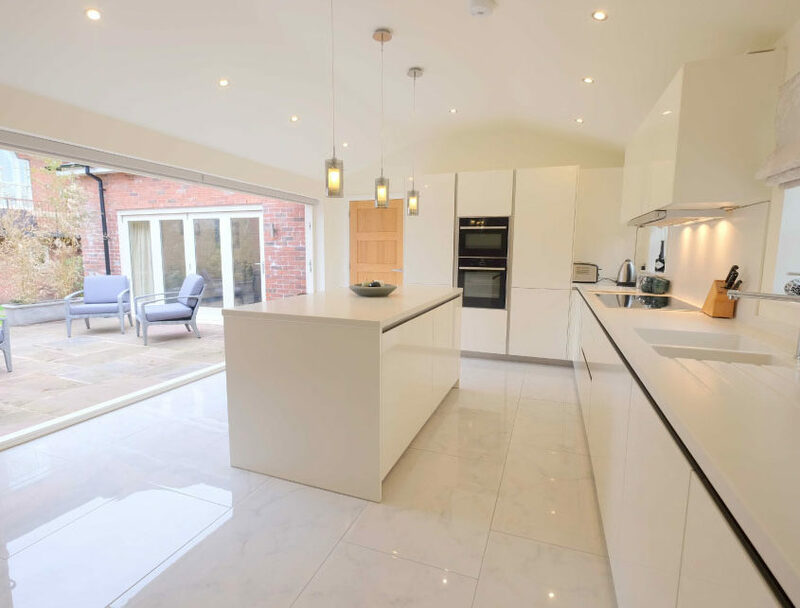 A bespoke, high specification 5 bedroom individual family home, set in an idyllic peaceful location, whilst still offering easy access to Poynton Village Centre, which provides a fine array of facilities, including a Waitrose supermarket and many other superb shops, bars and restaurants. 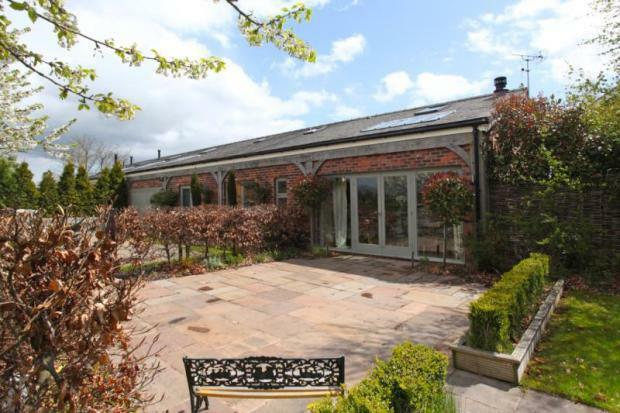 The property is also just moments away from Middlewood Way, the Canal and Lyme Park, appealing to those interested in outdoor activities. 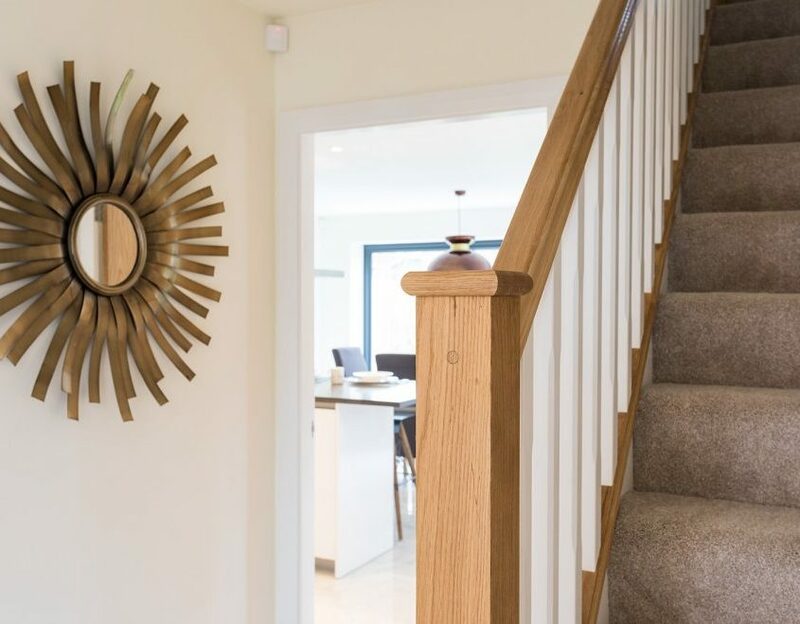 Forming part of the exclusive and gated seven house development at Springbank Farm development every house has a traditional architecture with a contemporary feel. 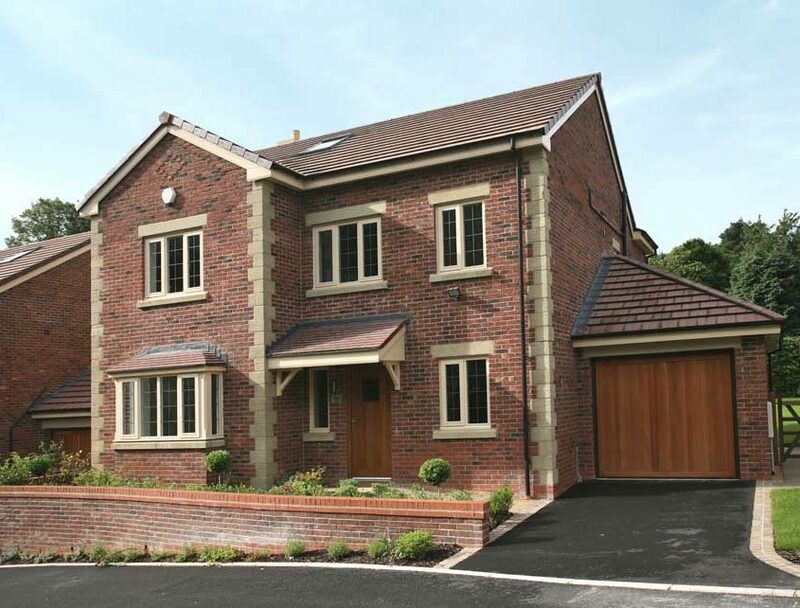 Situated near the Peak District, this exclusive 6 house development boasts traditional aspects with contemporary living. 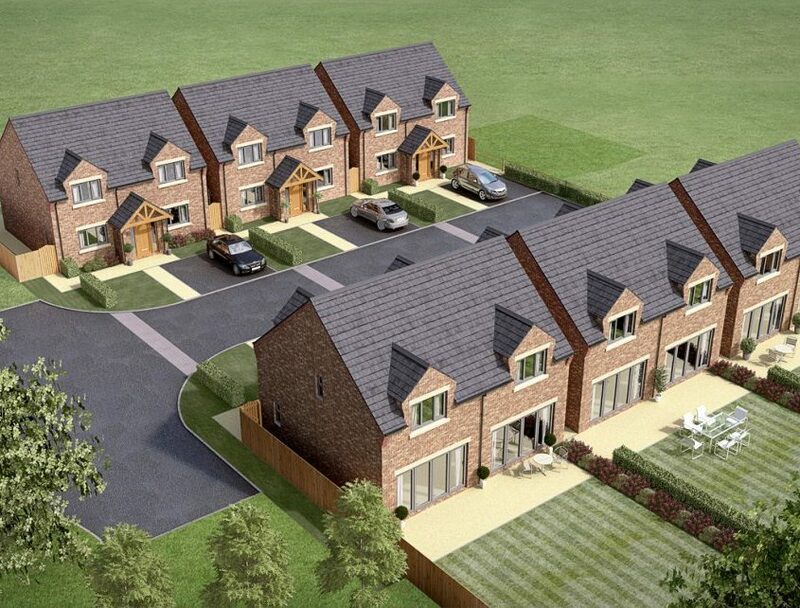 Overlooking stunning Cheshire countryside, these houses are spacious both inside and out, with ample parking and landscaped rear gardens, accessible through expansive glass Bifold doors. 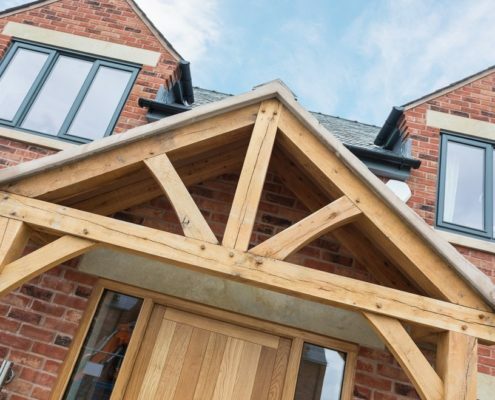 Our commitment to unique and inspired design is clearly evident, with details such as the oak timber porch and dormer windows truly elevating the building. 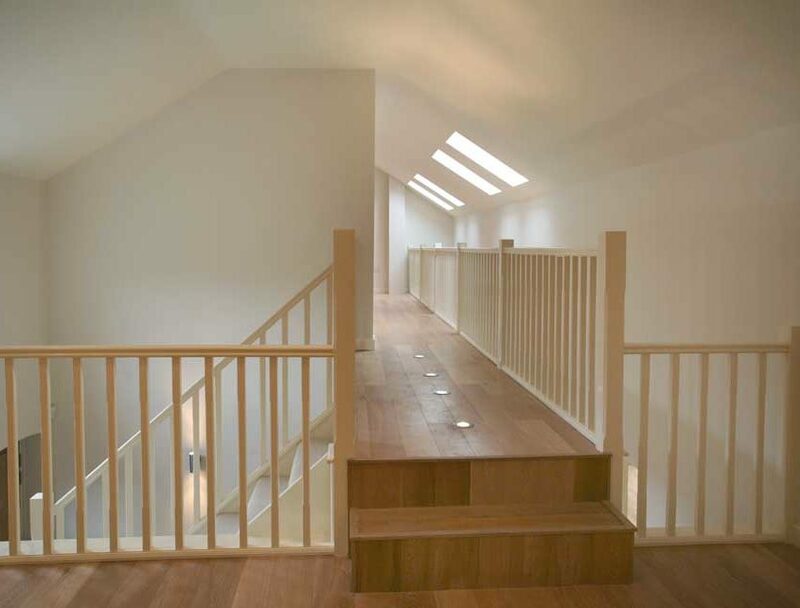 The cul-de-sac arrangement is perfect for families or anyone who wants to be away from traffic. 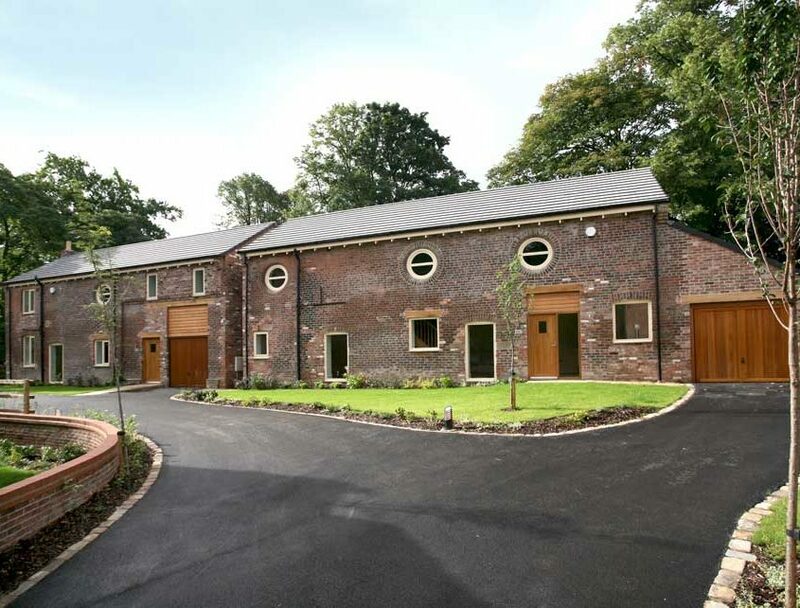 Whitehall Barns comprises of two unique 5 Bedroom properties – The Bell Tower and The Woodlands. 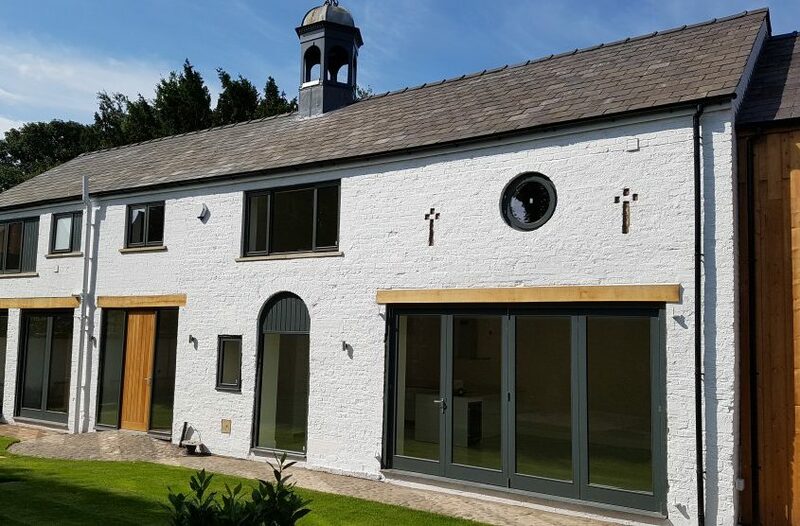 Situated in the curtilage of a listed building, this traditional barn boasts a refurbished historic bell tower with a contemporary timber featured extension with projecting first floor oriel window. 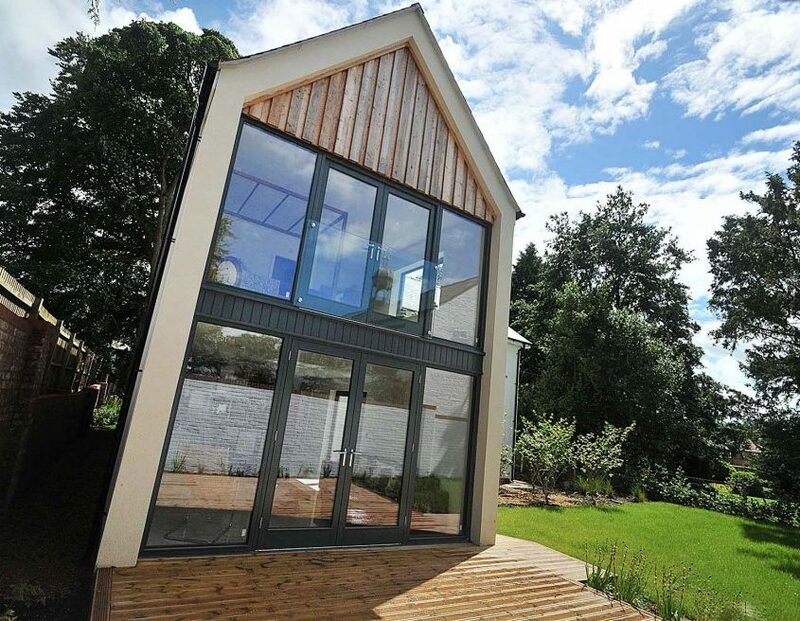 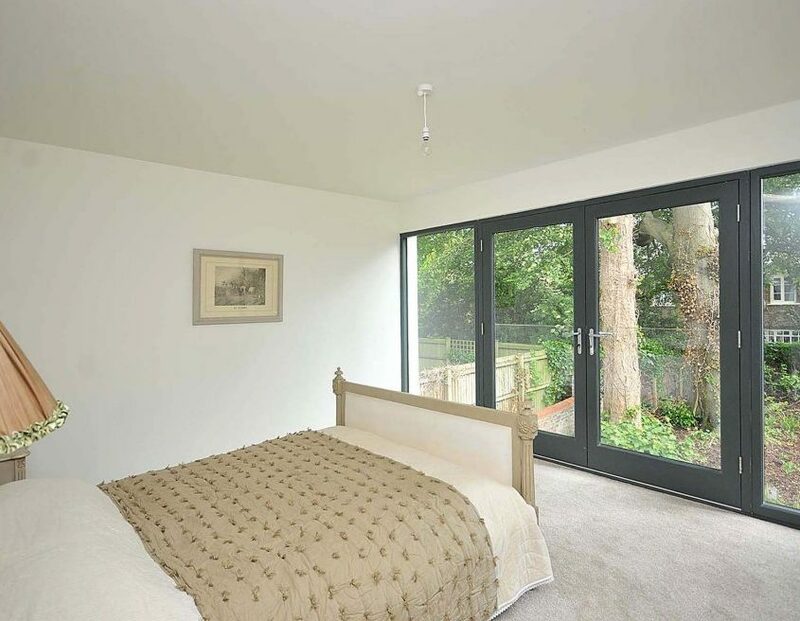 The self-contained annexe is set in contemporary landscaped gardens using both reclaimed and modern materials which is accessed through a private gated entrance off Whitehall Drive. 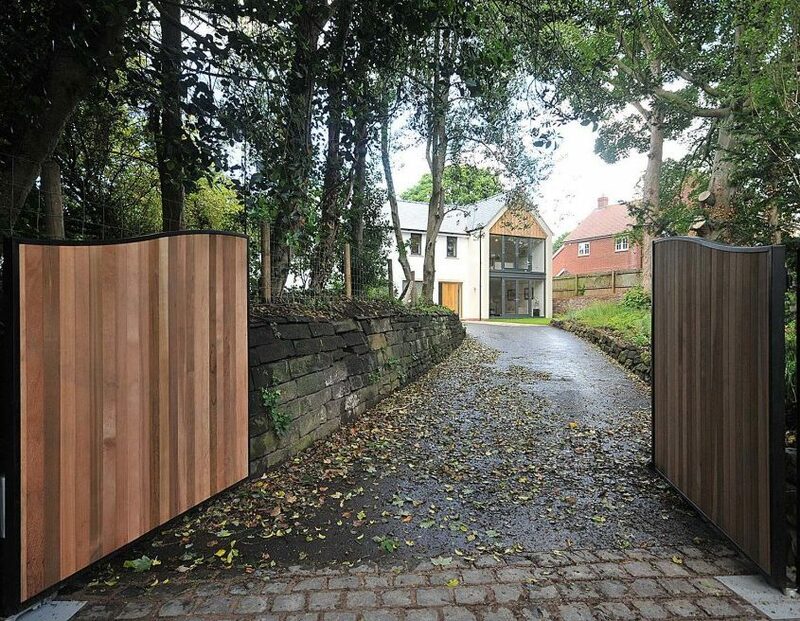 Situated through a private gated wooded driveway off School Lane, this new contemporary aspect home blends easily into the curtilage of historic Whitehall. 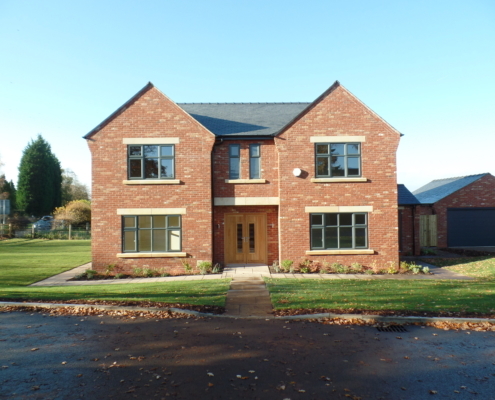 Featuring a blend of render and traditional painted brick with framed and glazed gable ends that overlook the contemporary landscaped and wooded gardens. 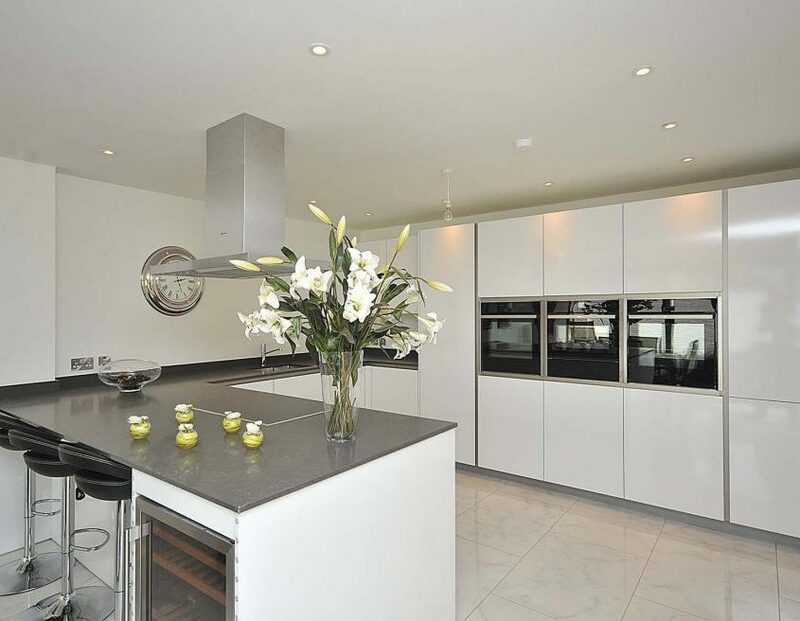 – Rationale Kitchen with Neff appliances featuring a wine fridge, separate larder fridge and freezer and 3 of the latest integral ovens, finished off with a quartz worktop. 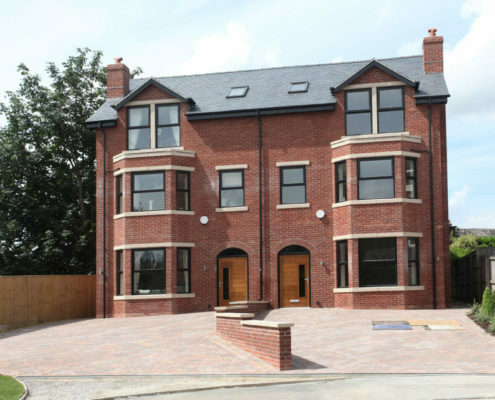 Gleave Homes is proud to have constructed a 4 bedroom coach house nestled next to Seafield House. 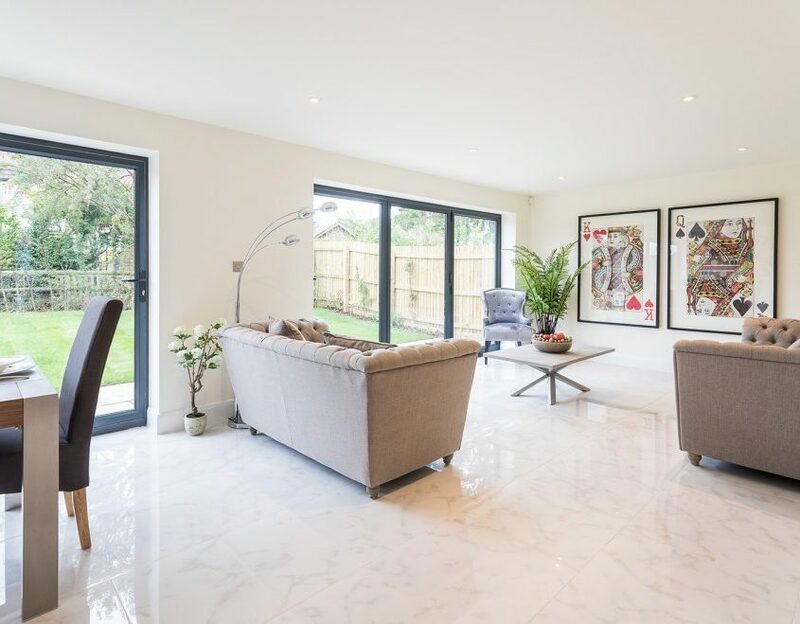 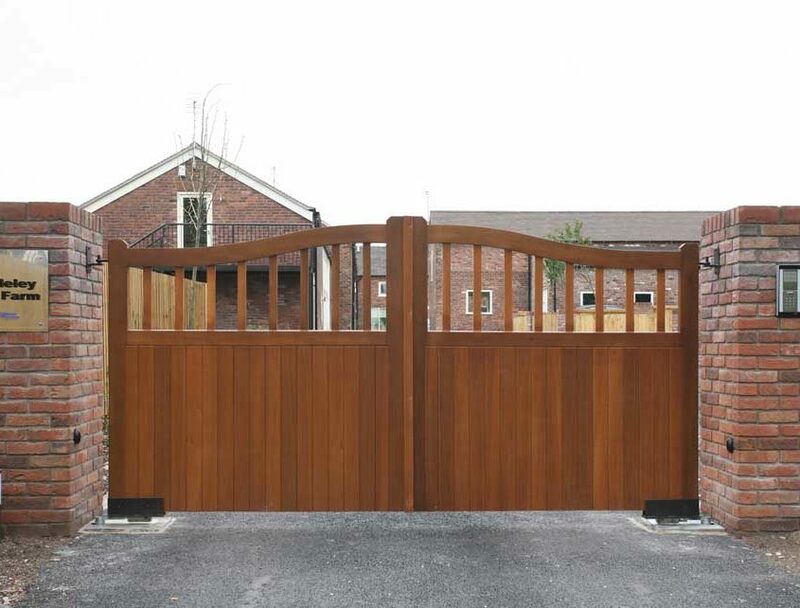 Entered though private gating the Courtyard boasts a large private garden, a separate enclosed courtyard and high specification finishes throughout. 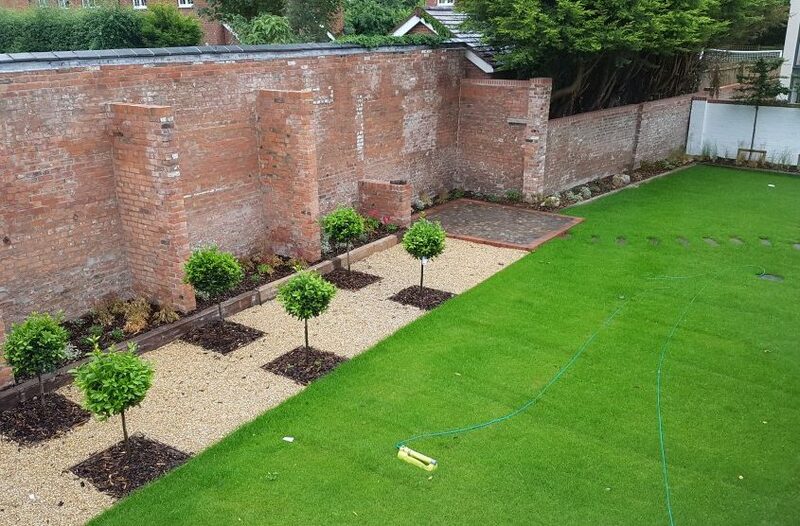 The Courtyard forms part of the conservation area on Swainson Street and stands where the stables and potting shed stood for Seafield House. 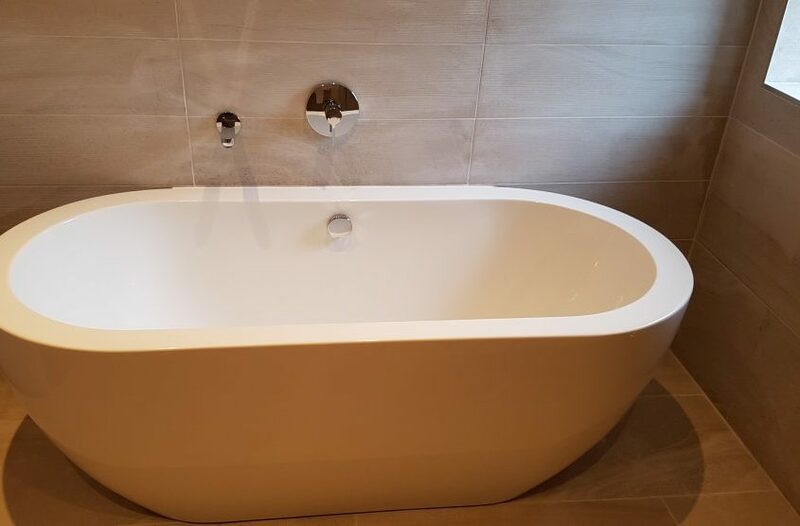 This 4 bed, 2 bathroom home will be constructed to the highest of standards, with Villeroy and Boch sanitary, marble flooring and Rational Kitchens. 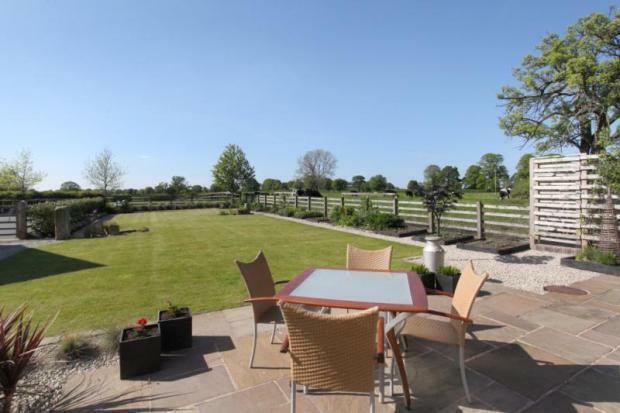 With off road parking through electric gates into a large landscaped garden, this property enjoys all the space not normally associated in the town. 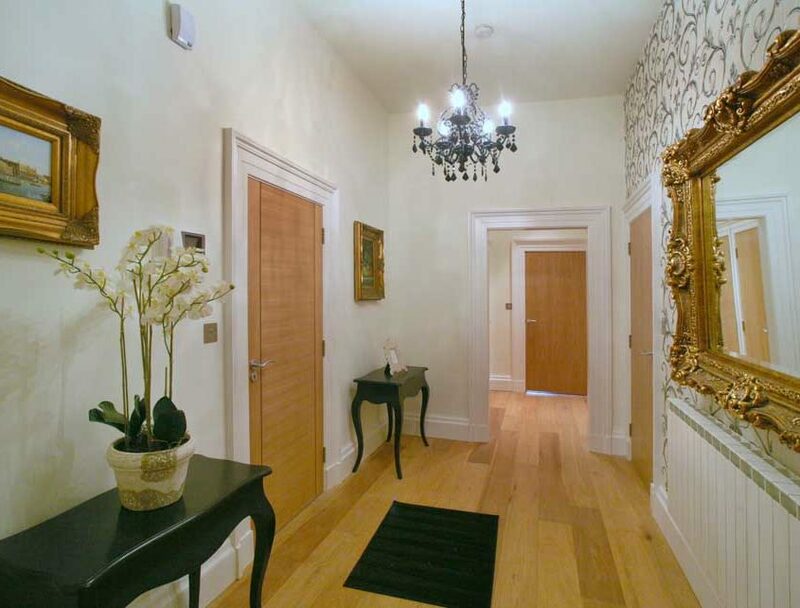 Most rooms face private courtyard internal courtyard which gives light and artistic views. 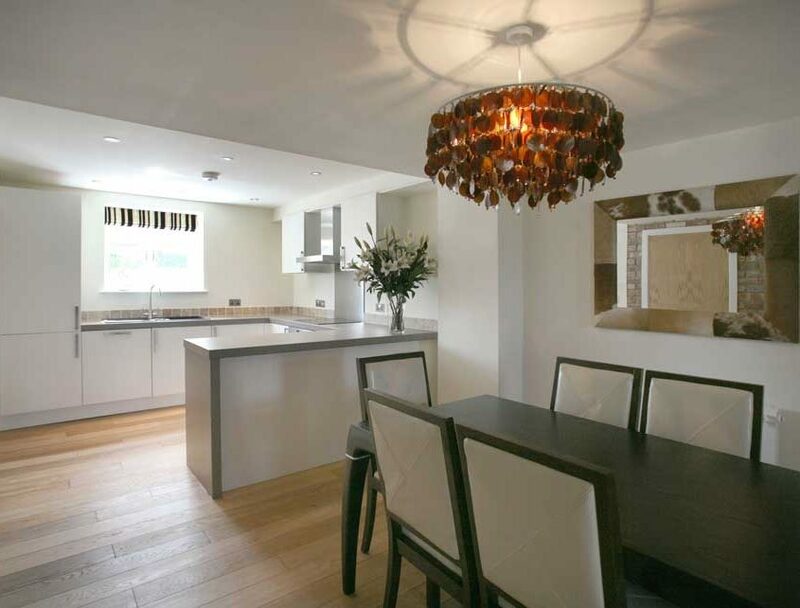 A jewel in the crown of the Gleave Homes portfolio. 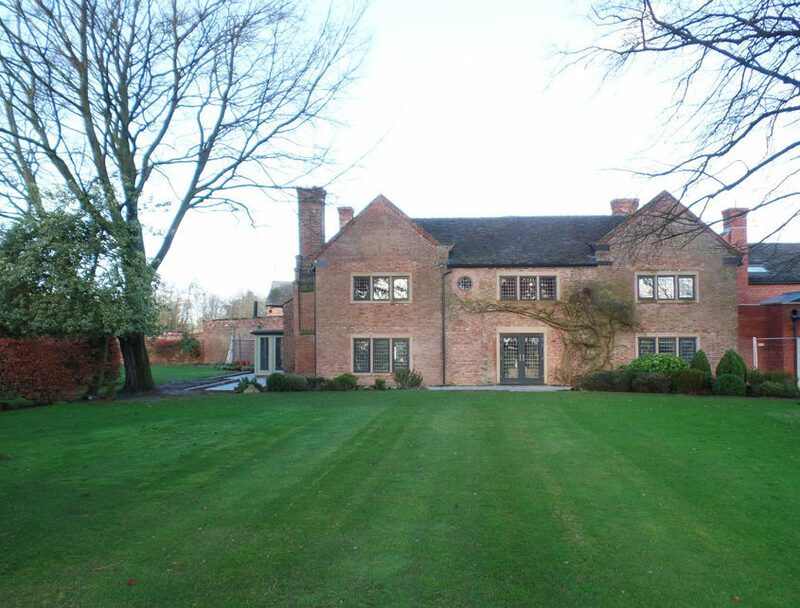 Renovation and extension of a beautiful home stood in large landscaped park land in the middle of the Cheshire countryside on behalf of a private client. 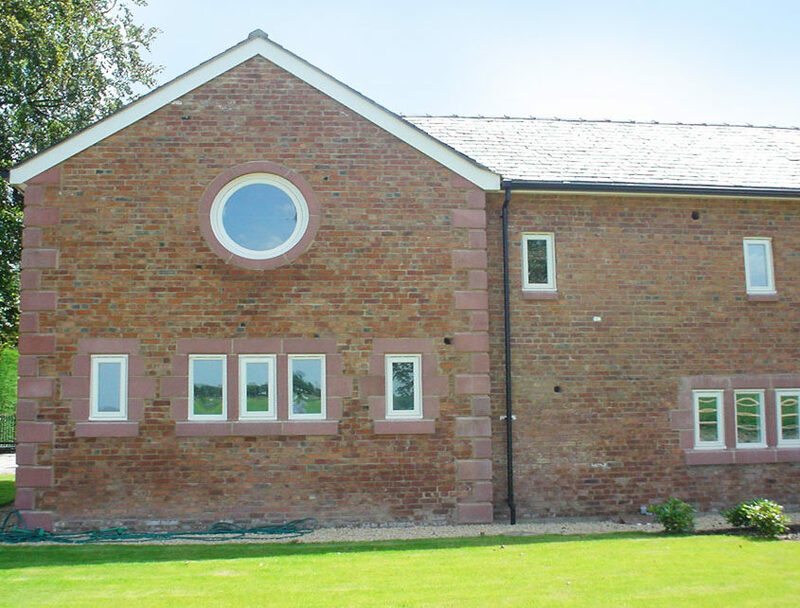 The main house is being fully renovated with a large two story extension and barn conversion round the perimeter of a courtyard. 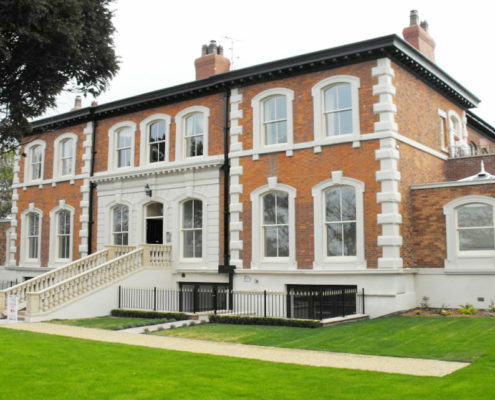 The Embankment is recently completed in a highly regarded location on the edge of Chester 2 miles to the east. 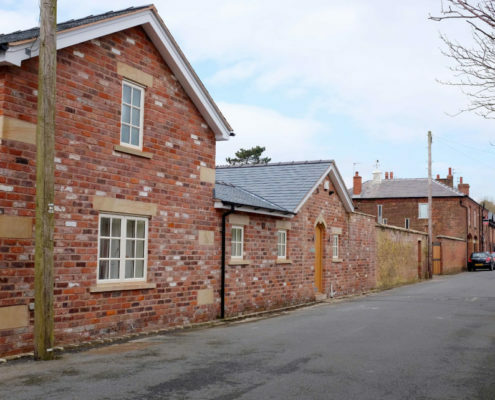 The village offers a church, village hall, post office and pub with more comprehensive services in Chester to include supermarkets and out of town retail parks including Cheshire Oaks. 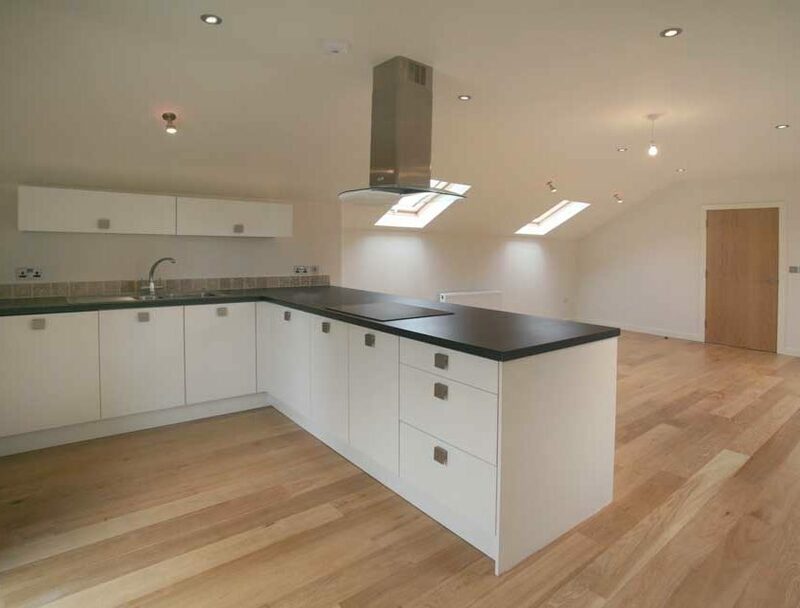 With our rich history of producing quality homes this one is to be finished to the highest standard using named kitchens, appliances and bathrooms. 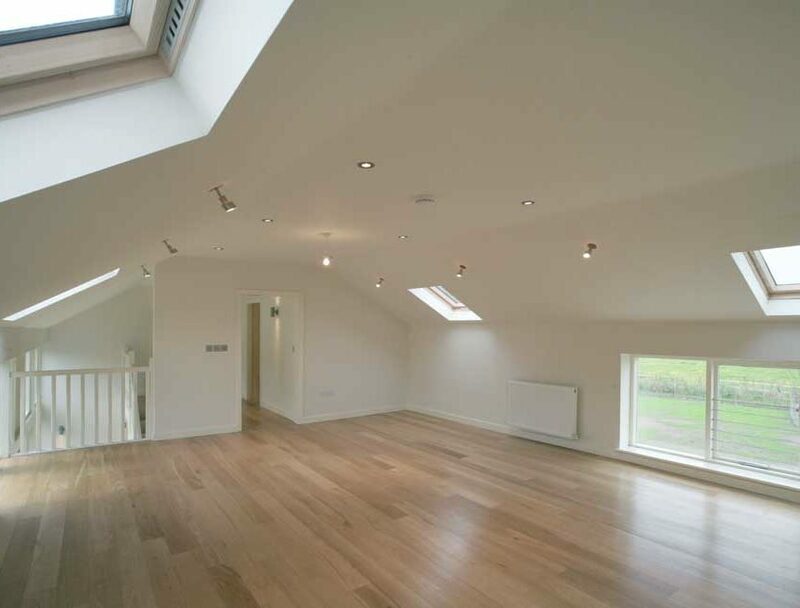 Internally The Embankment will provide over 2750.sq.ft of living space over 2 floors and comprises an Entrance Hall, Open Plan Family Room with Kitchen and Dining Area, Lounge, Dining Room, Utility Room, Garage, Cloak Room, WC, Master Bedroom with En-suite Bathroom, 4 further Bedrooms (1-en-suite), Family Bathroom and Landscaped Gardens. 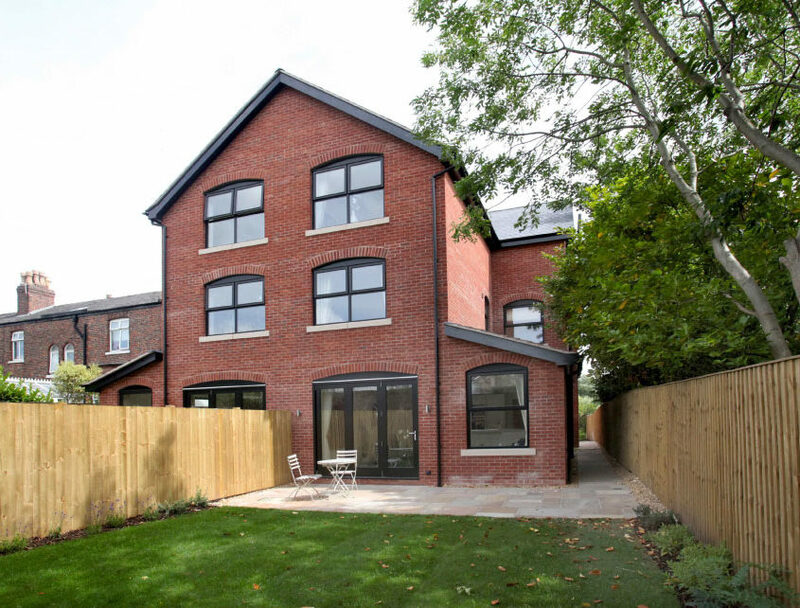 A fabulous development of two x 5 Bedroom, 3 storey Victorian style semi detached properties in a central location within walking distance to the Metro-link and all the amenities in Altrincham. 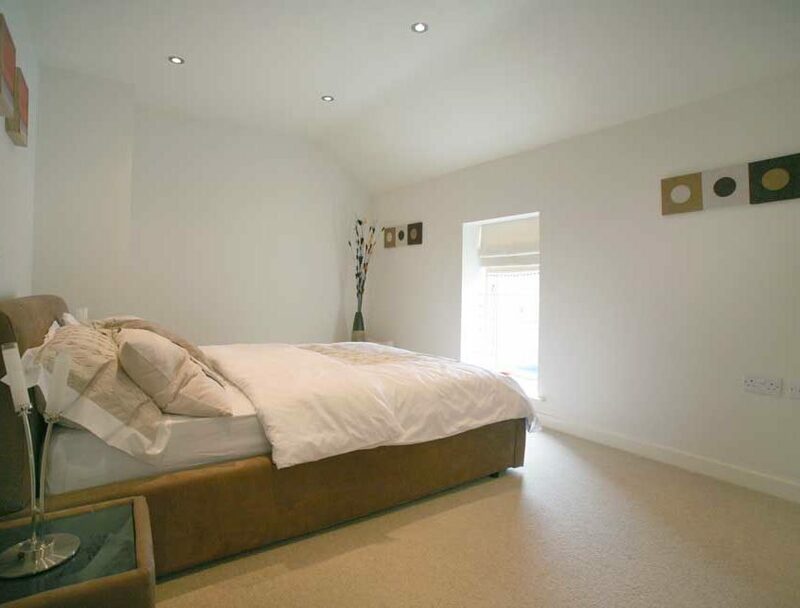 Stunning specification including a top quality German bespoke kitchen and top quality sanitary ware, the accommodation which is basically spread over three floors comprises a welcoming entrance hallway with downstairs cloakroom, principal living room, fabulous breakfast kitchen with bi-fold doors opening onto the gardens beyond. 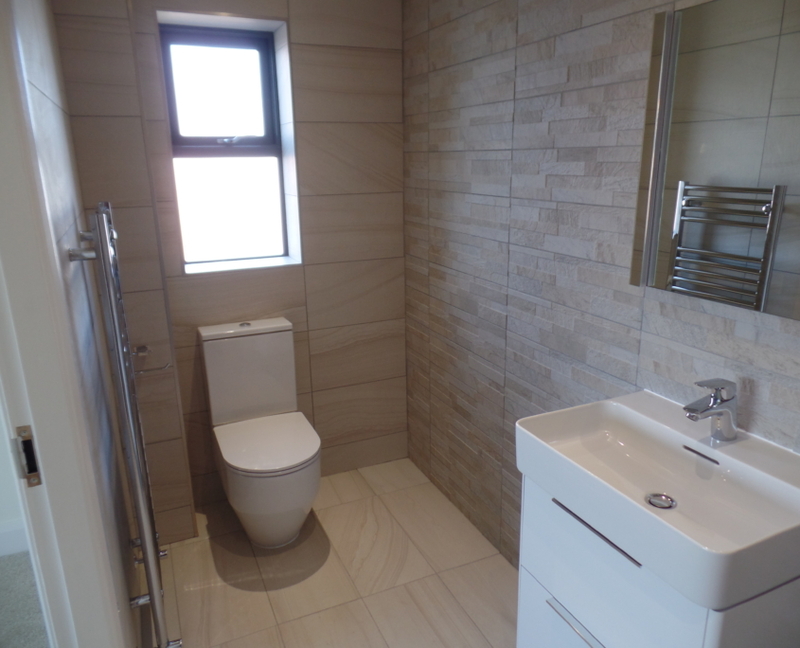 First floor comprising three bedrooms, and a family bathroom. 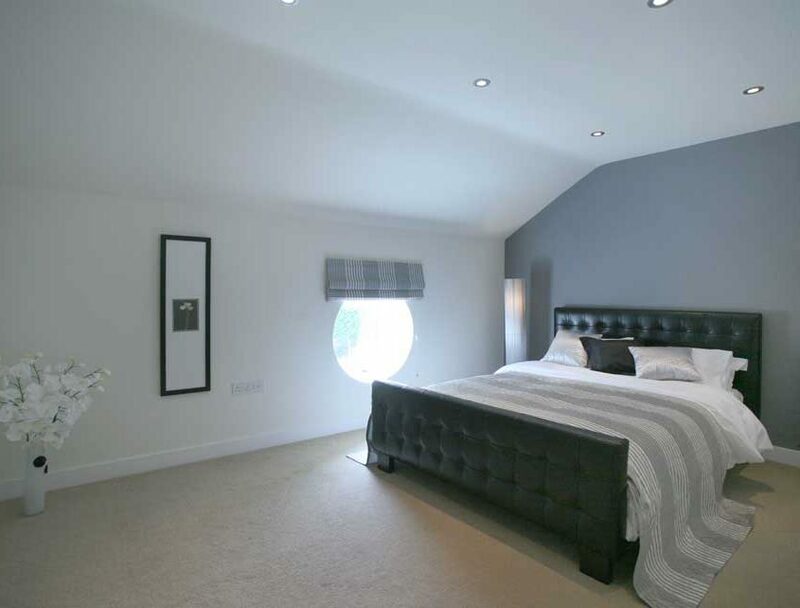 The front bedroom could easily double up as a secondary living room, at top floor level is a master bedroom suite with en-suite bathroom, further bedroom and wet room making five bedrooms and three bathrooms in all. 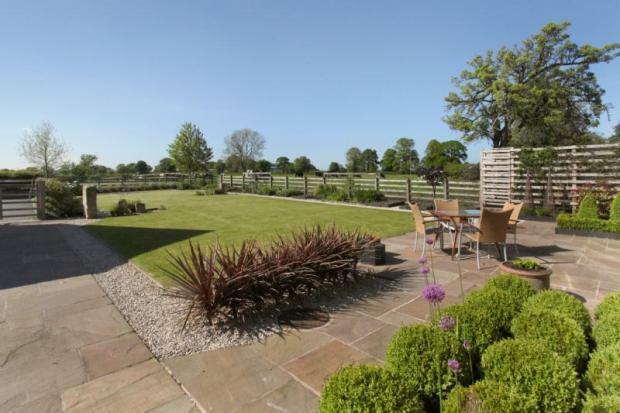 Ample forecourt parking, landscaped gardens to both front and rear. 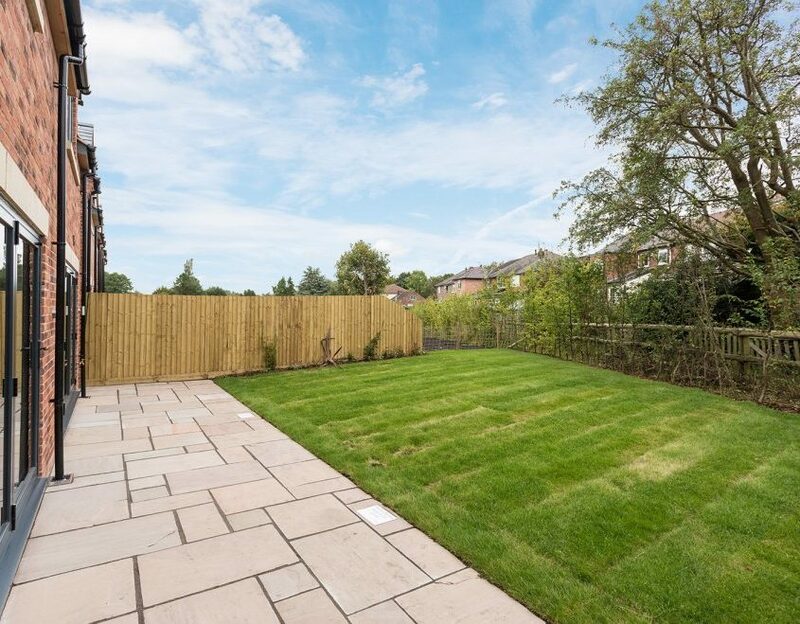 Beautifully finished and sitting within walking distance of Altrincham town centre in a popular quiet cul de sac close to a well regarded local school. 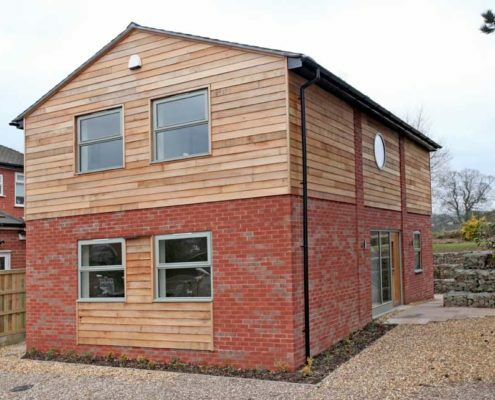 Unique designed barn styled home complimented by premium cedar wood cladding which enables the house to blend in with its rural surroundings. 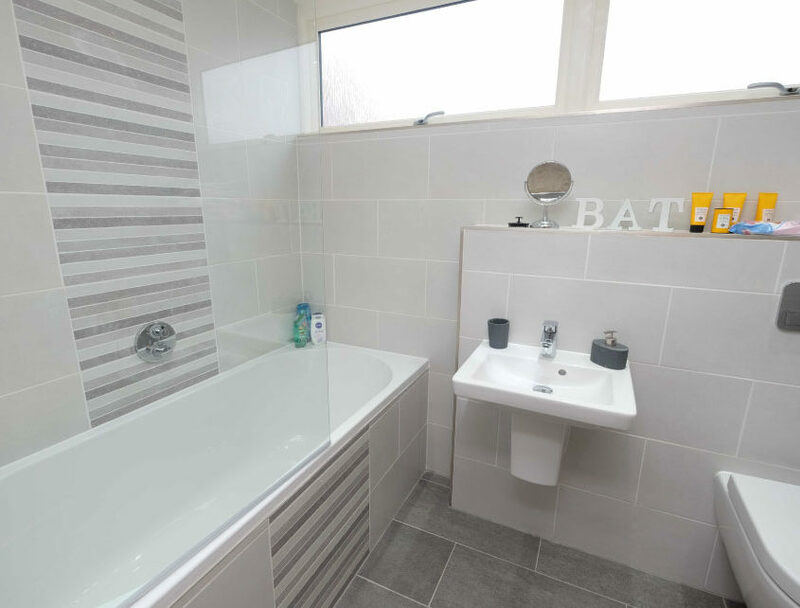 Located on a prestigious and sought after road within the village of Golborne, this property is ideally situated for many local amenities and yet within easy reach of the A580 giving access between Manchester and Liverpool and the motorway network. 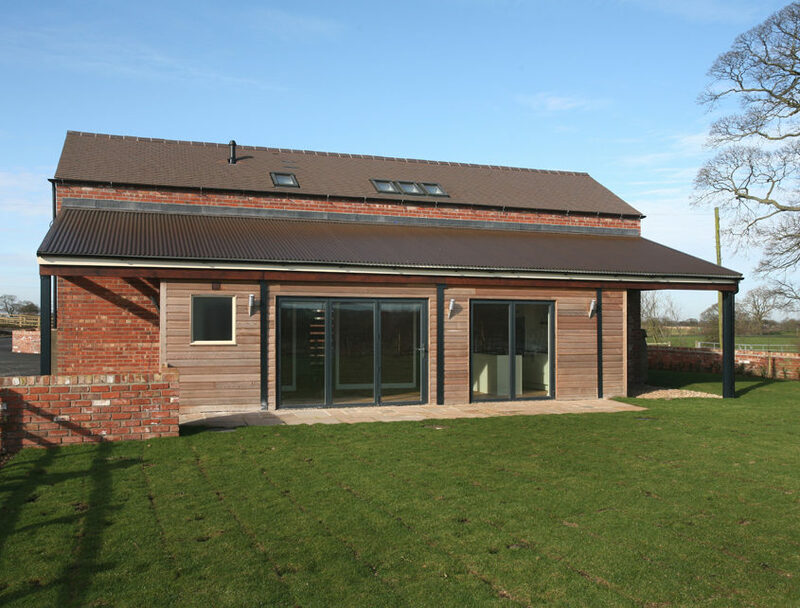 This ‘new build’ property is unique in design and complimented by premium cedar wood cladding which enables the house to blend in with its rural surroundings. 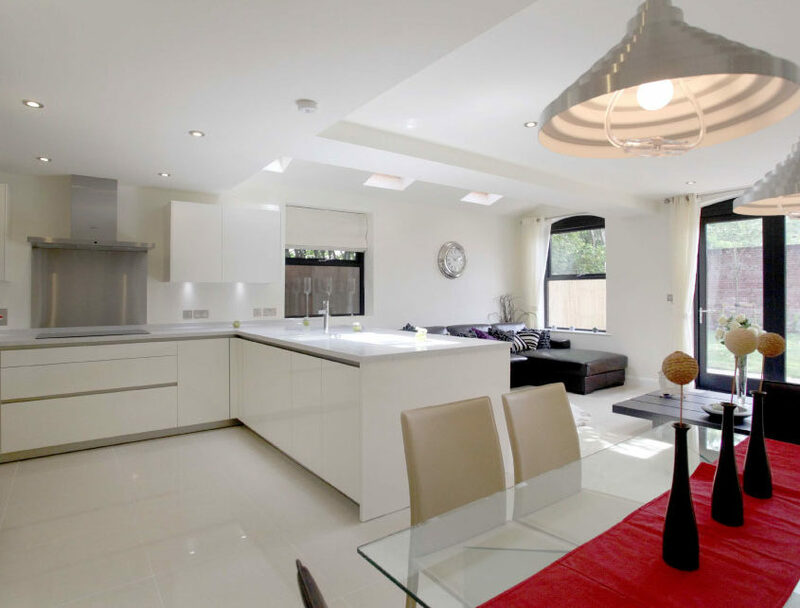 The property includes high specification fitments throughout and comprises of spacious entrance hall, lounge, kitchen/diner, utility, downstairs WC, three bedrooms, master including en-suite & juliet balcony with outstanding views to the rear and a separate family bathroom. 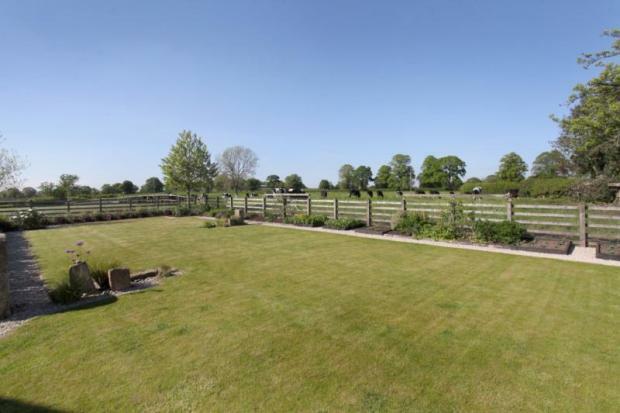 Externally , to the front a gravel driveway provides ample parking and a path leads to the a rear raised level garden which is mainly to lawn incorporating mature shrubbery and trees and yet with far reaching views across farmland and beyond. 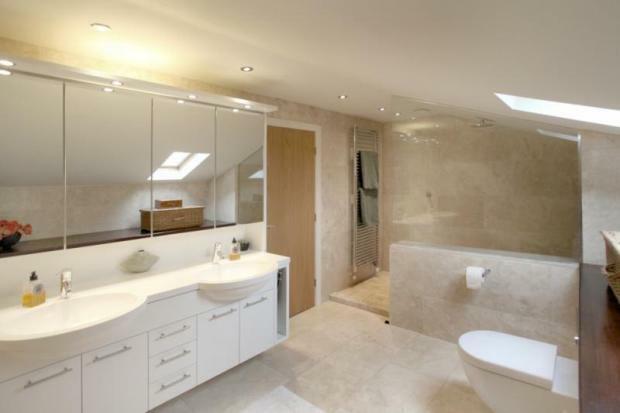 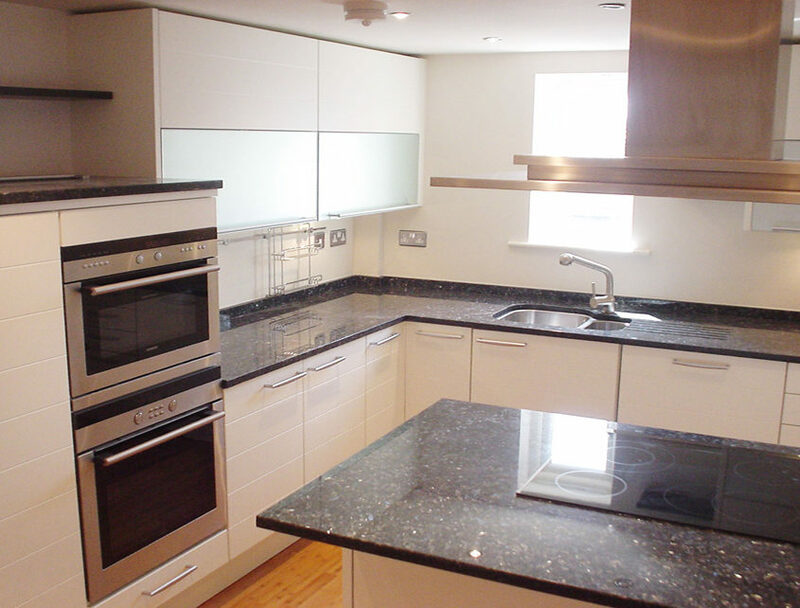 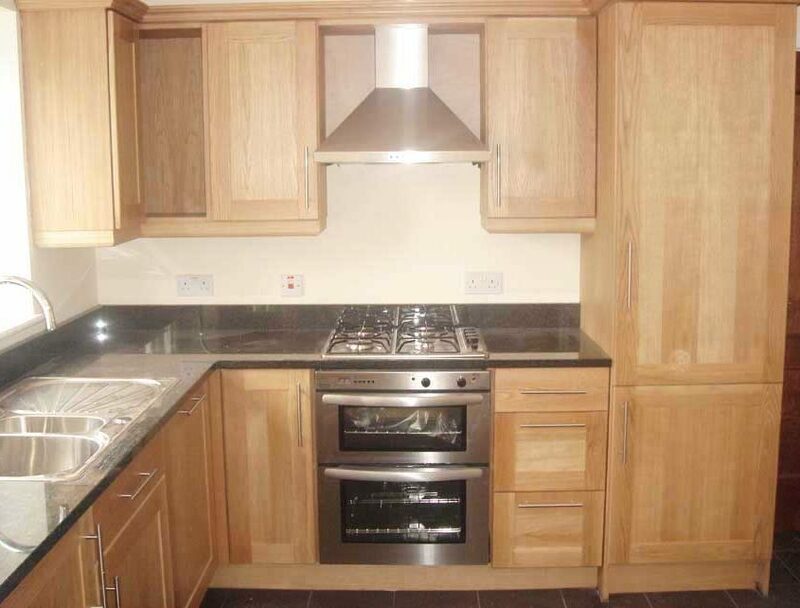 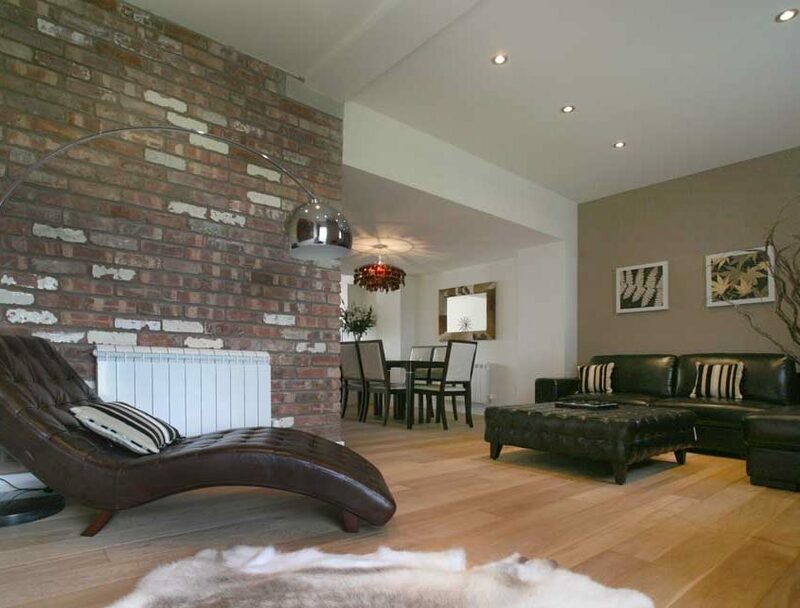 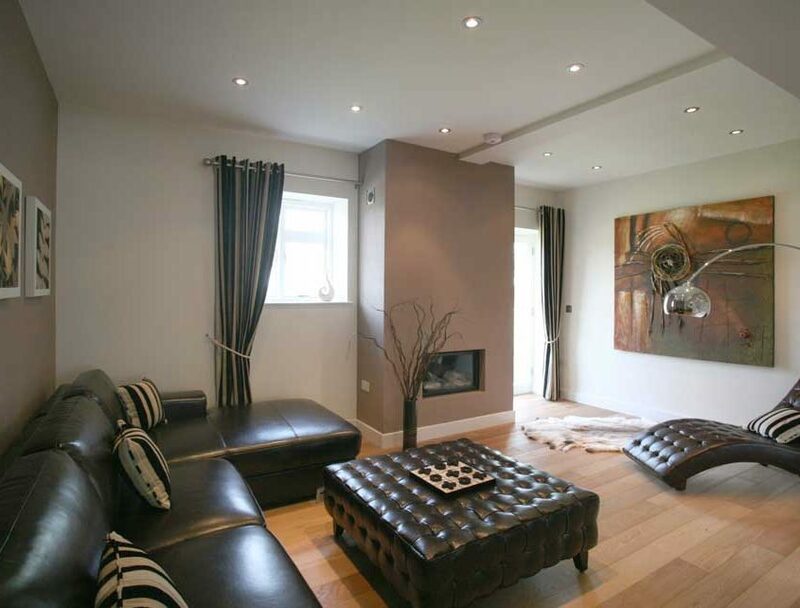 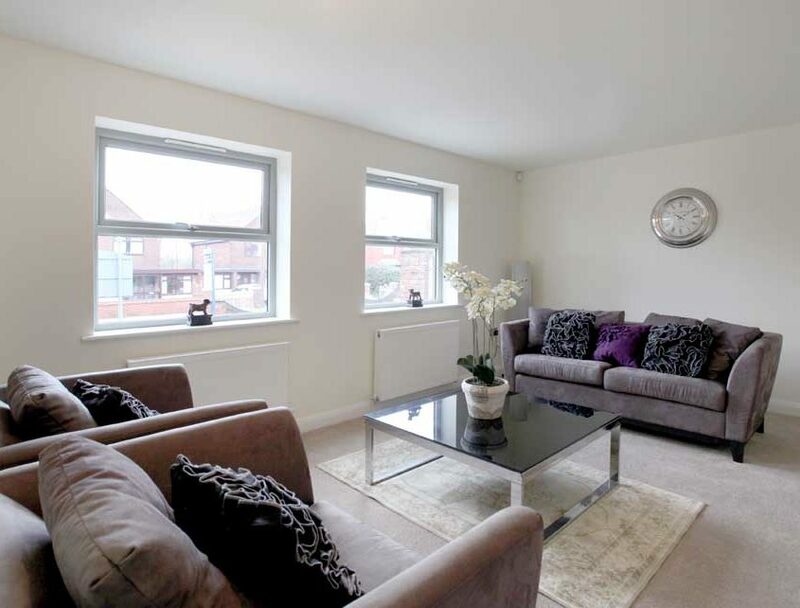 High specification fittings throughout with outstanding views to the rear over Haydock Race Course. 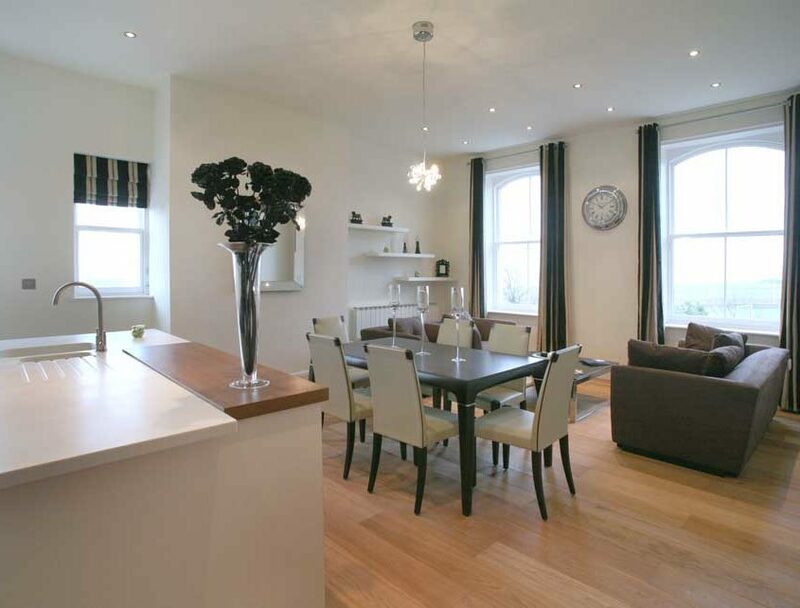 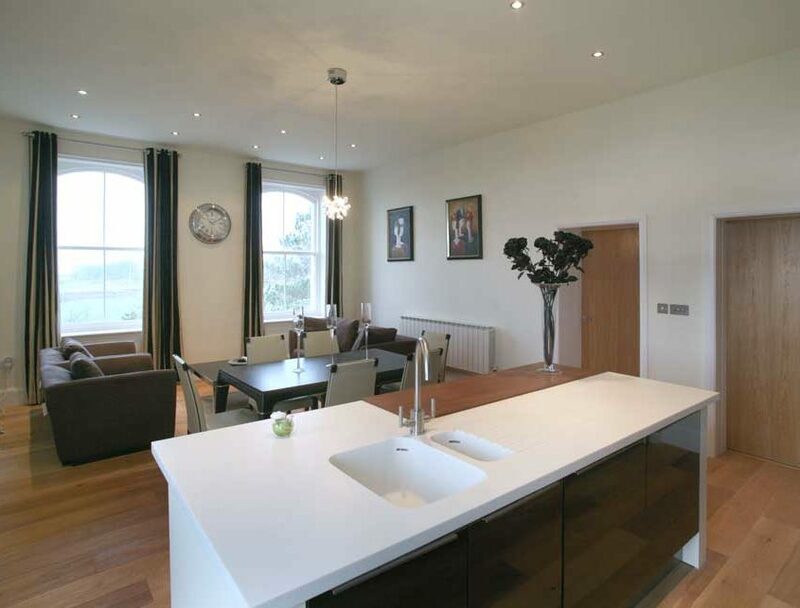 A signature project consisting of eight luxury apartments at Seafield House. 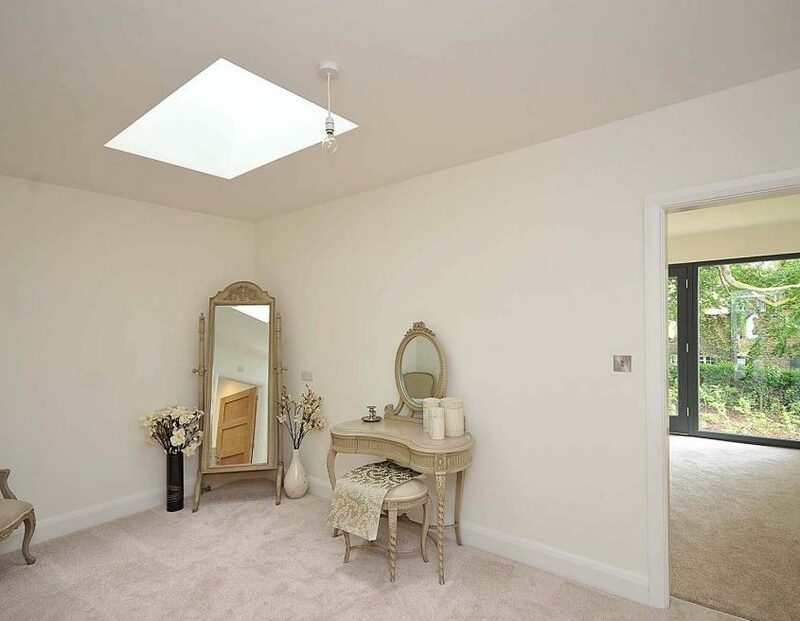 On the ground floor featuring a Summer room, Walk out into gardens, En-suite wet room, and a Walk through dressing room. 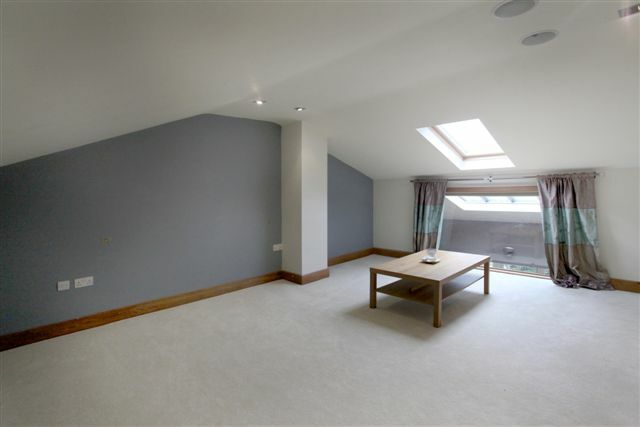 On the ground and first floor featuring Sunken garden terraces, Duplex apartment, and Large living room with front aspect views. 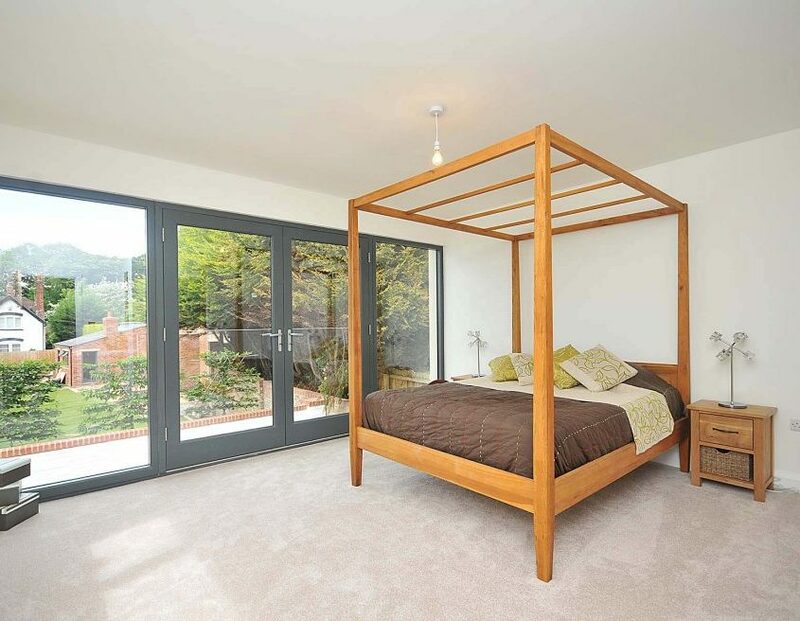 On the first floor featuring Rear facing balcony over landscaped gardens, Large rear facing living room, and Separate day room. 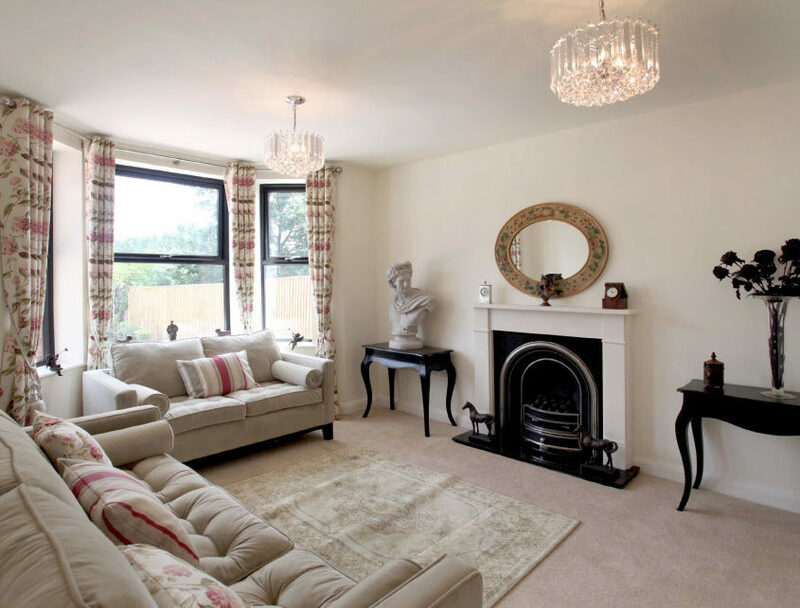 On the first floor featuring Large family/dining area, Rear aspect balcony over landscaped gardens, and Separate sitting room with period fireplace feature. 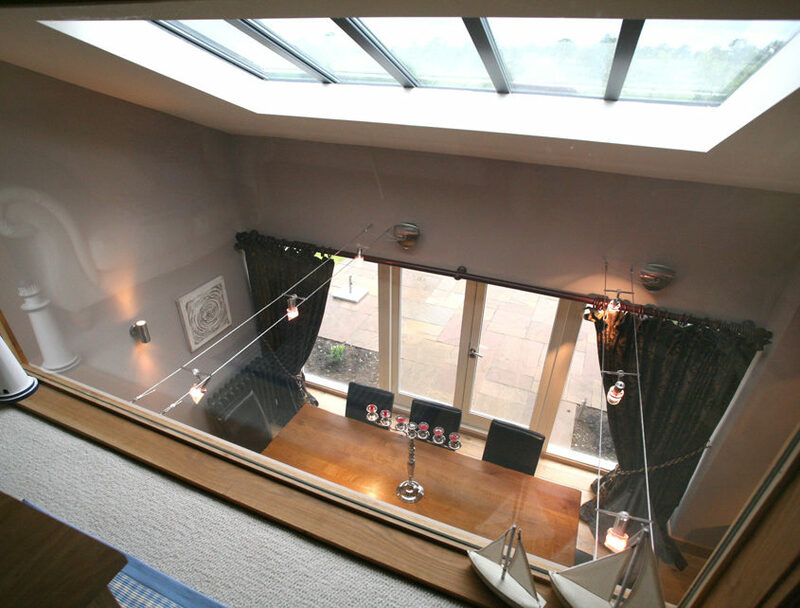 On the upper floor featuring Family dining area leading onto balcony, Separate study, and Large dual entry living room. 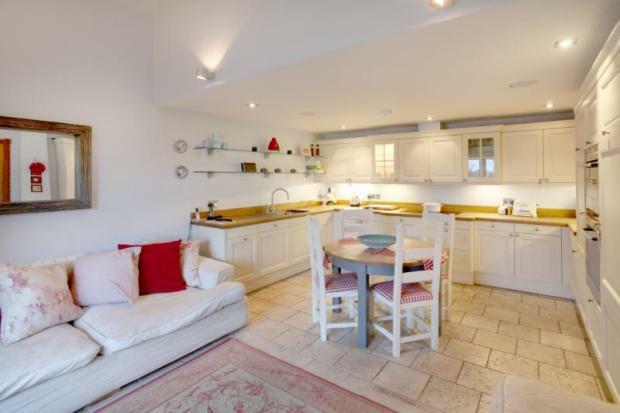 On the upper floor featuring Apartment with panoramic sea views, Period fireplace feature, and Large family kitchen/diner. 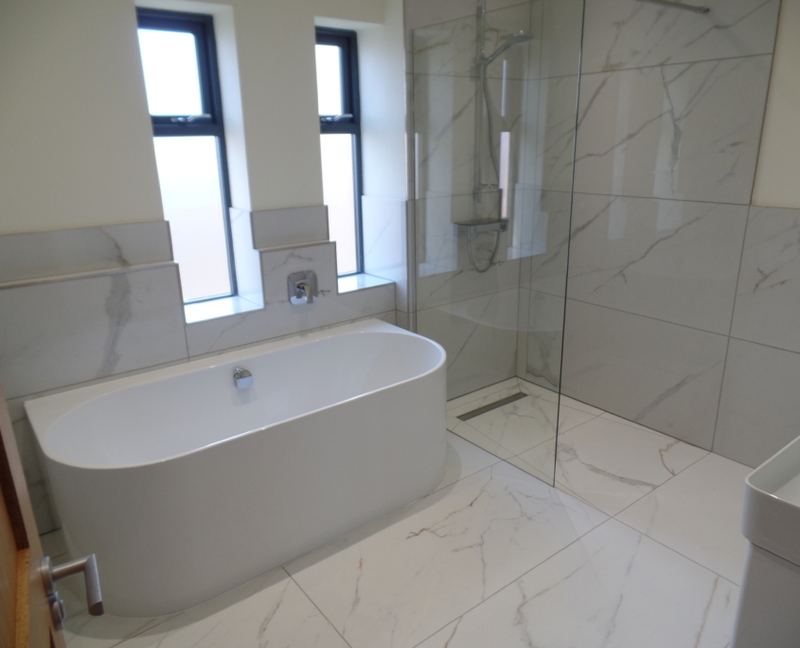 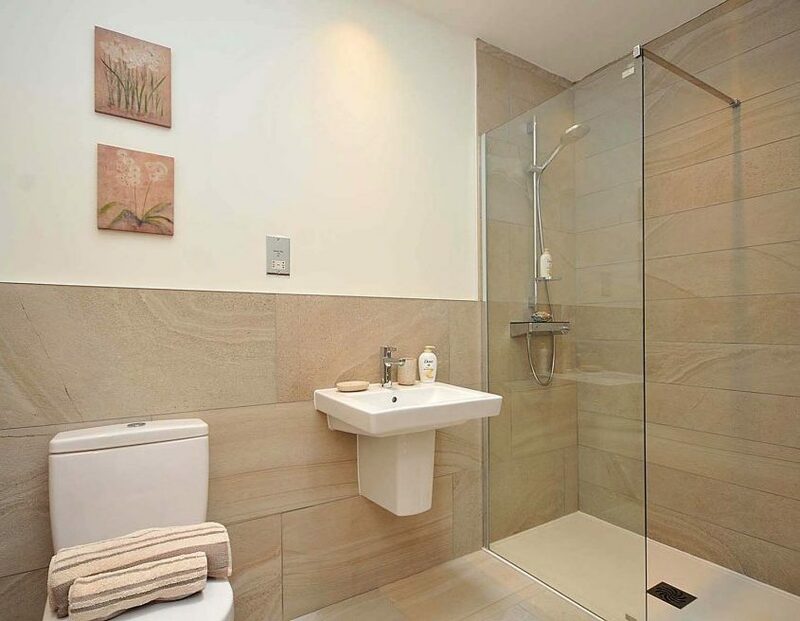 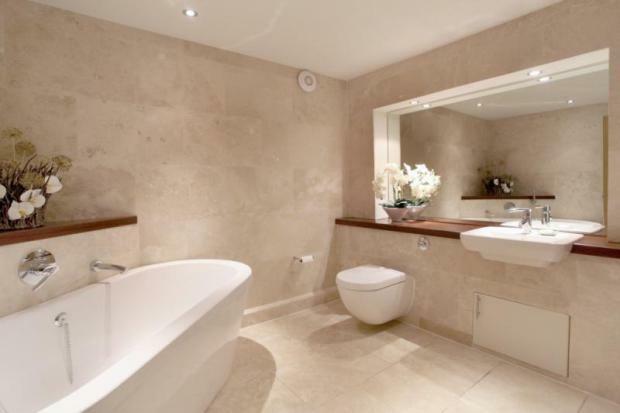 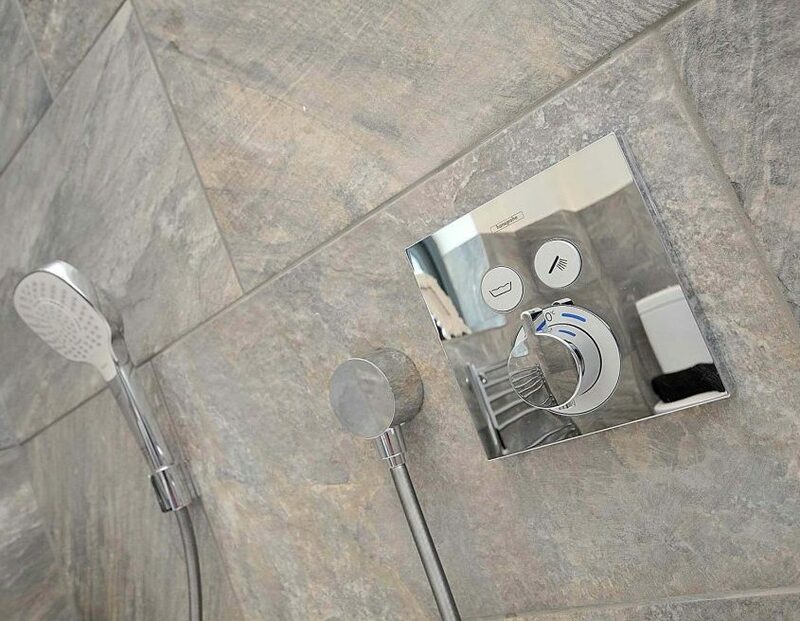 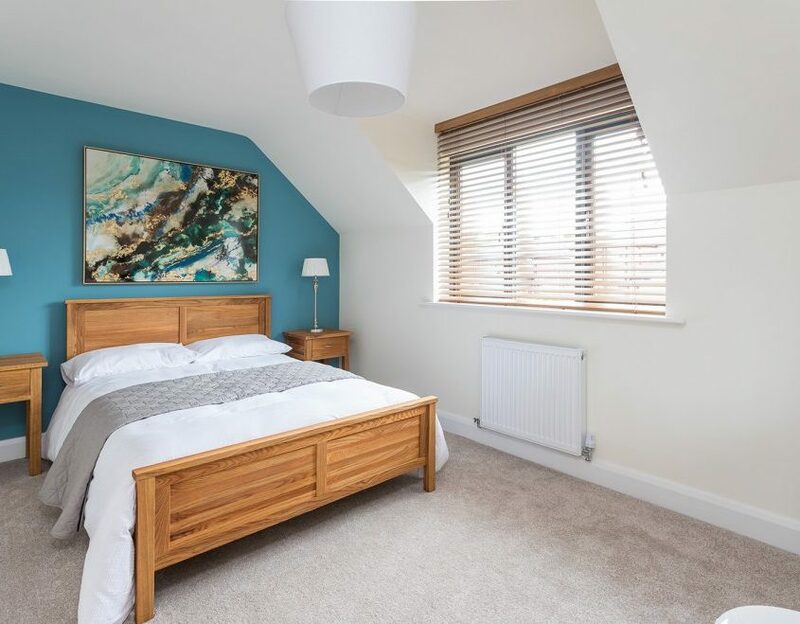 On the upper floor featuring Premium top floor apartment located at front of property, Sea views and views of over the green, Dual terraces, and wetroom. 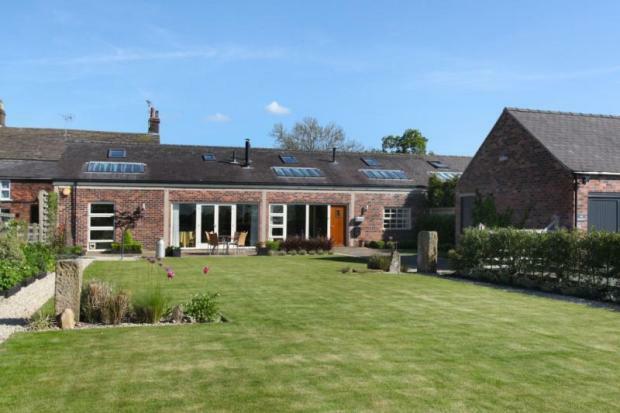 Higher Den Farm is an exclusive development of five contemporary barn conversions retaining much of the original character. 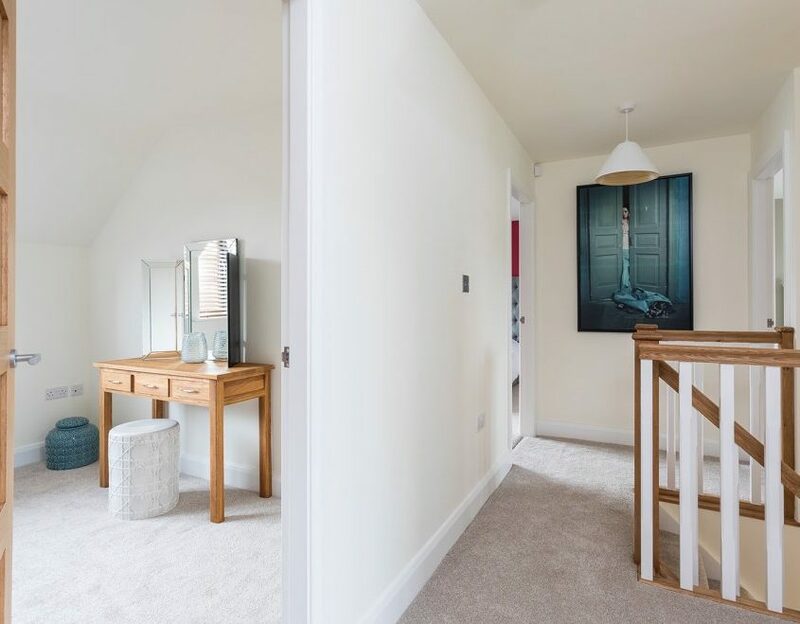 Attention to detail ensures that each home has been planned to maximise the use of space through imaginative design, providing homes of elegance and originality. 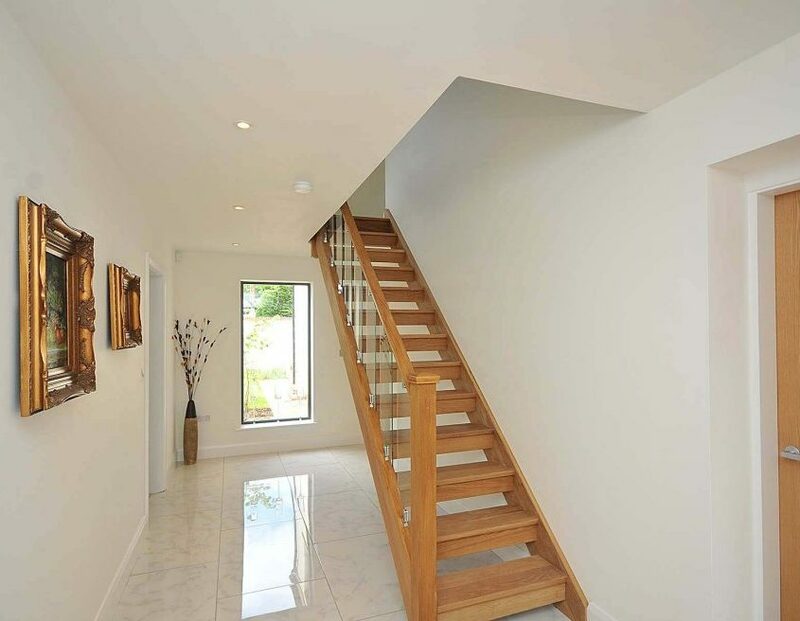 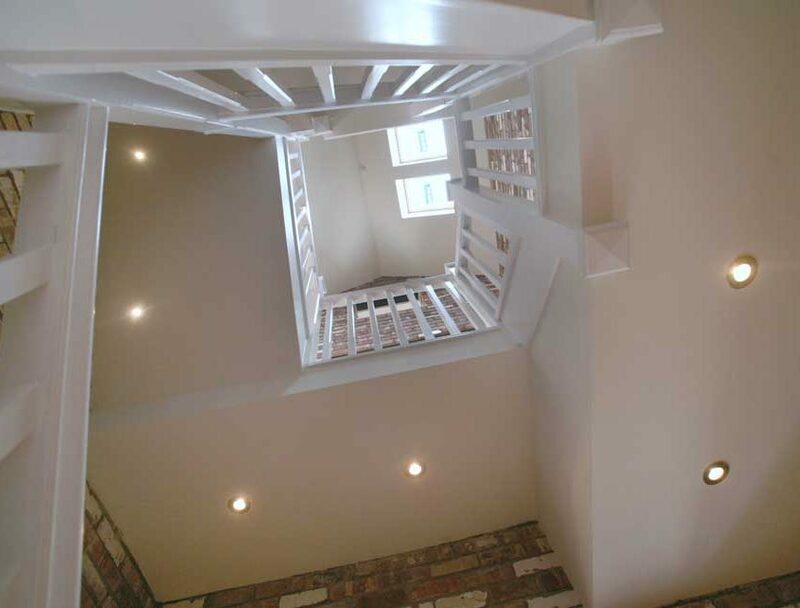 Greeted by a tall galleried hallway this 4 bedroom property makes a real statement, galleried hallway, open plan family kitchen/diner, lounge, dining room, utility room, family bathroom, 1 en-suite, cloakroom, landscaped gardens, walled courtyard and two parking spaces. 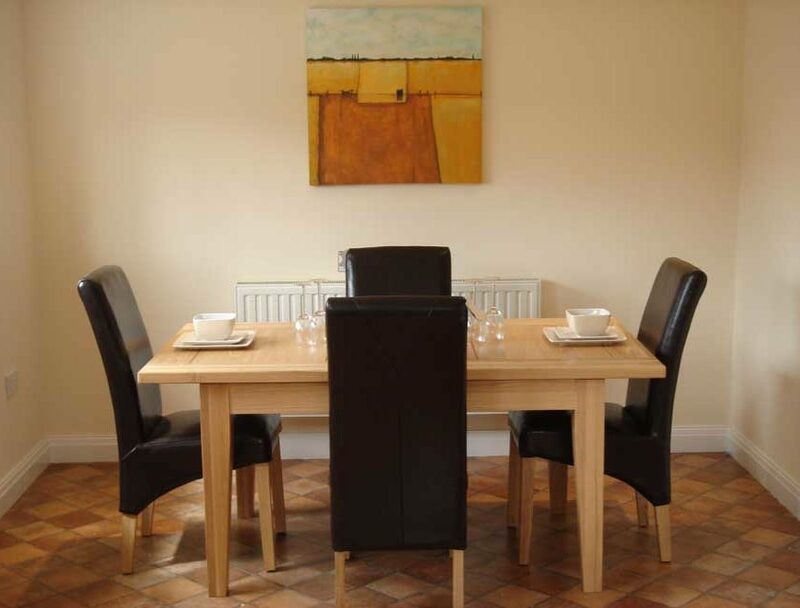 The smaller of the properties, offers well proportioned accommodation. 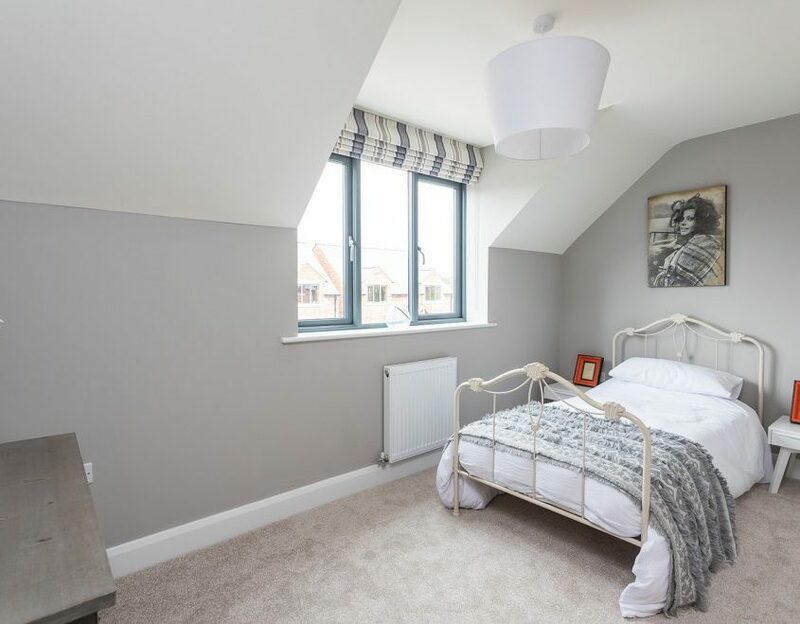 Three bedrooms | galleried hallway | open plan family kitchen/diner | lounge | utility room | family bathroom, one en-suite and cloakroom landscaped gardens and walled courtyard | two parking spaces. 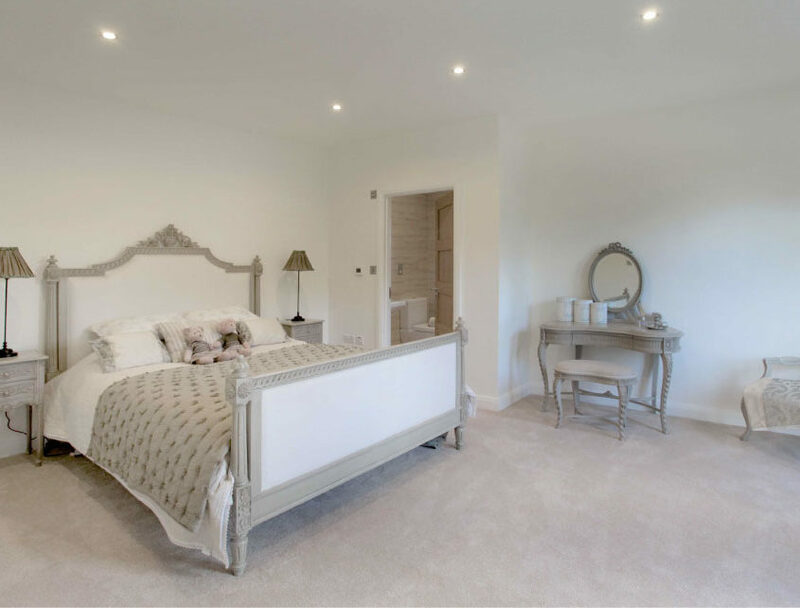 The Lark is a five bedroom property which combines both formal and informal living areas with landscaped gardens and a walled courtyard forming part of Higher Den Farm, an exclusive development of just five contemporary barn conversions. 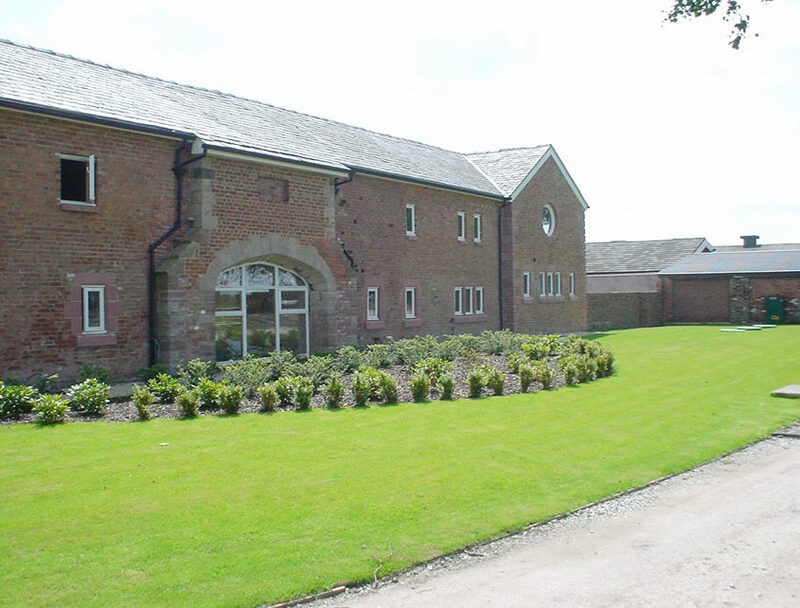 Brookside Farm is an exclusive development of three new build properties and two barn conversions. 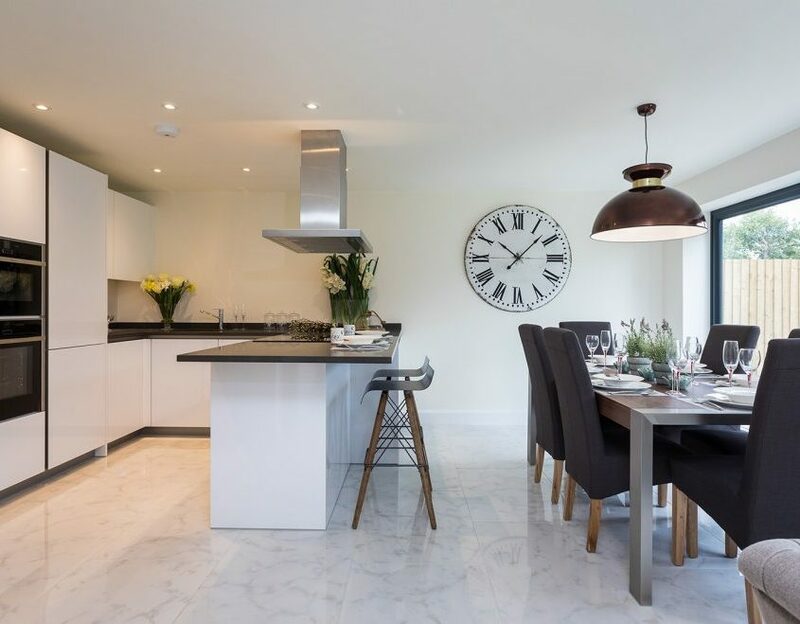 Overlooking stunning countryside and enjoying surroundings that promote a sense of peace and tranquillity, each new build home brings together traditional and contemporary design in a rare balance of the functional and aesthetic. 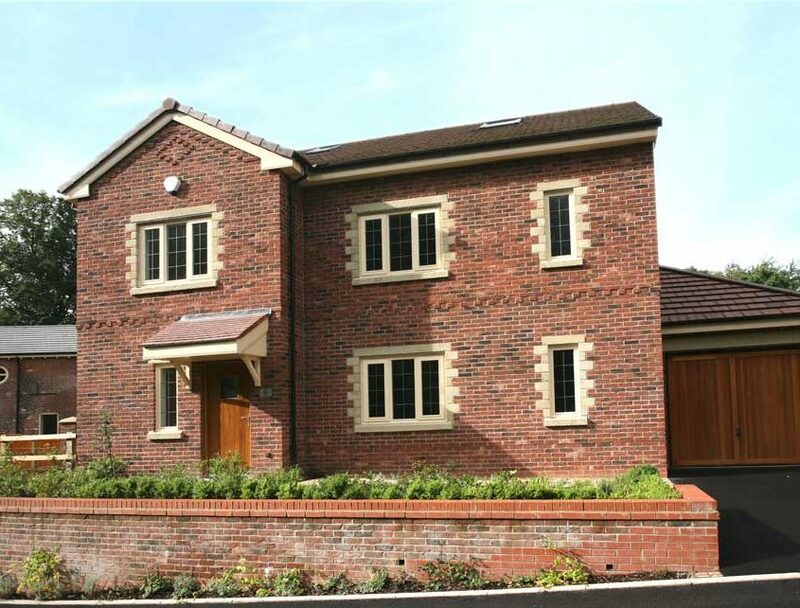 Squirrels Leap (Plot 1) is a three storey, contemporary new built home situated at the entrance of the development facing the brook. 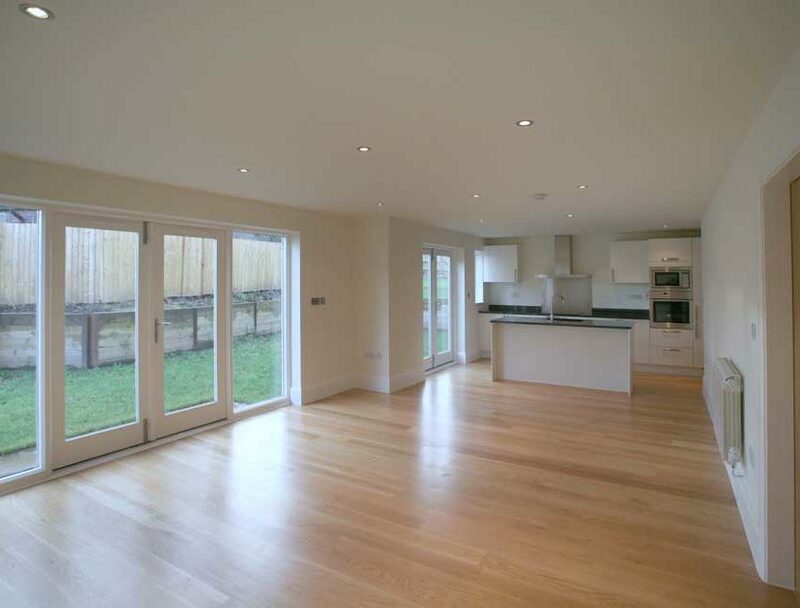 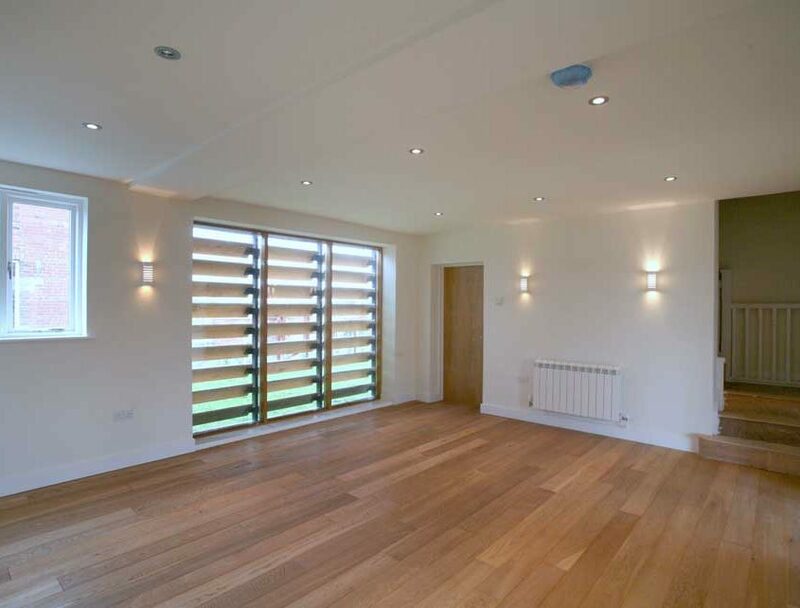 On the ground floor the viewer is immediately greeted by the large dining hallway, leading through to the open plan kitchen, family dining room, utility room and formal lounge respectively. 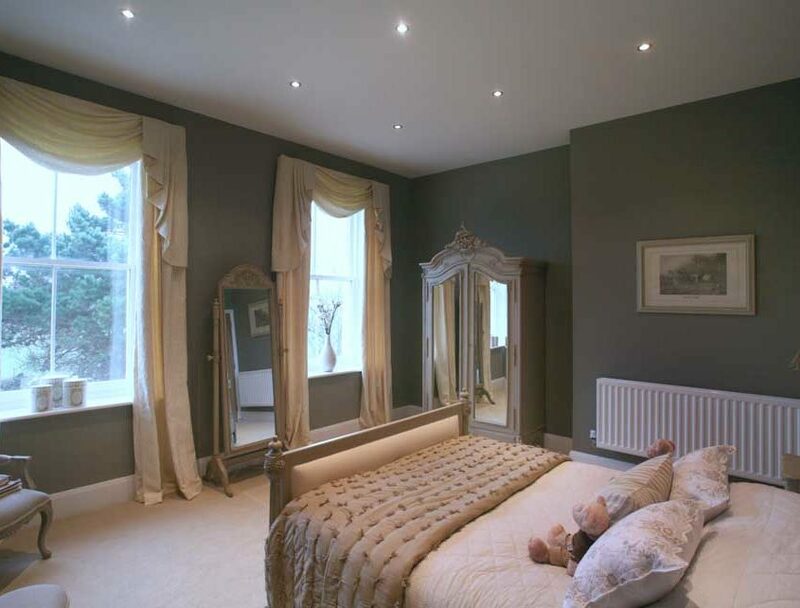 To the first floor is the master bedroom with en-suite bathroom, private dressing area and French windows overlooking the rear garden. 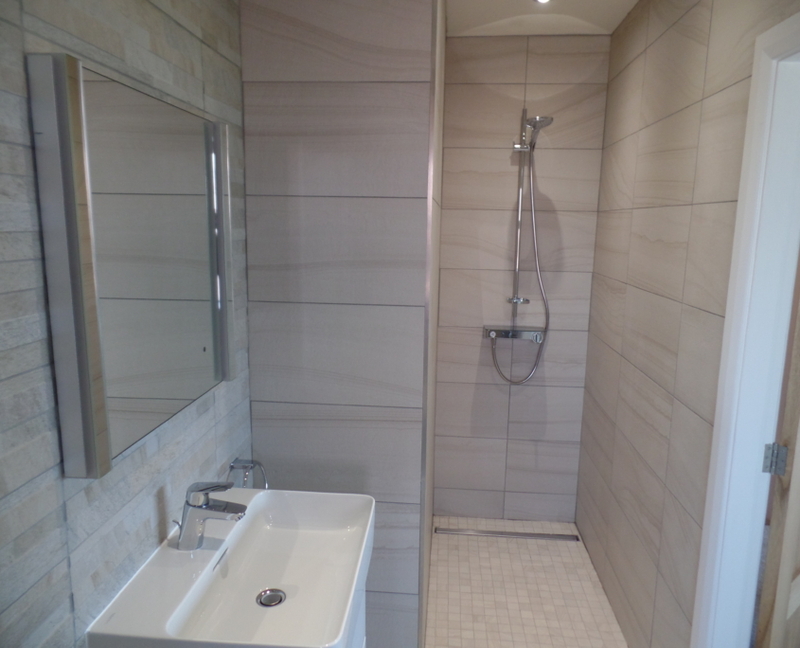 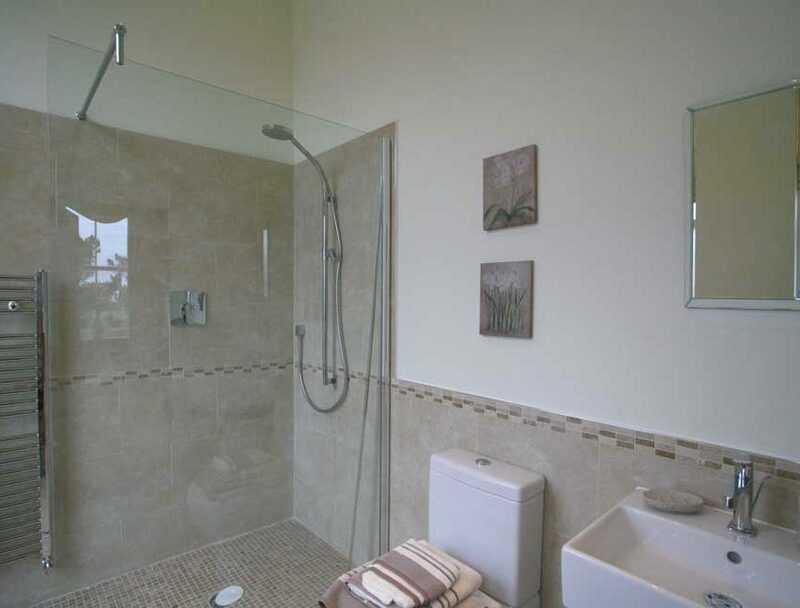 Three further bedrooms and the master bathroom with ‘walk in’ shower are also located on this floor. 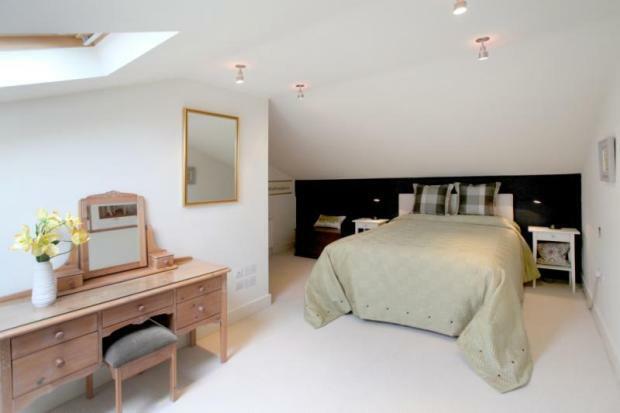 The second floor has been designed as an outstanding guest suite, comprising a large double bedroom, en-suite and storage area. 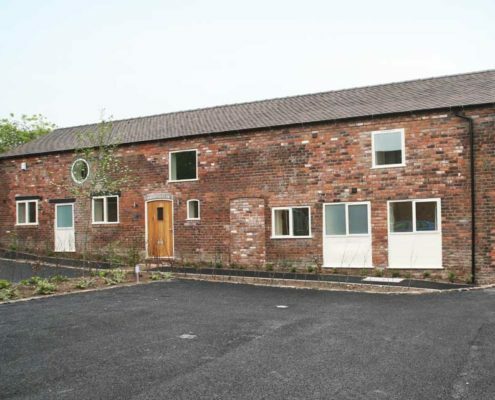 This property also has a single integral garage. 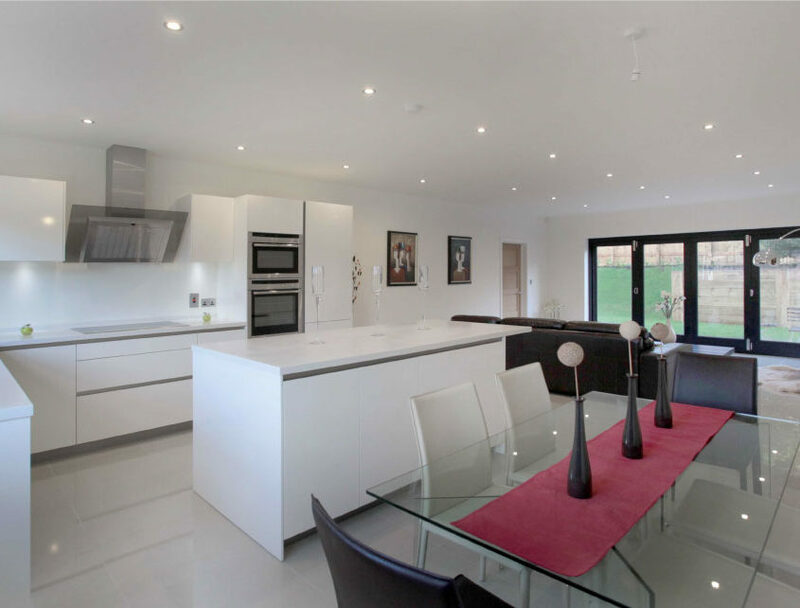 Hare Hill (Plot 2) incorporates a very modern layout with the ground floor offering both a fabulous large open plan kitchen/dining/family room and a separate living room. 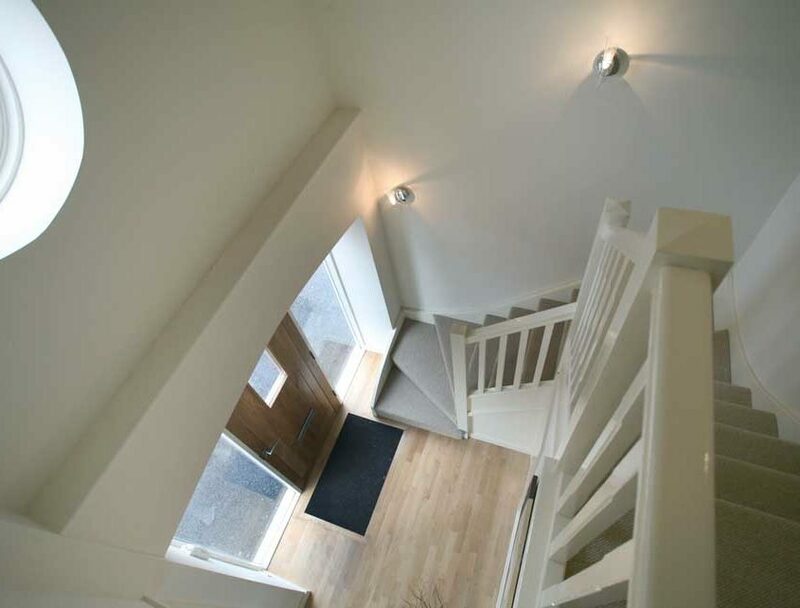 A cloakroom and storeroom are also situated on the ground floor off the entrance hallway. 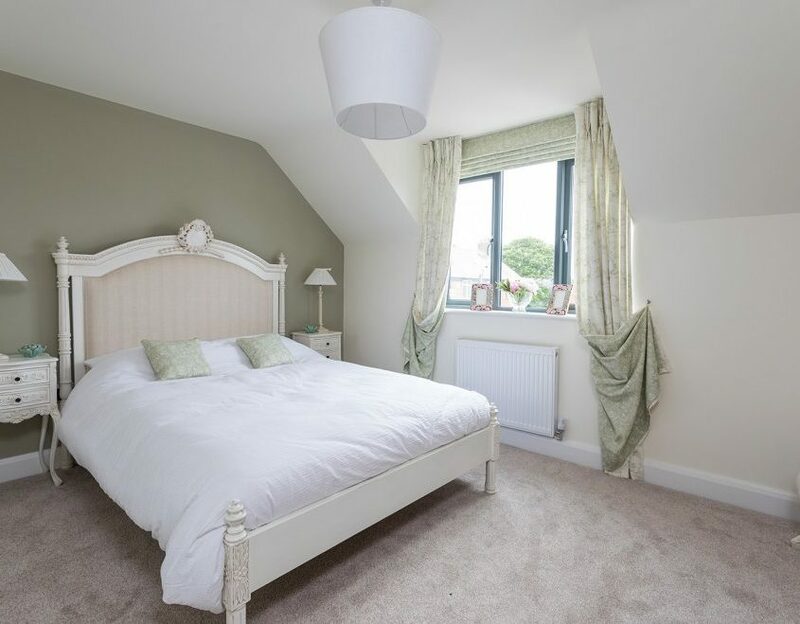 Located on the second floor are three good sized bedrooms, family bathroom and master bedroom with en-suite and dressing area with French windows overlooking the garden. 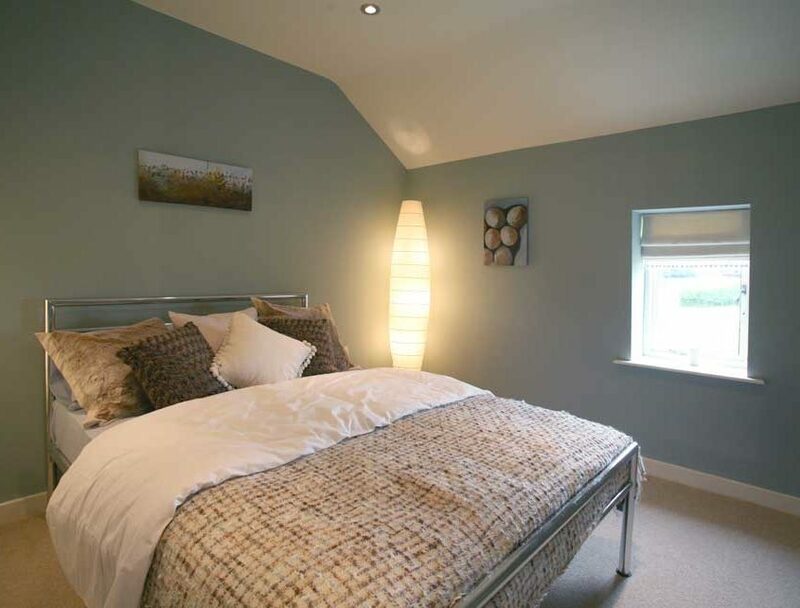 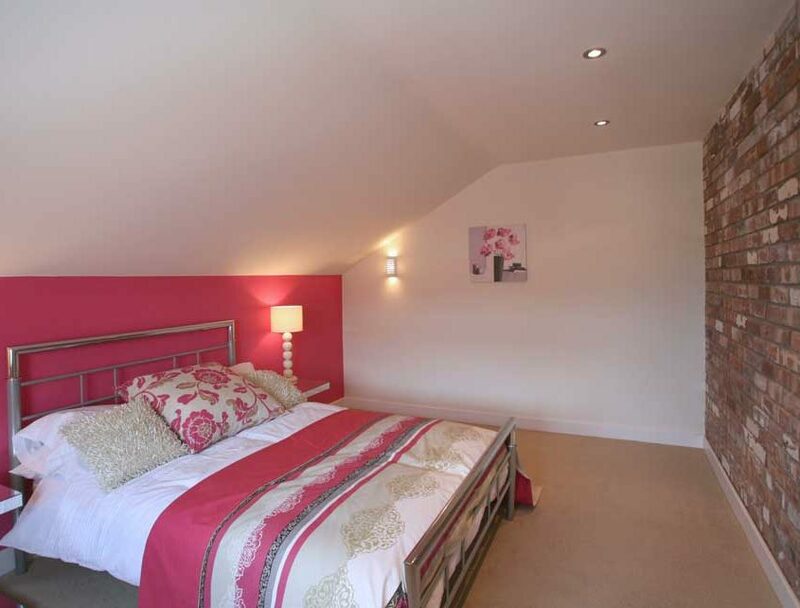 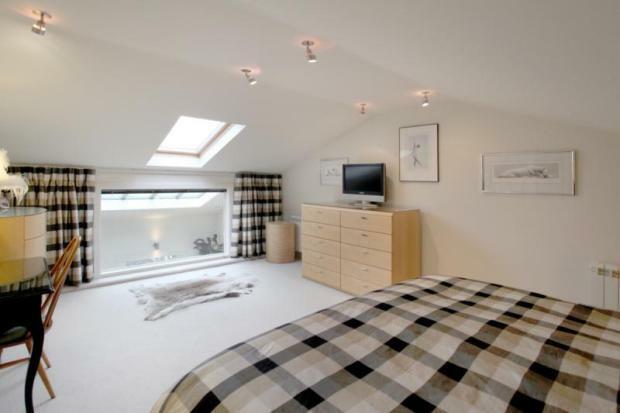 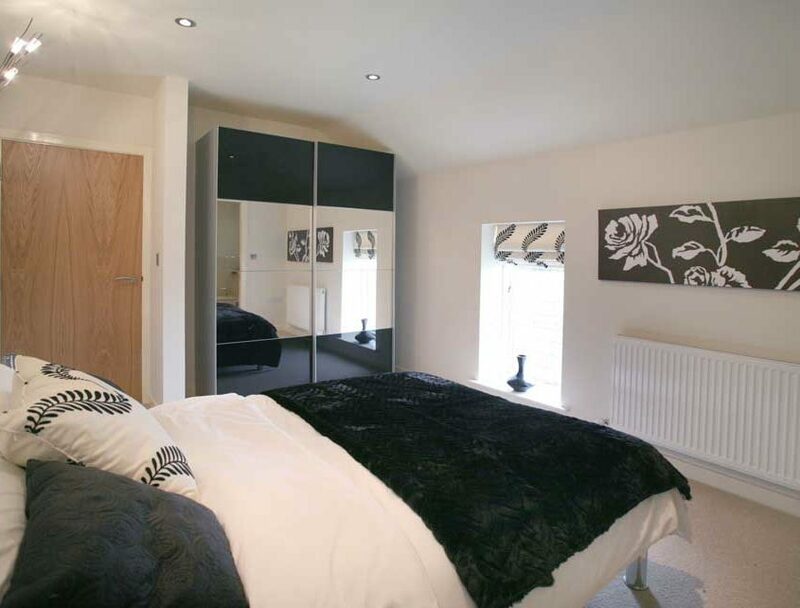 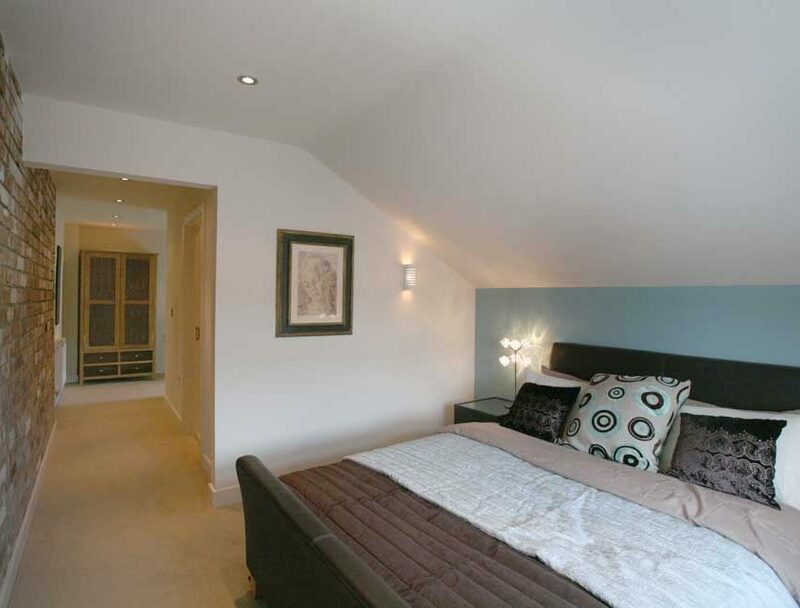 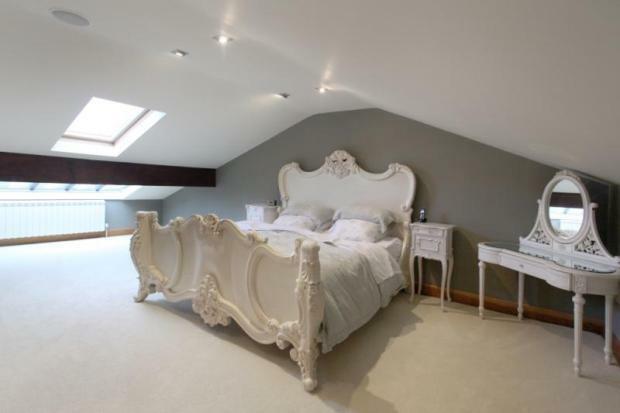 The third floor consists of a large double bedroom with en-suite and storage area. 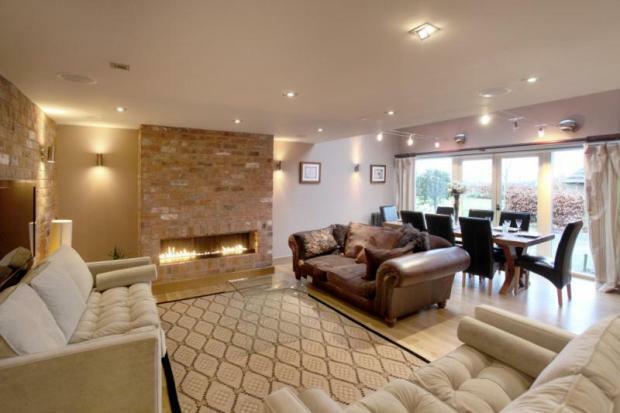 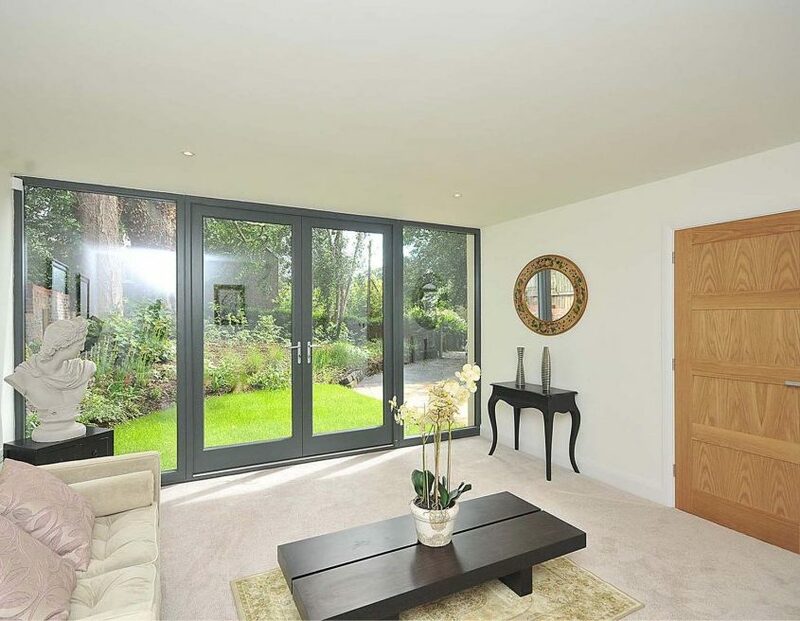 This property provides an integral garage plus landscaped garden to the rear. 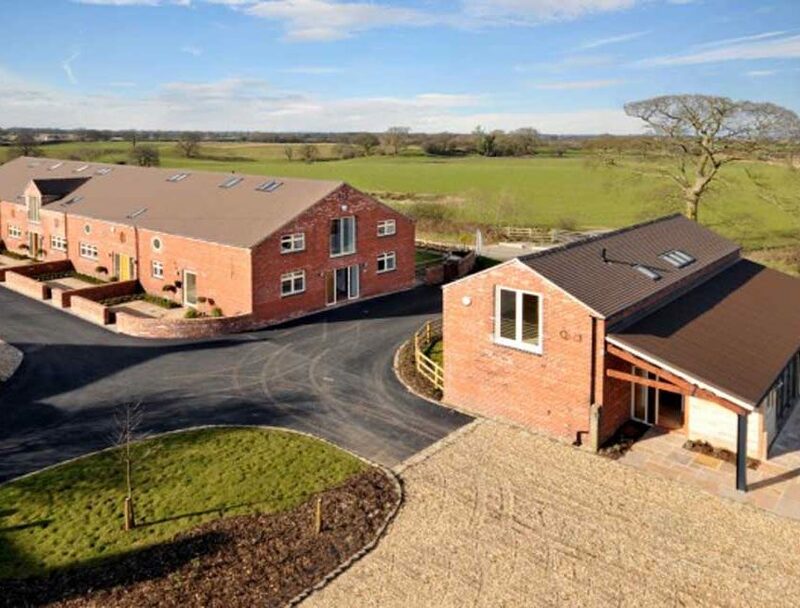 Fox Hollow (Plot 3) is a stunning barn conversion with a very definite ‘wow’ factor and providing all living requirements, with both formal and informal areas. 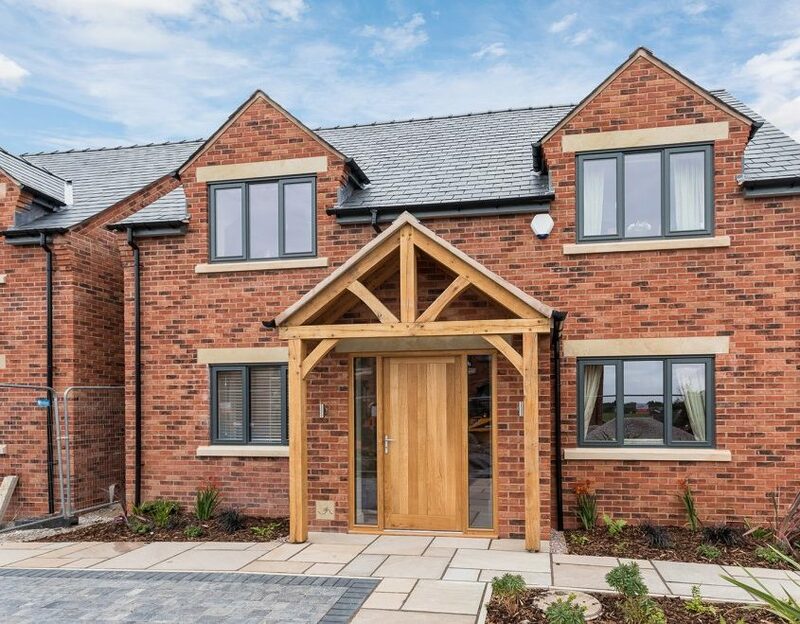 The ground floor includes an open plan kitchen/dining/family room, utility room with access through to the integrated garage, large open oak dining/hallway and a bedroom with en-suite. 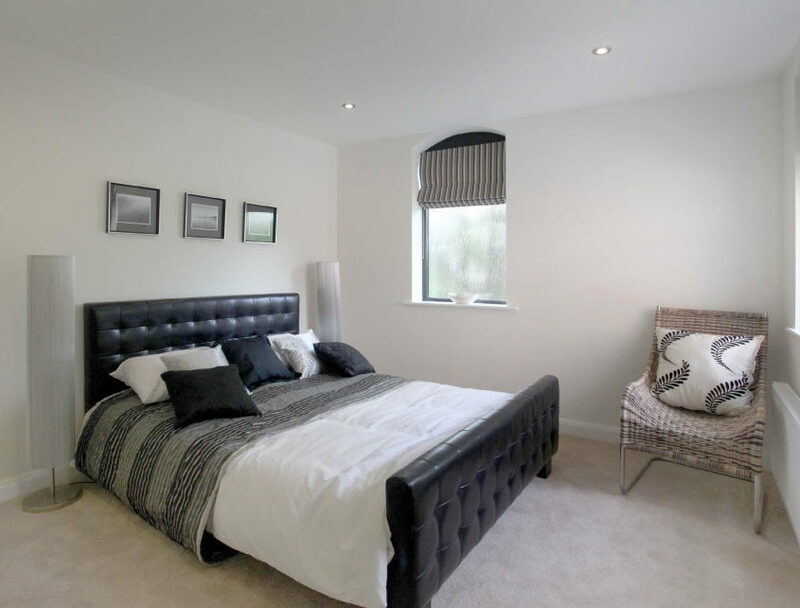 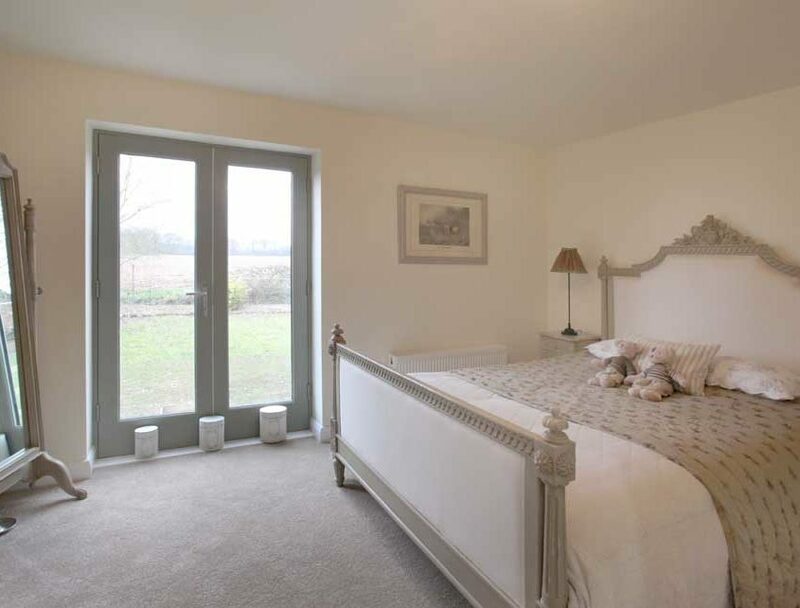 On the first floor, Fox Hollow offers a generously proportioned master bedroom with an en-suite/wet room, dressing area and balcony overlooking the rear garden and affording stunning countryside views. 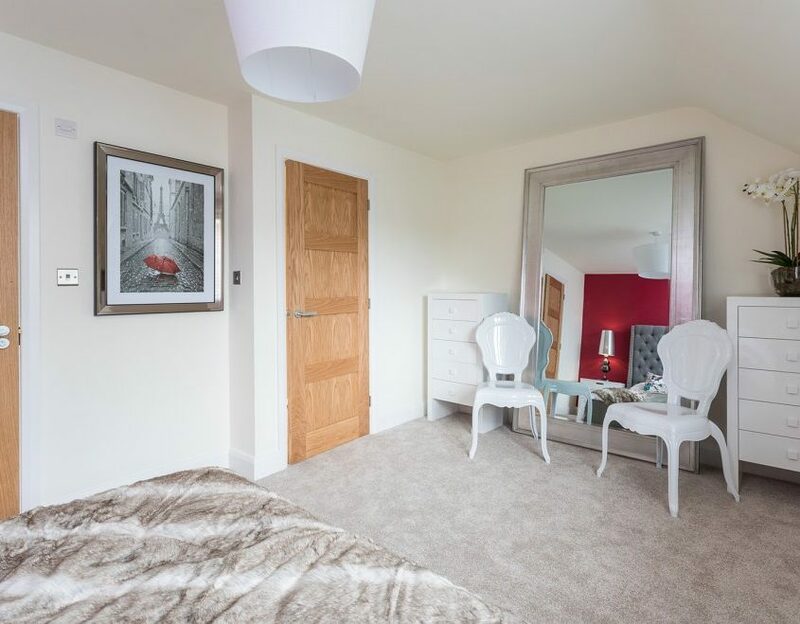 Also on the first floor are three further bedrooms, master bathroom with ‘walk in’ shower plus an open landing overlooking the dining/hallway. 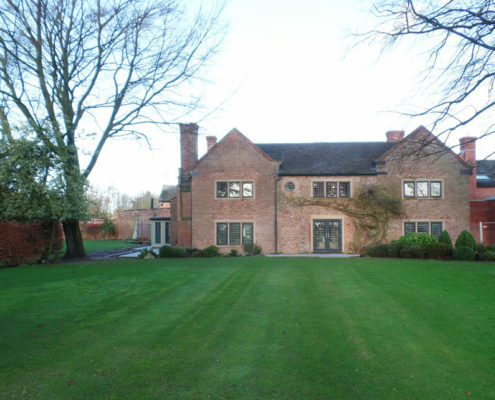 Includes landscaped garden at rear. 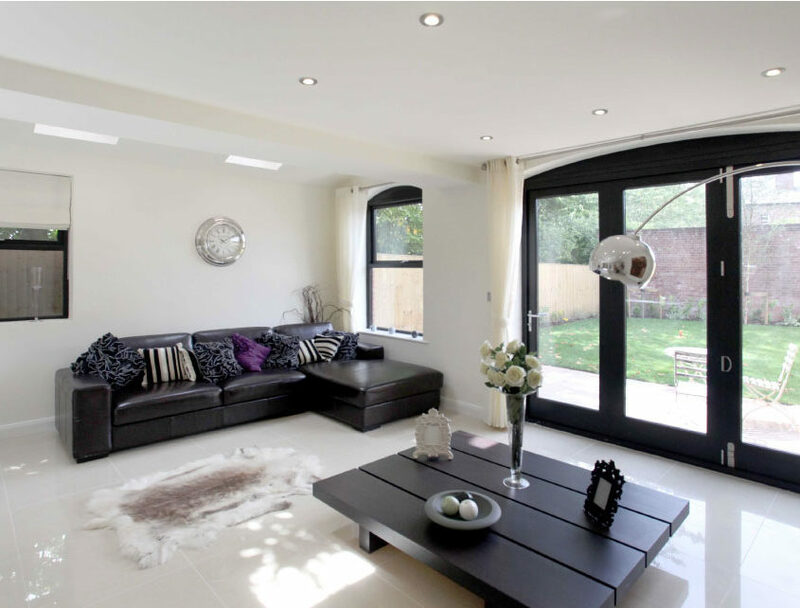 Mole End (Plot 5) provides both formal and informal living areas. 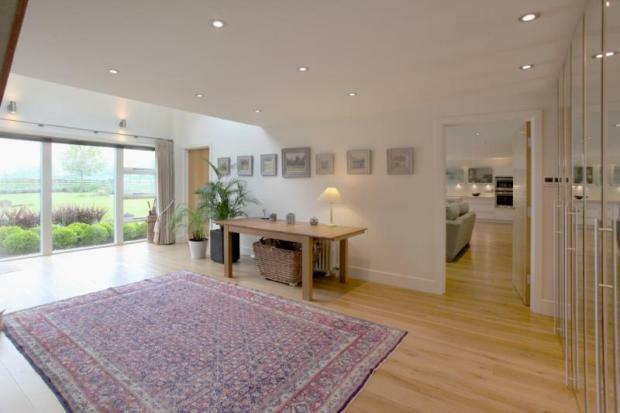 The ground floor comprises open plan kitchen/dining/family room with French windows opening out to the rear garden area with its exceptional countryside views. 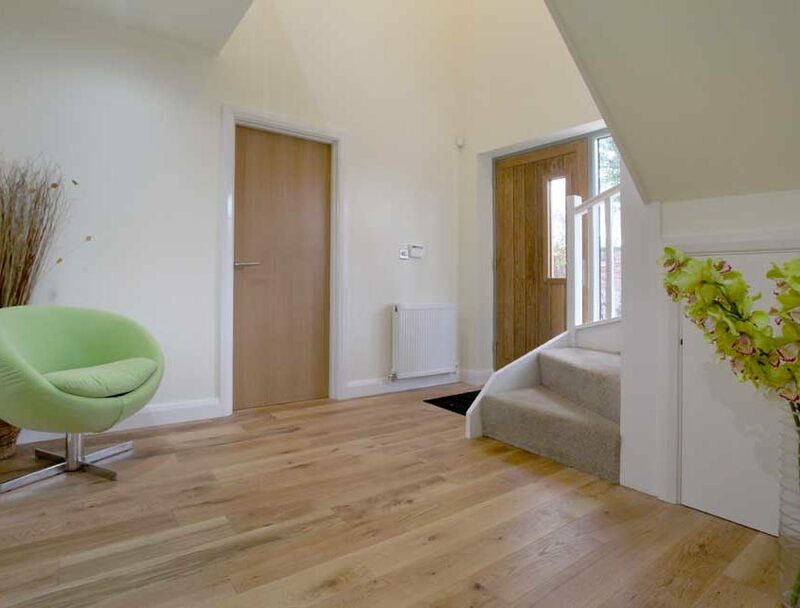 Also on the ground floor are the dining/hallway, formal lounge and utility room. 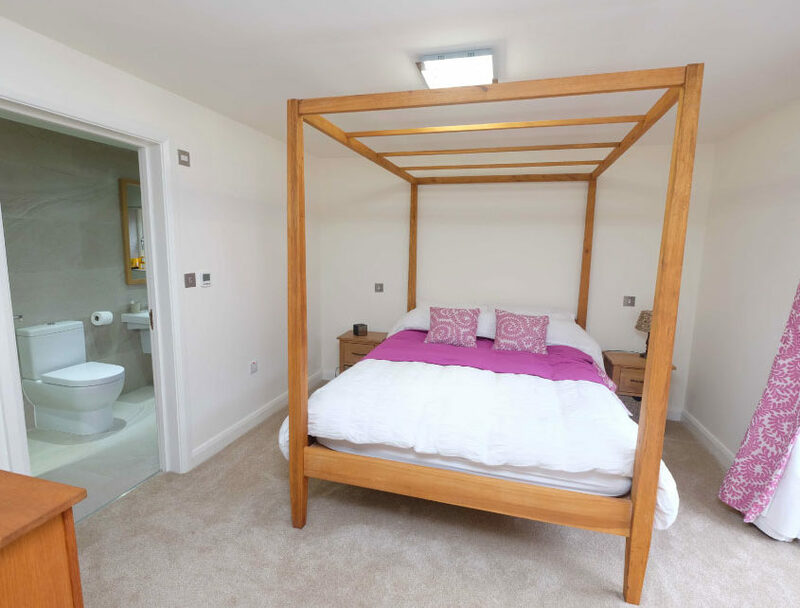 The master bedroom with en-suite, dressing area, three further bedrooms and master bathroom with ‘walk in’ shower are all located on the first floor. 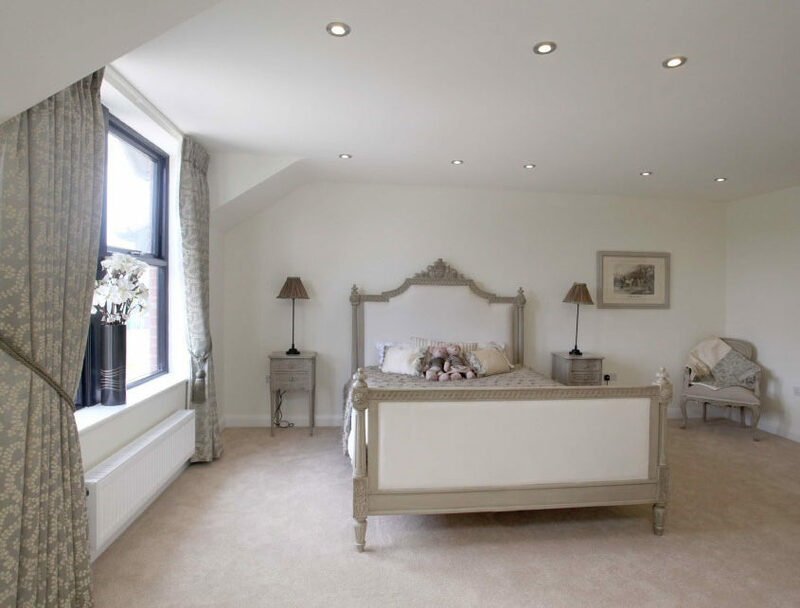 Adding a sense of elegance, the second floor has a large double bedroom, en-suite and storage space, ideal for a guest suite. 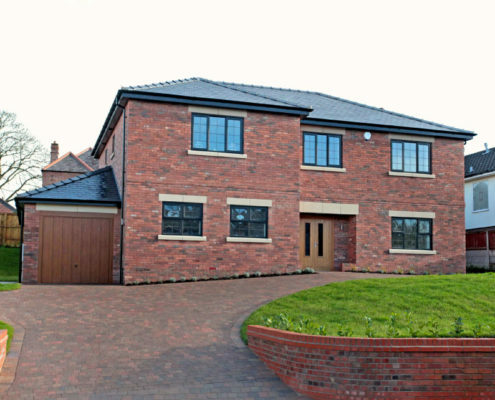 An integrated garage and landscaped garden are also provided. 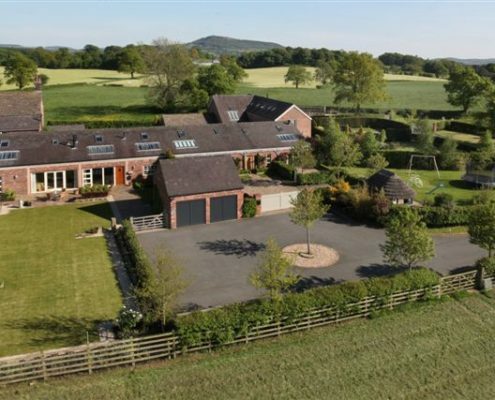 A superb development of three, four and five bedroom contemporary styled barn conversions in a wonderful rural setting, all with exceptional open views and large landscaped gardens. 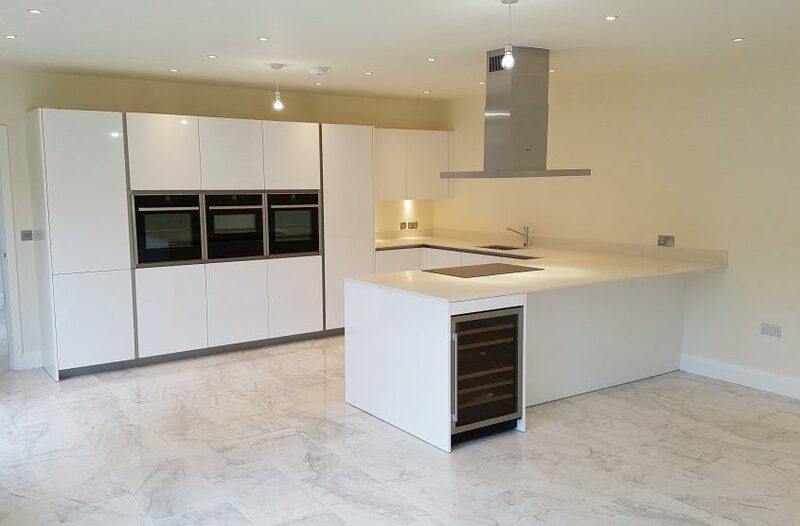 Internal specifications will be specified to the highest standards, with high quality named kitchens, appliances and bathrooms. 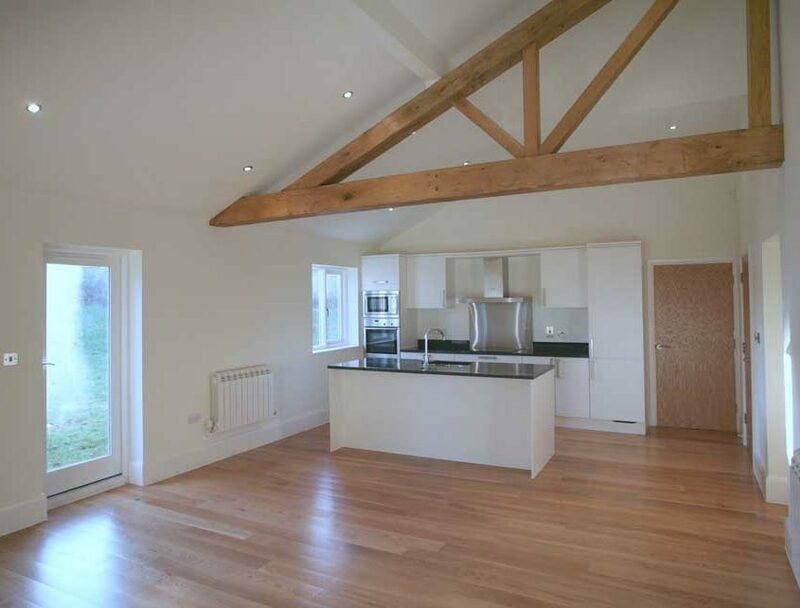 The Willow is a unique upside down end barn with four bedrooms, three bathrooms and a large open plan family kitchen and separate utility. 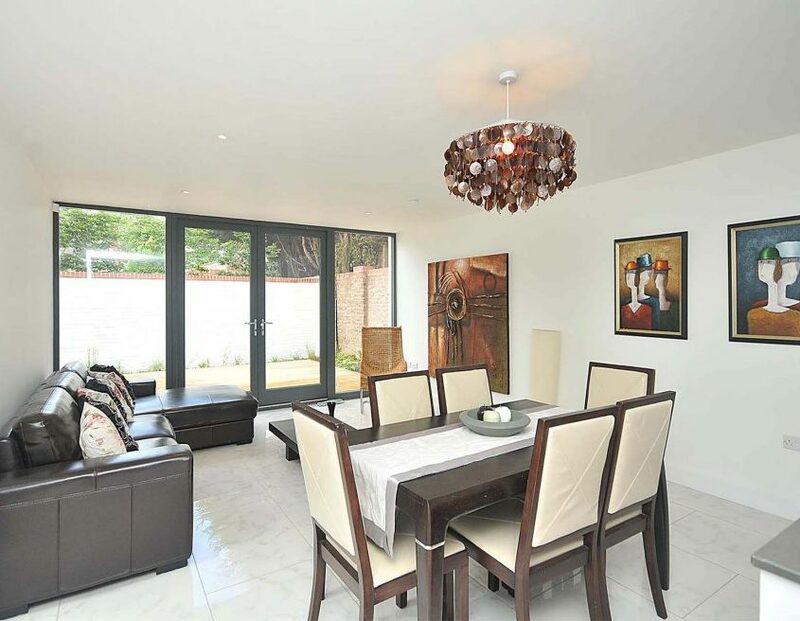 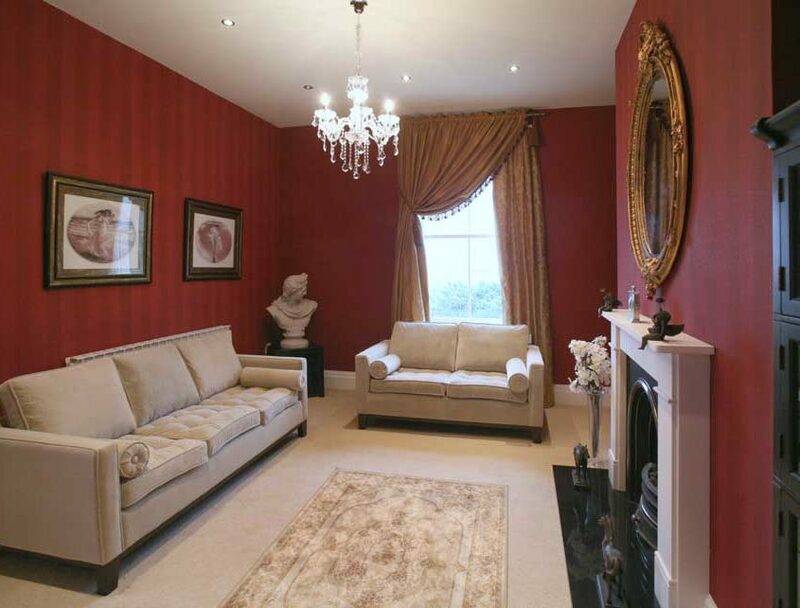 It also has a large formal living/dining room, and an integrated garage and a large landscaped garden at the rear. 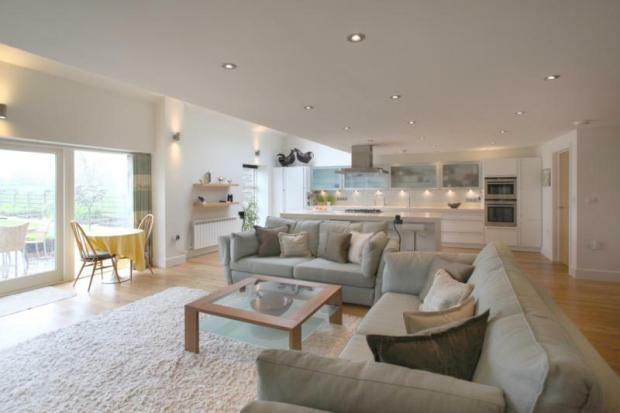 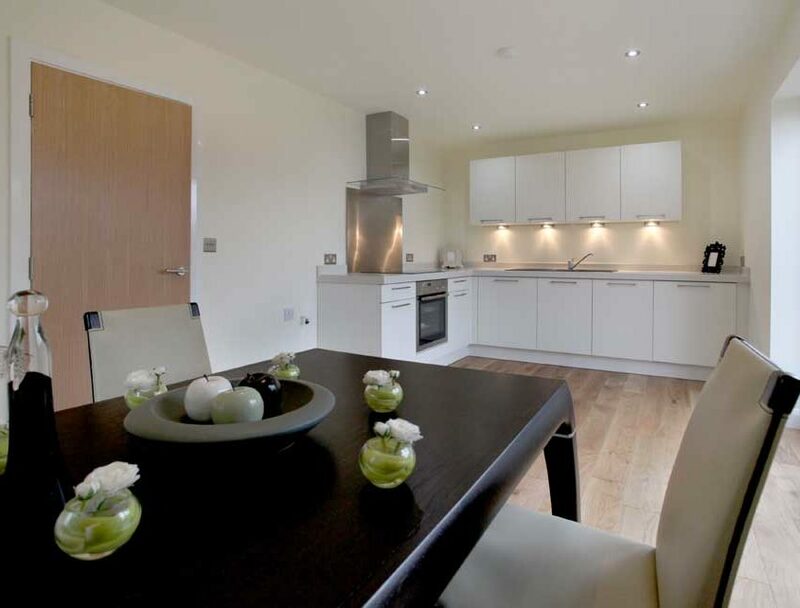 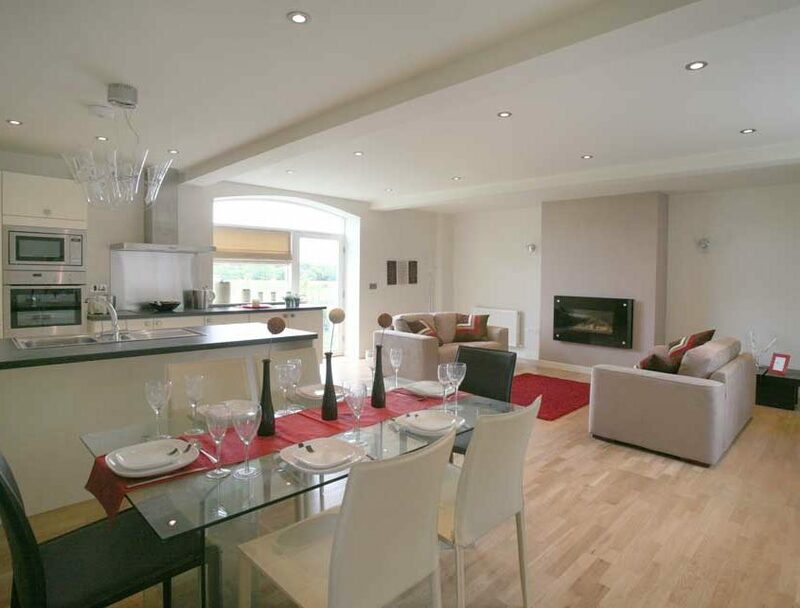 The Birch also follows the contemporary open plan design and offers a large kitchen, living and dining area. 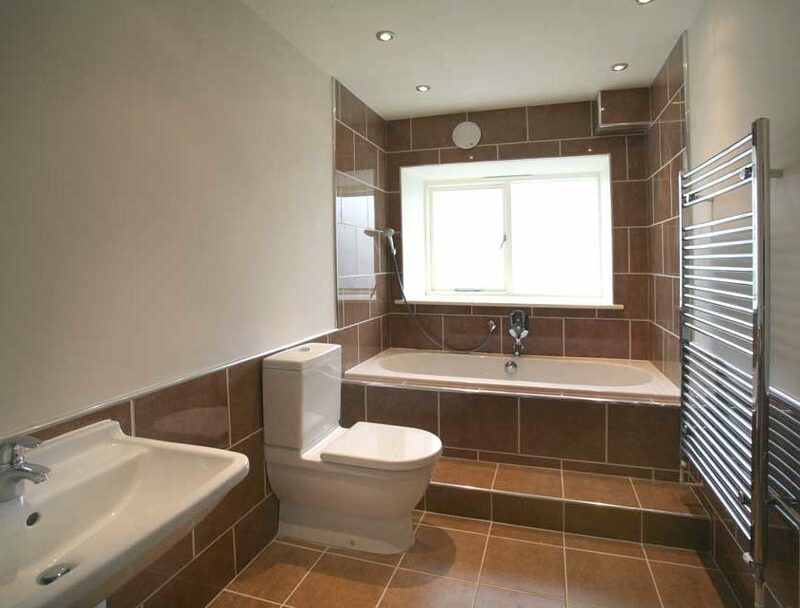 On the first floor is a family bathroom, three bedrooms and one en-suite. 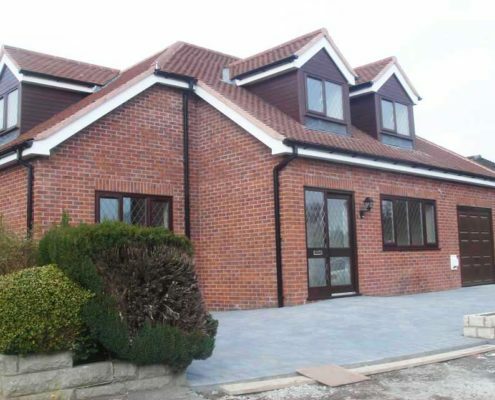 Two car parking spaces are provided and there is a large landscaped garden at the rear. 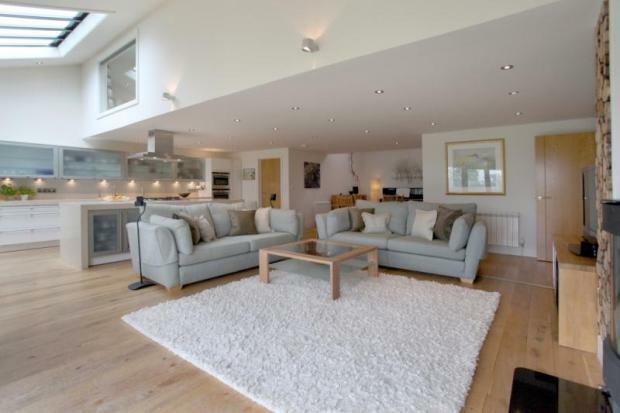 The Beech is the only corner barn and the ground floor comprises of an open plan kitchen and family room, separate lounge, utility and wc. 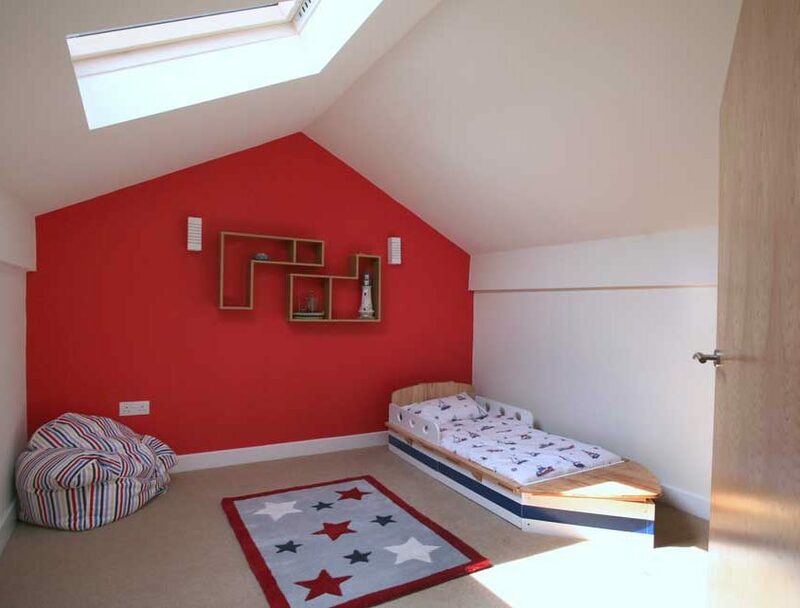 The first floor offers a large landing with ample room for a study area, three bedrooms, one en-suite and family bathroom. 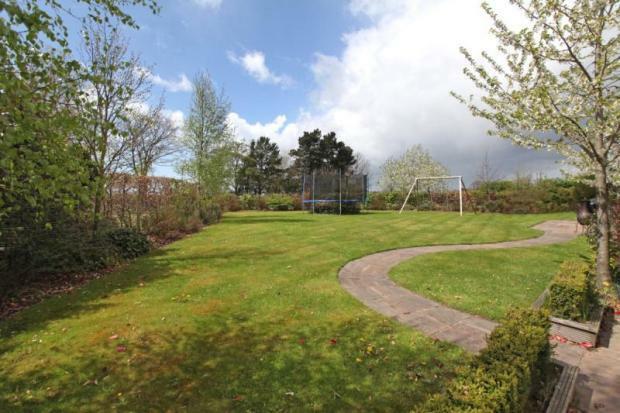 Two car parking spaces are provided and an extremely large landscaped garden at the rear. 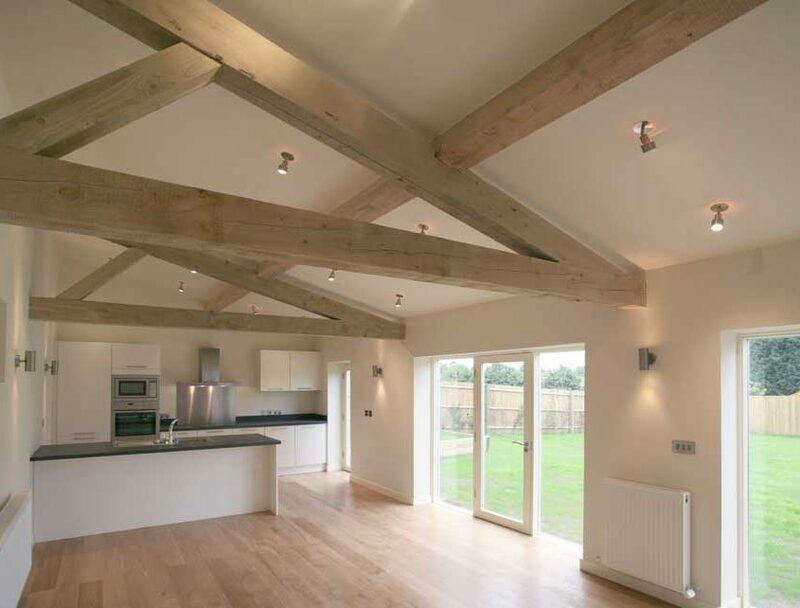 The Cedar provides all living requirements with both formal and informal areas. 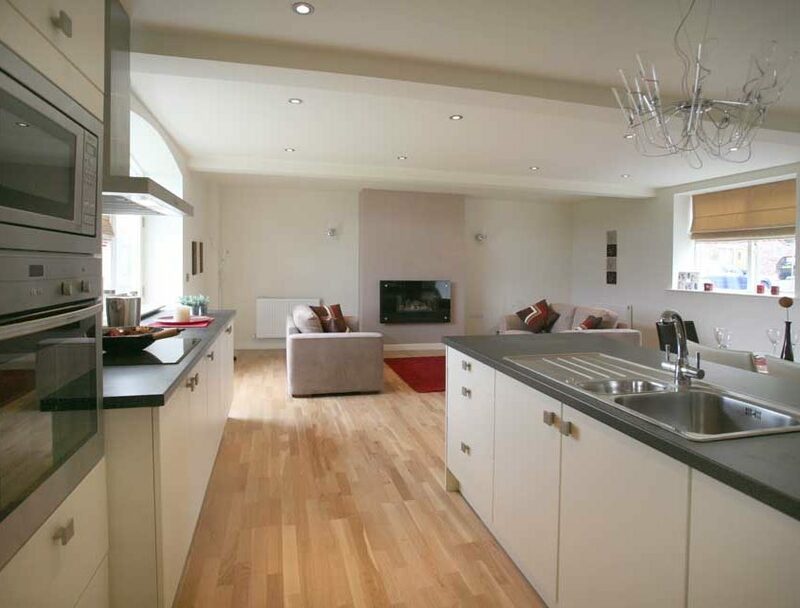 The ground floor includes an open kitchen/family room, utility, formal dining, formal living and wc. 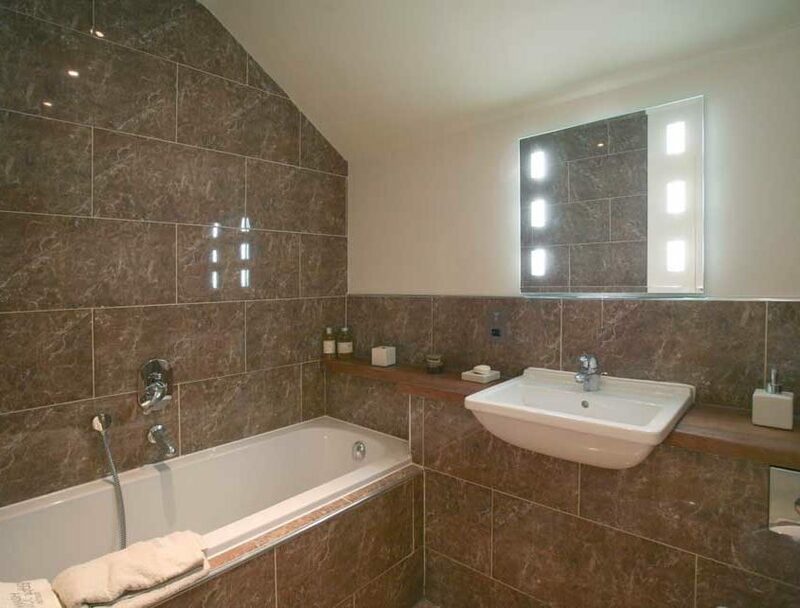 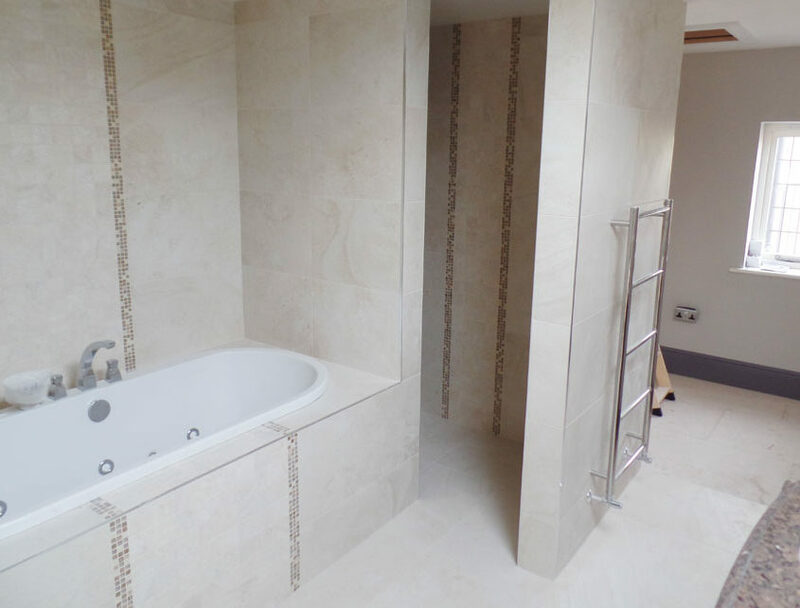 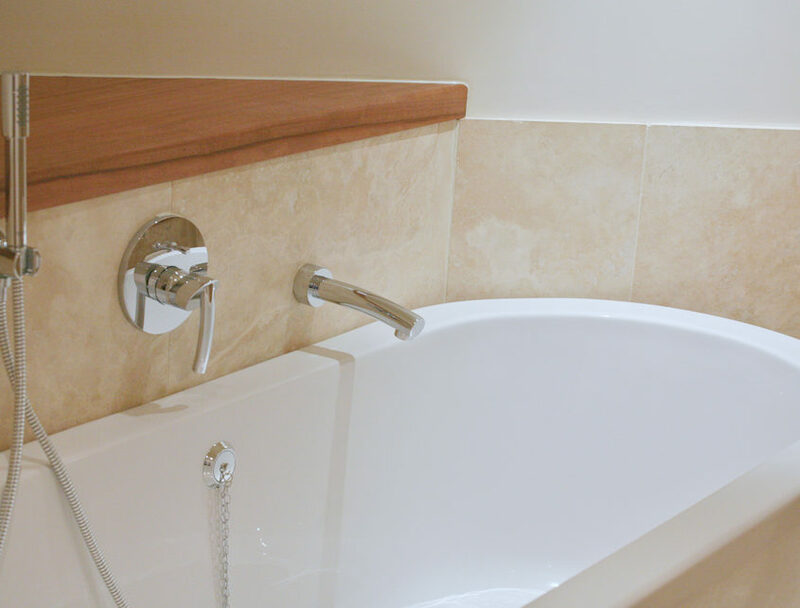 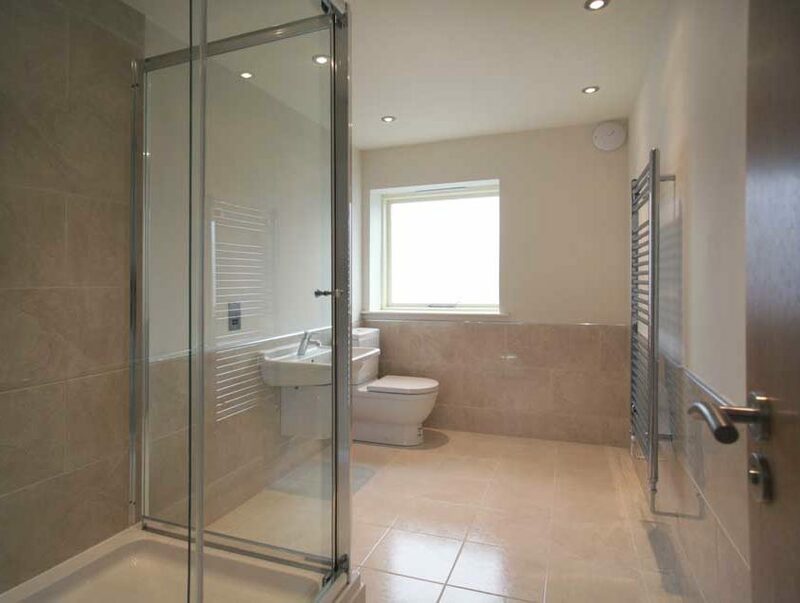 On the first floor The Cedar offers four bedrooms, two en-suite and a family bathroom. 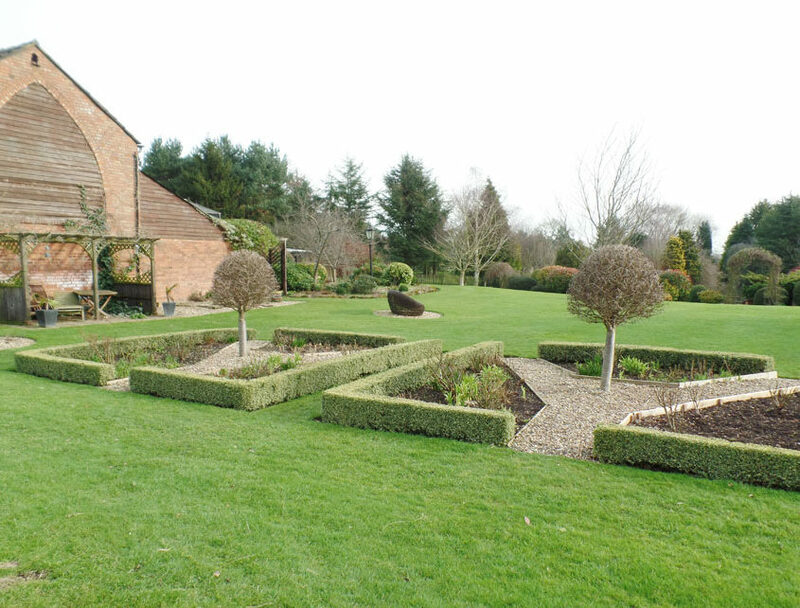 Two car parking spaces are provided and an extremely large garden at the rear. 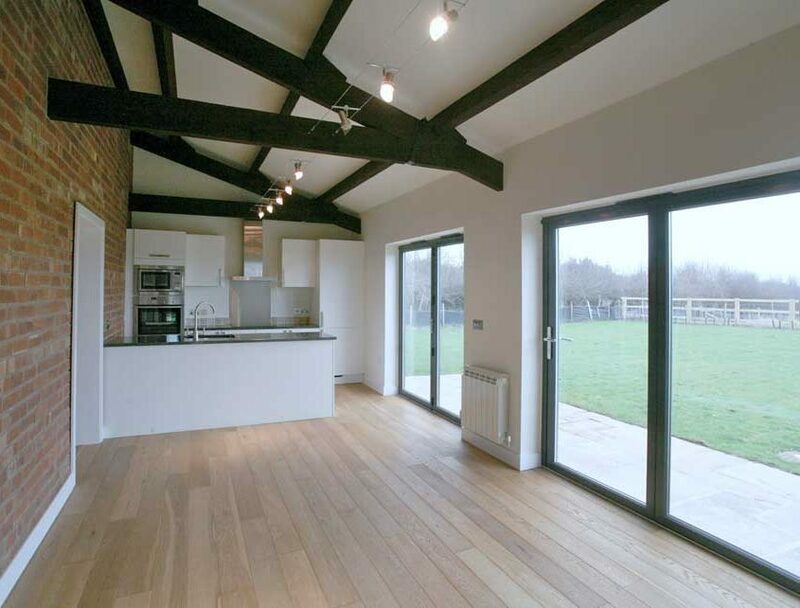 The Maple is situated at the end of the development and comprises of a unique featured gallery kitchen overlooking an open plan living/dining area. 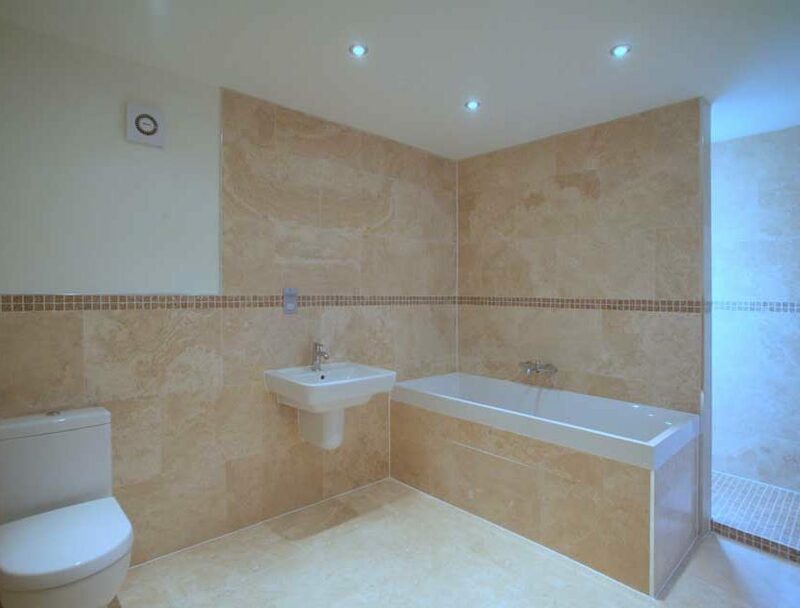 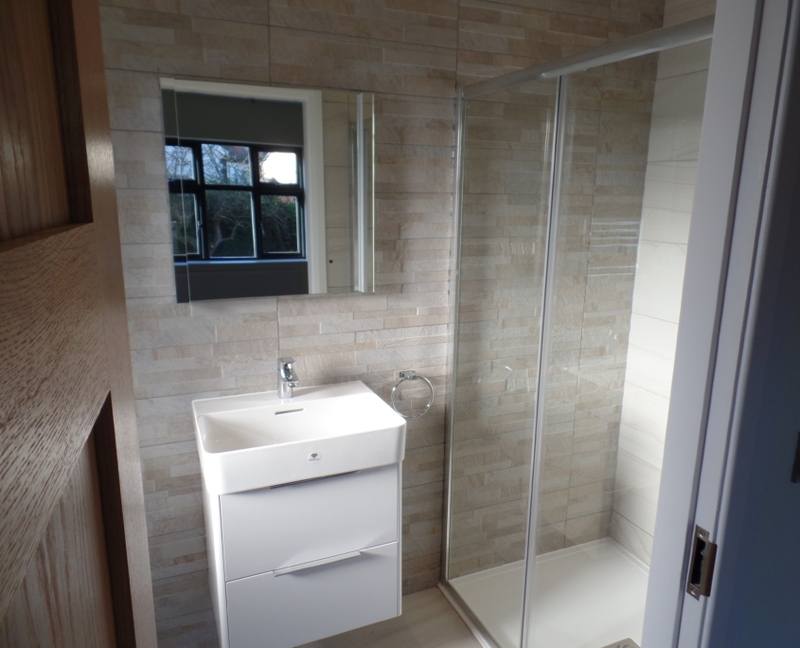 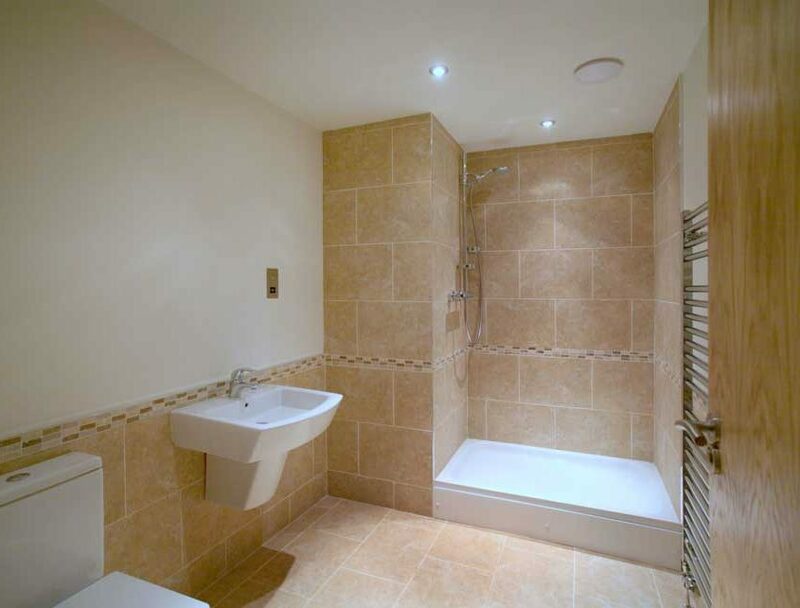 Also on the ground floor is a utility room, bedroom and shower room. 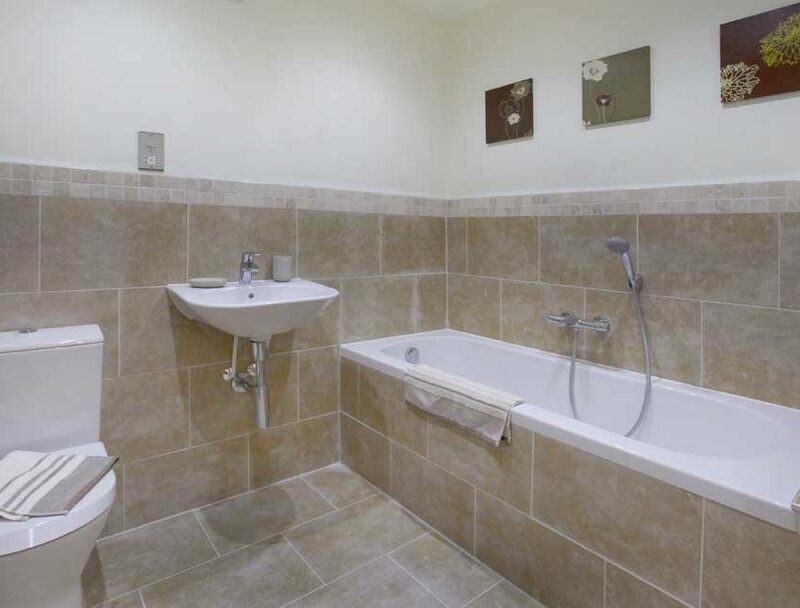 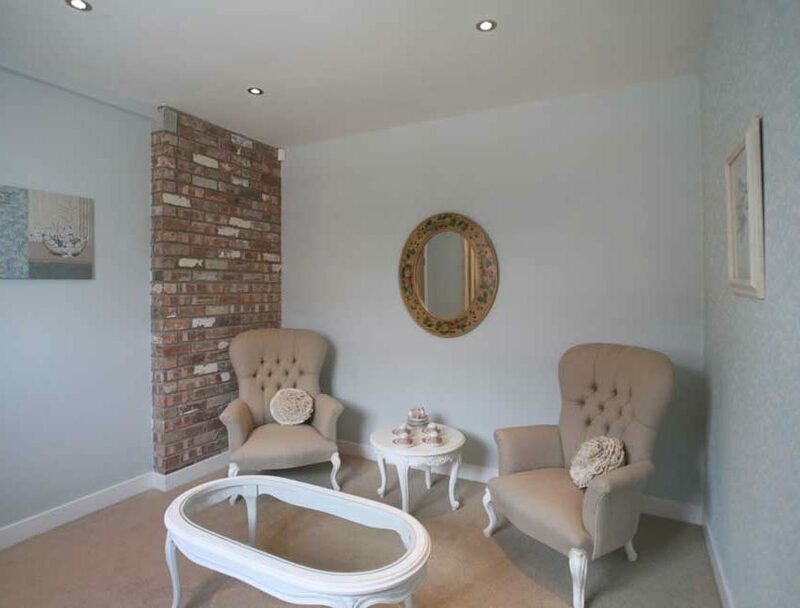 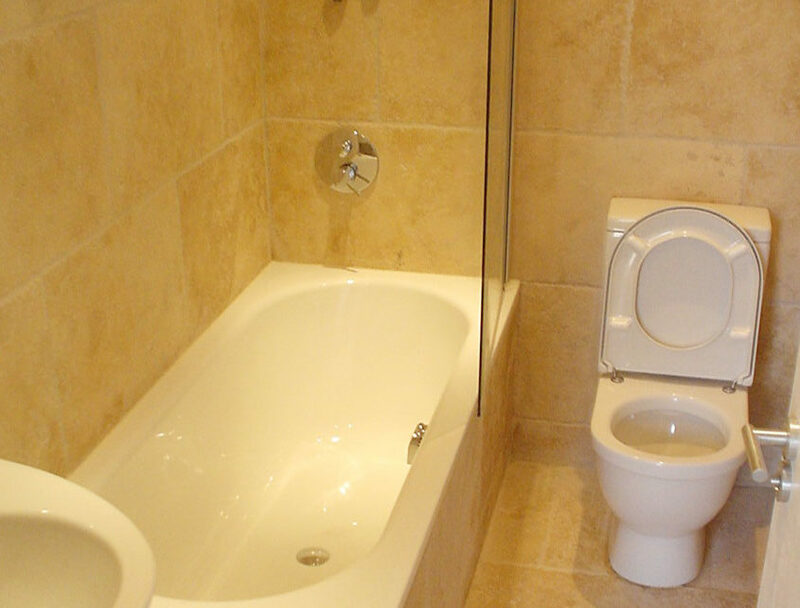 The first floor offers three bedrooms, one en-suite and a family bathroom. 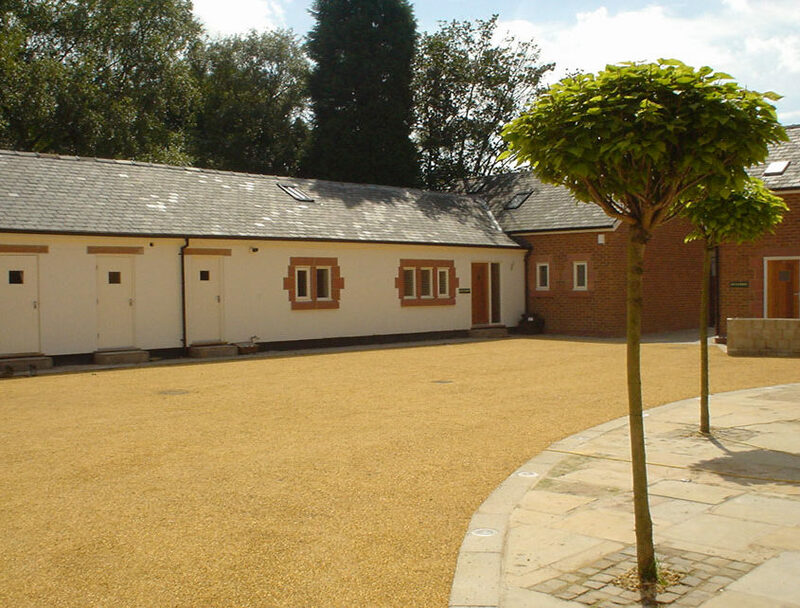 Two car parking spaces are provided and a large landscaped garden at the rear. 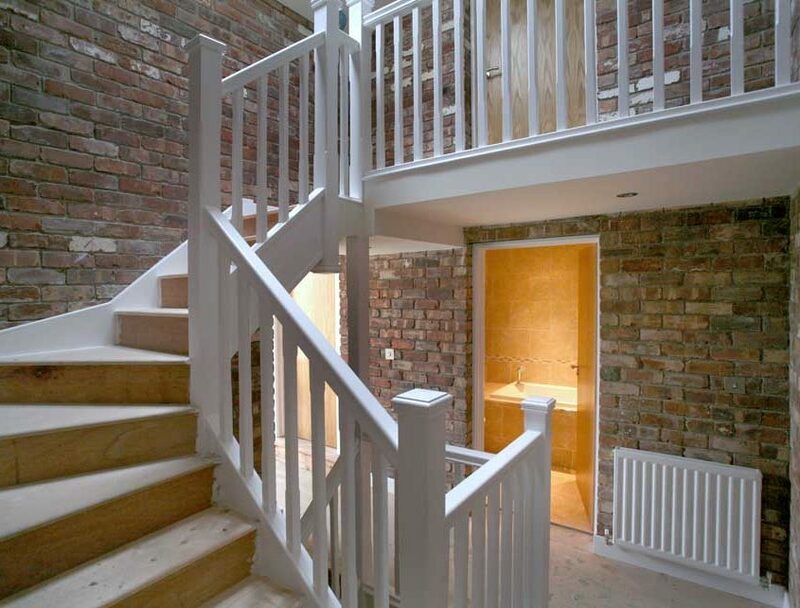 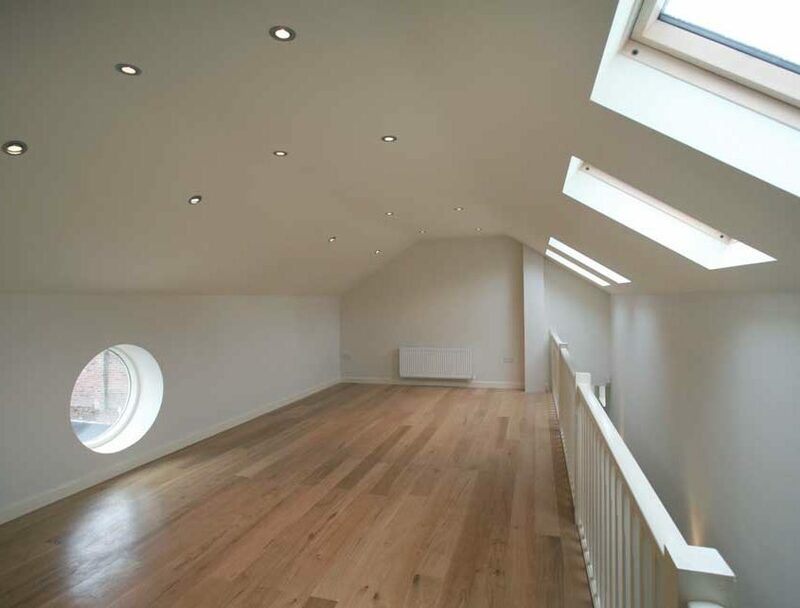 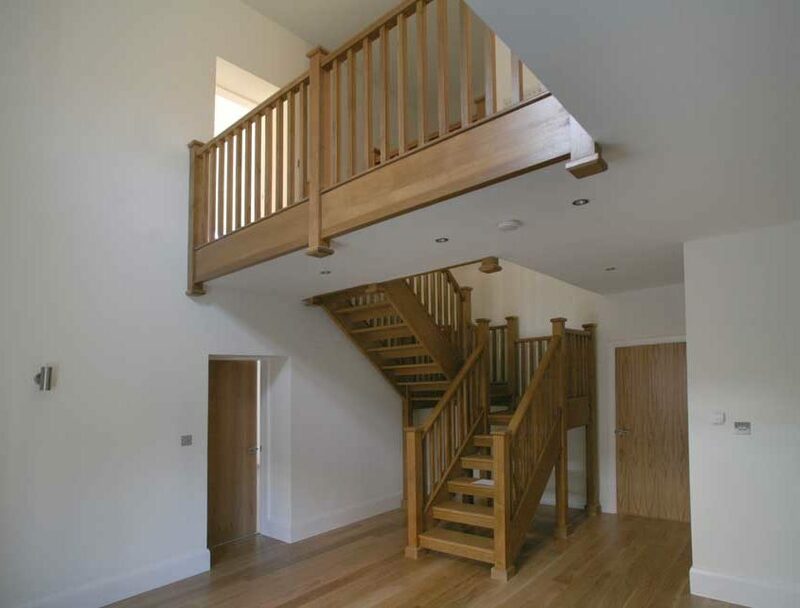 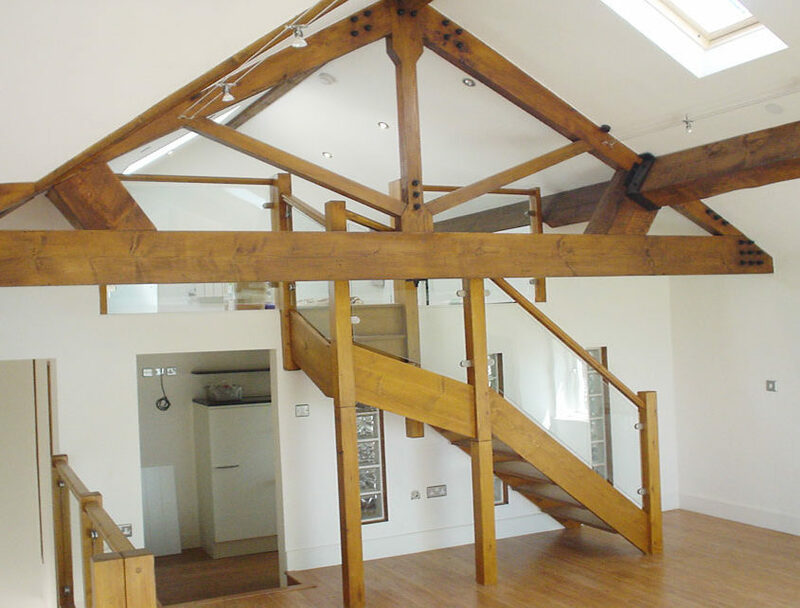 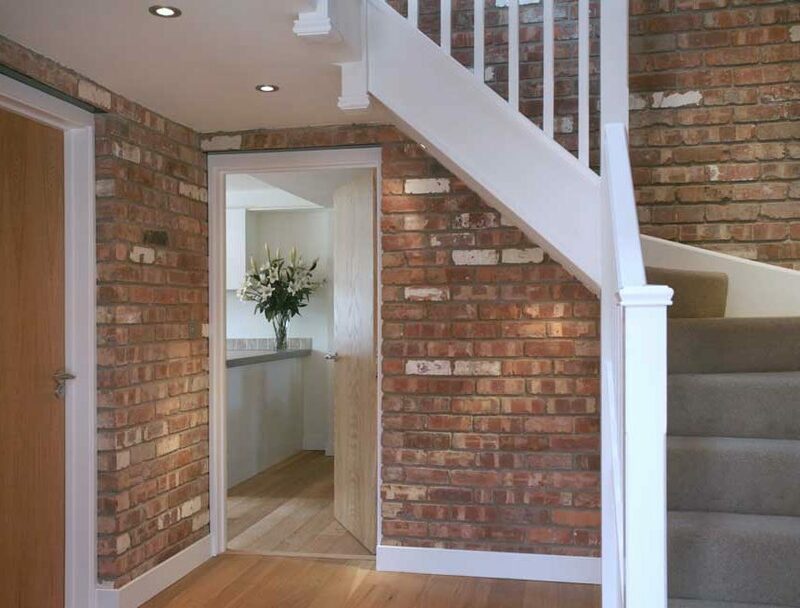 The Oak is a bespoke detached barn offering very spacious accommodation over two floors. On the ground floor is an entrance hall, four bedrooms, two family bathrooms, utility room and a large open plan kitchen living/dining area. 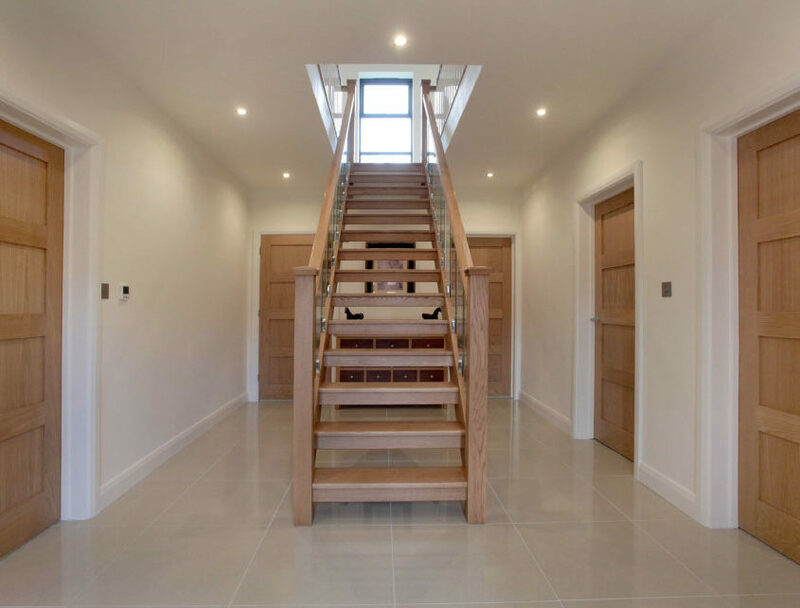 On the first floor is a large lounge area, feature bridged landing, study/library and large master bedroom with en-suite and separate dressing room area. 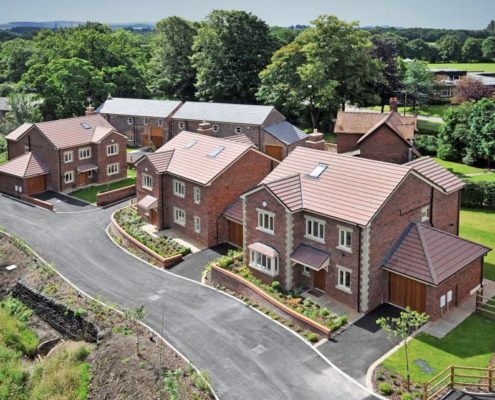 Two car parking spaces plus an integrated garage are provided and a large landscaped garden at the rear. 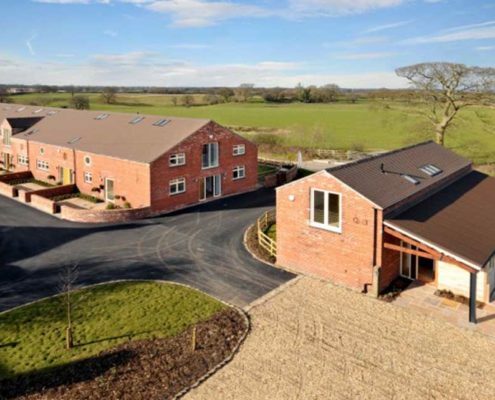 A superb development of three substantial contemporary styled barn conversions in a wonderful rural setting, all with exceptional open views and large landscaped gardens. 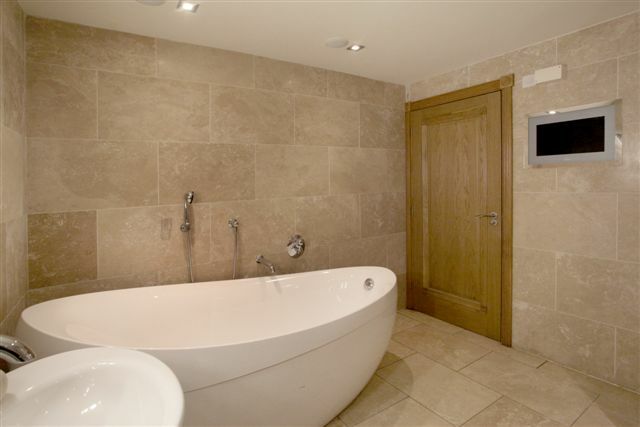 Internal specifications include oak and limestone floor coverings, kitchens by Siematic, and bathrooms by Villeroy and Boch. 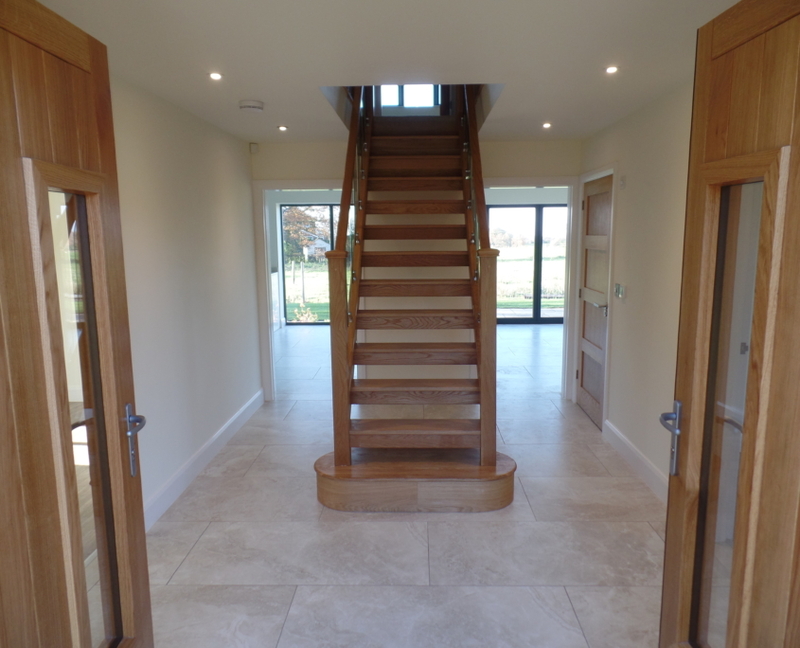 The Barn is attached to the Parlour and is the most open in design enjoying access from each reception room though French doors on to it’s own large private garden. 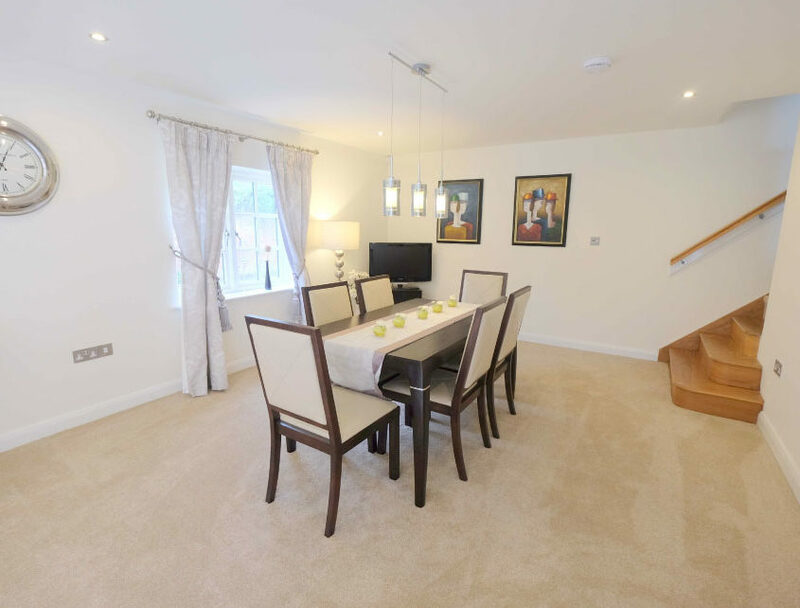 It comprises on the ground floor, entrance hall, spacious living / dining room, large breakfast kitchen, and 2 bedrooms and a bathroom. 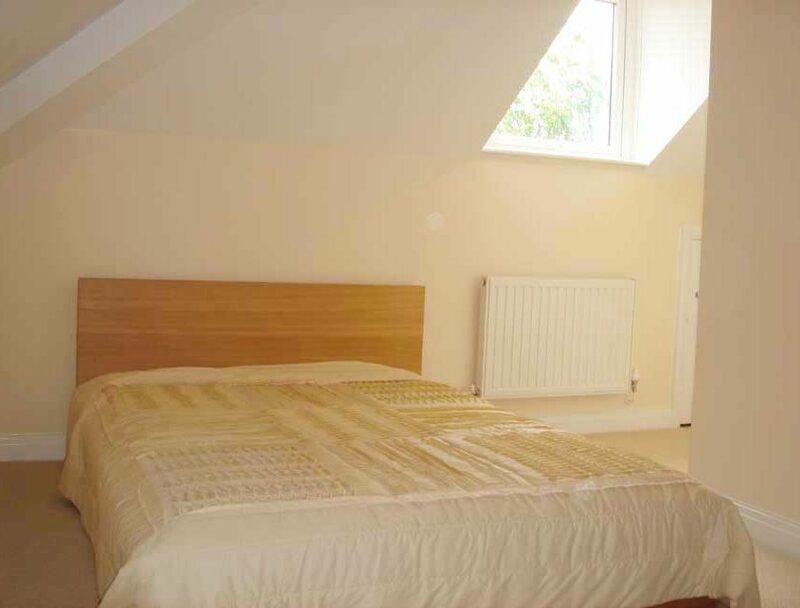 On the first floor are 2 large further bedroom (both ensuite). 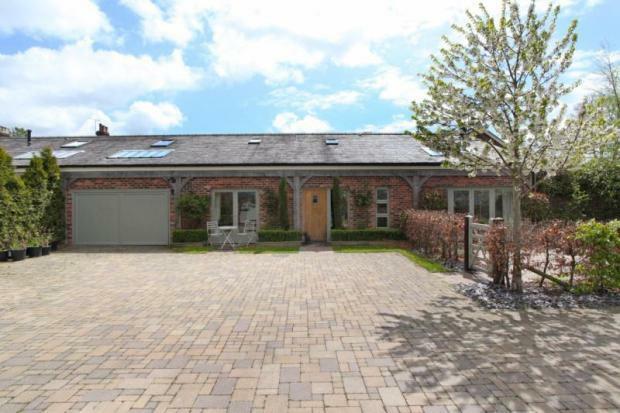 The Parlour is situated at the end of the development in a beautiful position amongst breath taking country views, with a double garage and large adjacent formal landscaped garden in front of the house. 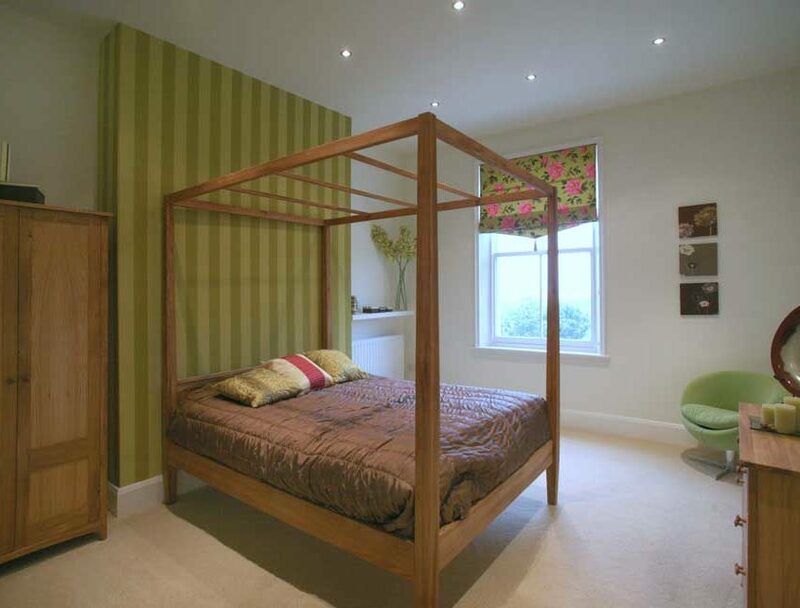 It has extremely spacious rooms and a spectacular kitchen / breakfast / family and play room all in one. 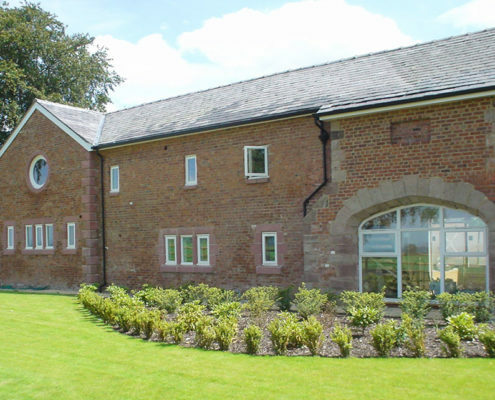 There is also a large dining hall, separate lounge, and two ground floor bedrooms and two bathrooms (one en-suite). 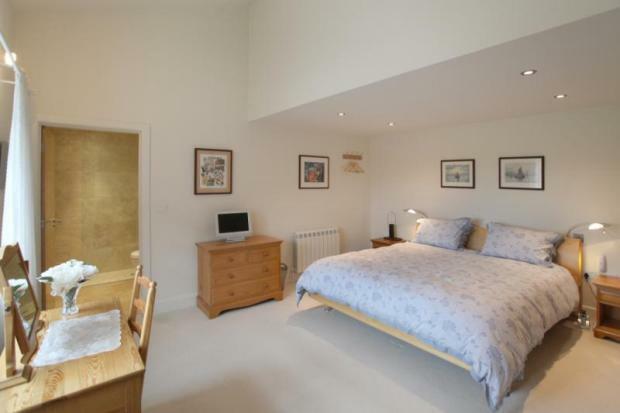 On the first floor are three further bedrooms, and two en-suite bathrooms. 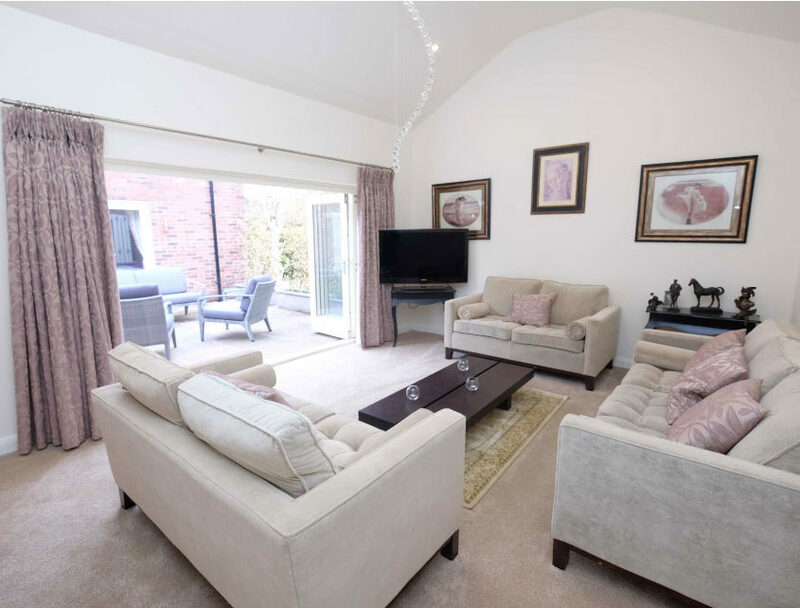 Built to exceptionally high standards, two semi detached Dormer bungalows situated in this highly regarded location within walking distance of Bramhall village. 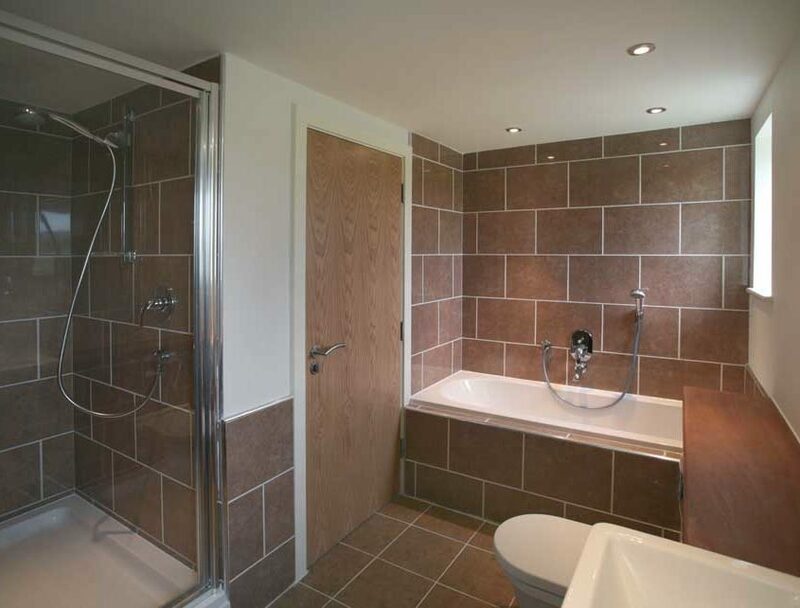 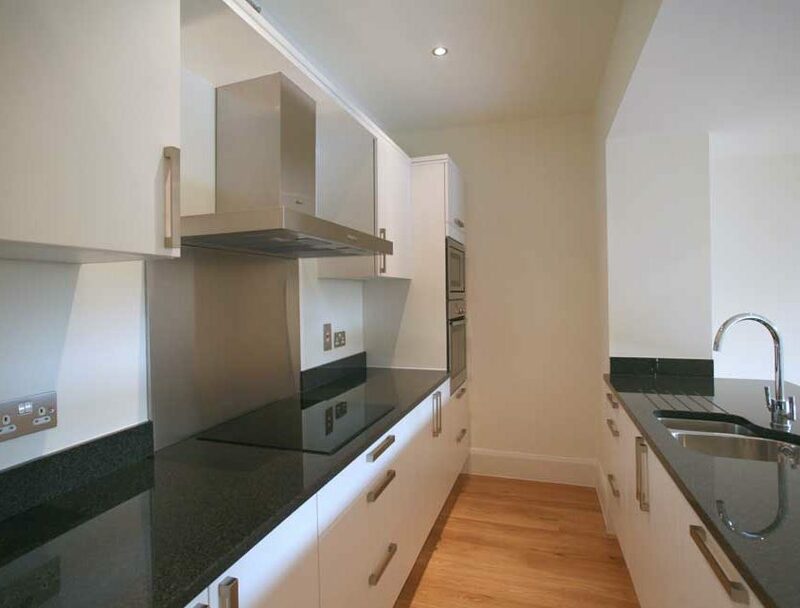 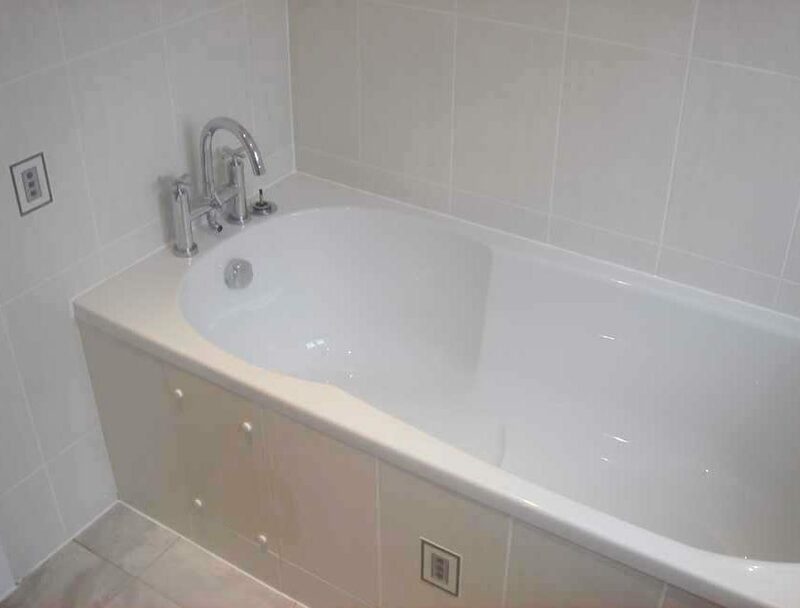 The accommodation features Villeroy and Boch sanitary ware and oak framed fitted kitchens with integrated appliances. 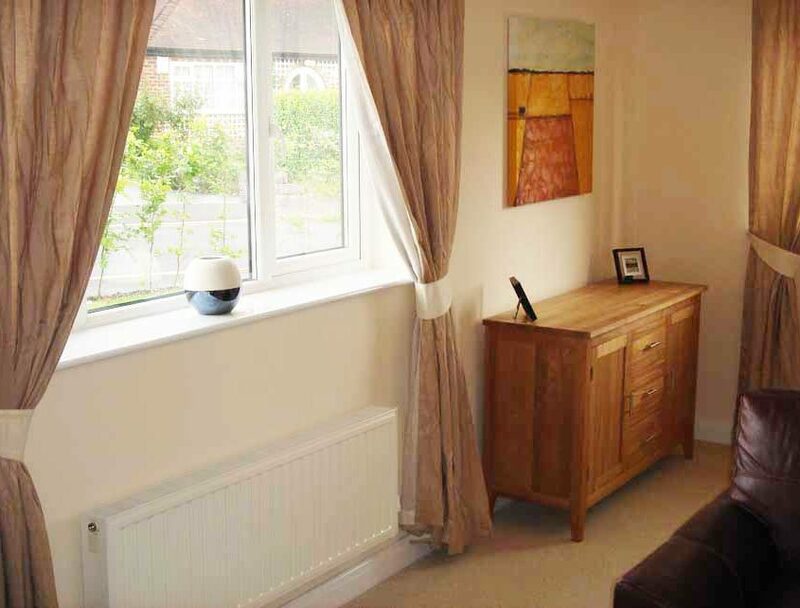 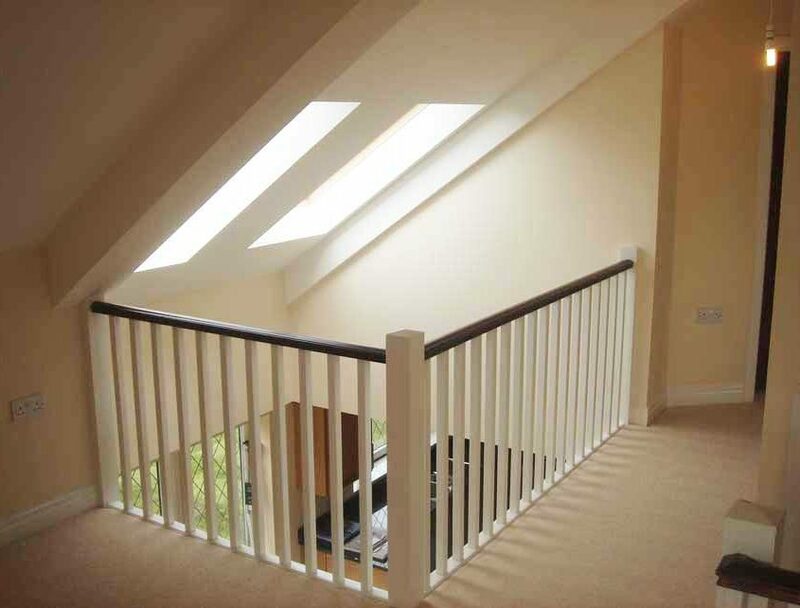 Both the properties are warmed by gas central heating and having uPVC double glazing. 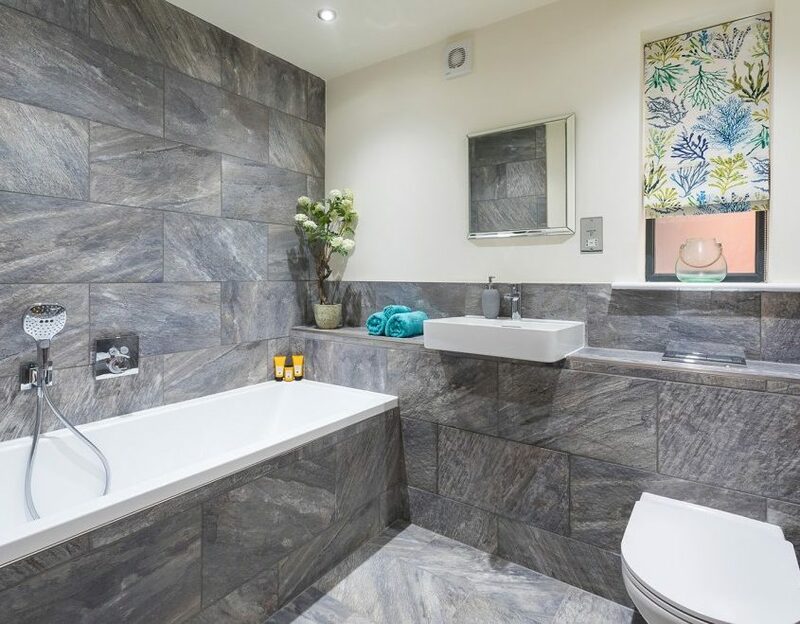 The spacious accommodation comprises entrance hall, lounge, dining kitchens and three bedrooms complemented with en-suite shower rooms and main family bathrooms. 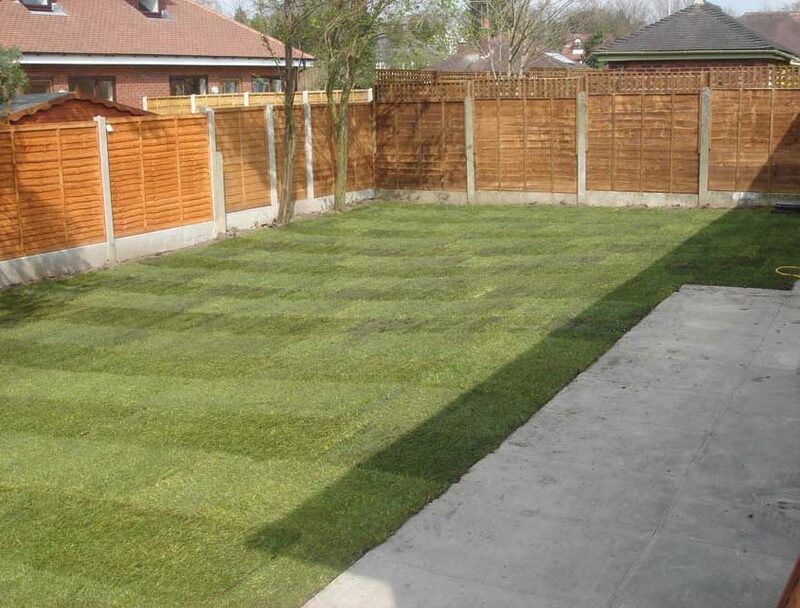 Outside there are lawned gardens with perimeter fencing and tarmac driveway. 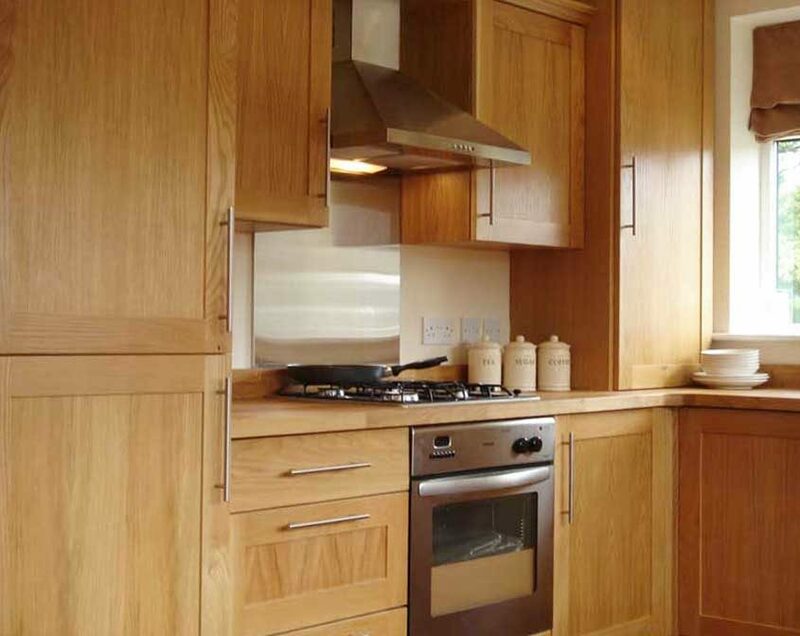 12 Fairway comes with 10 year NHBC guarantee and is finished to the highest of standards throughout with a bespoke hand made solid oak dining kitchen, appliances include such an electric stainless steel oven, gas hob, extractor hood, dishwasher, fridge and freezer. 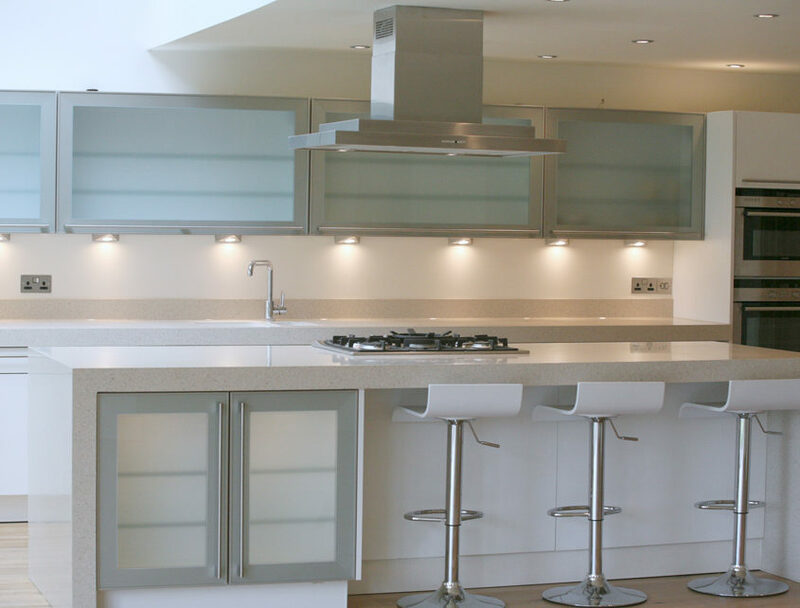 Each integrated appliance providing an elegant clean lined finish. 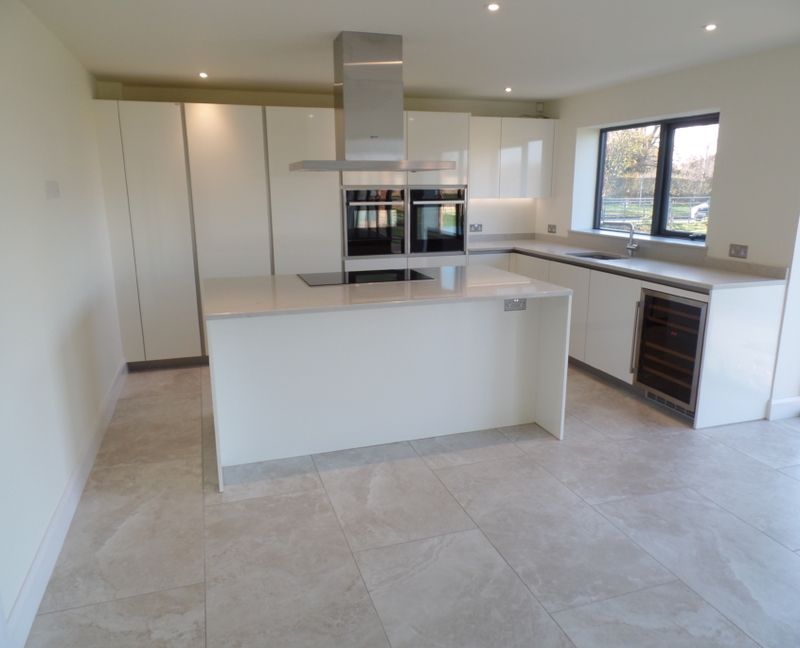 14 Fairway comes with 10 year NHBC guarantee and is finished to the highest of standards throughout with a bespoke hand made solid oak dining kitchen, appliances include such an electric stainless steel oven, gas hob, extractor hood, dishwasher, fridge and freezer. 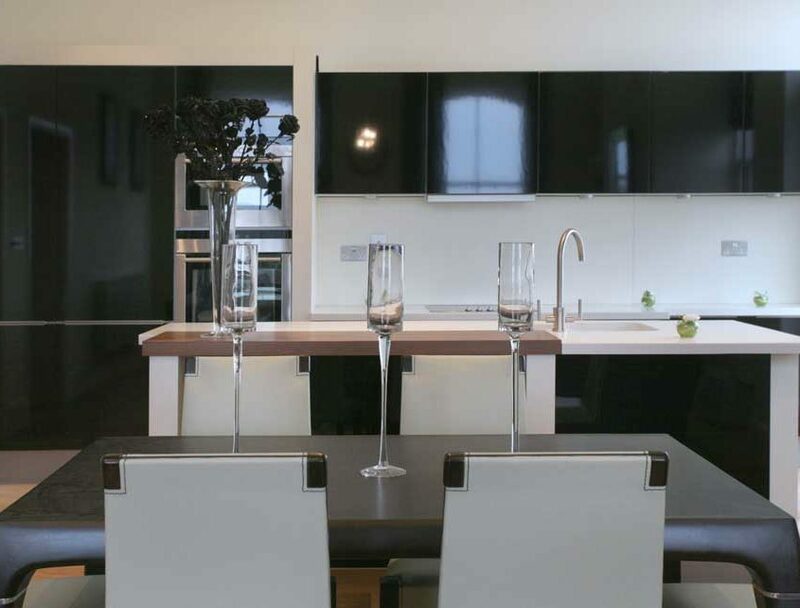 Each integrated appliance providing an elegant clean lined finish. 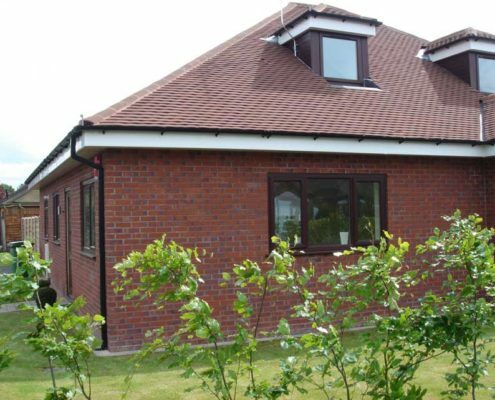 Built to exceptionally high standards, a detached Dormer bungalow situated in this highly regarded location within walking distance of Bramhall village. 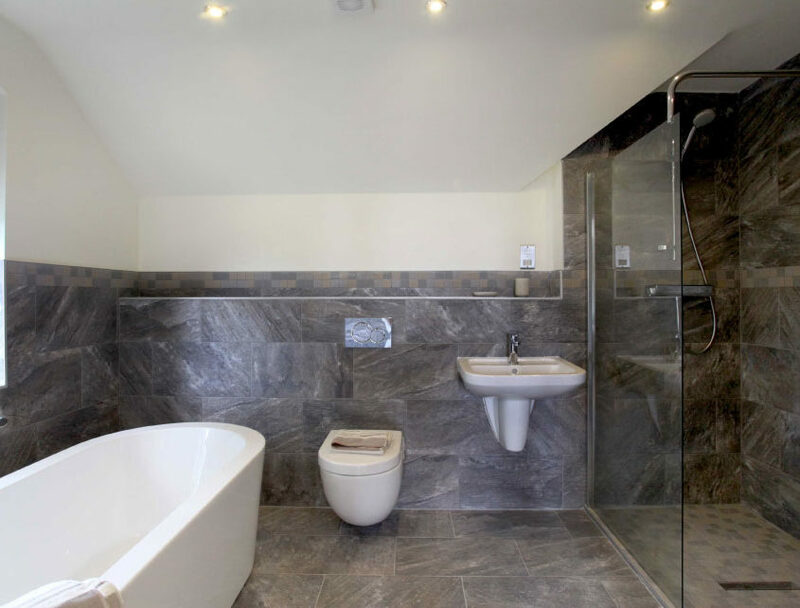 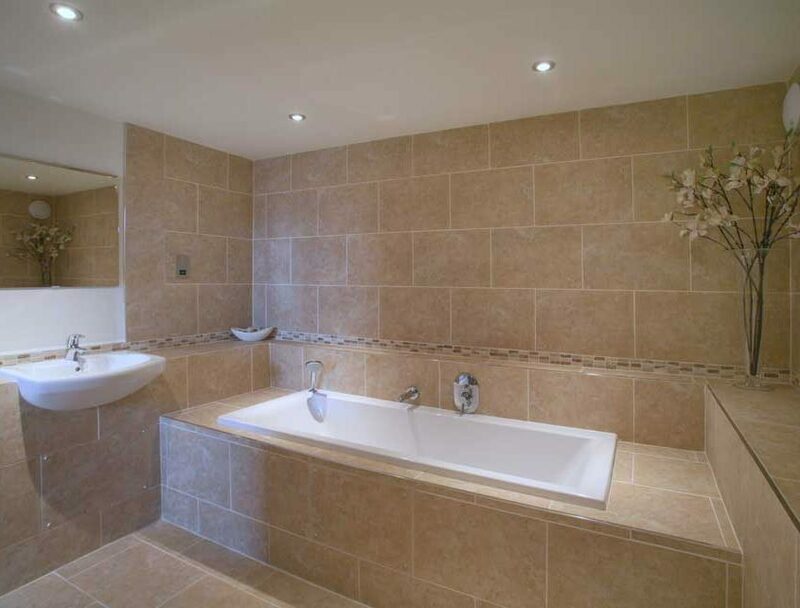 The accommodation features Villeroy and Boch sanitary ware and oak framed fitted kitchens with integrated appliances. 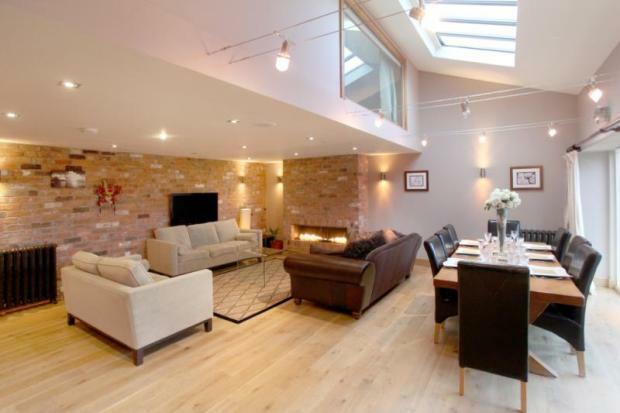 Occupying an outstanding rural location, this prestigious conversion of a former barn and stableyard has resulted in just seven fine Town House properties. 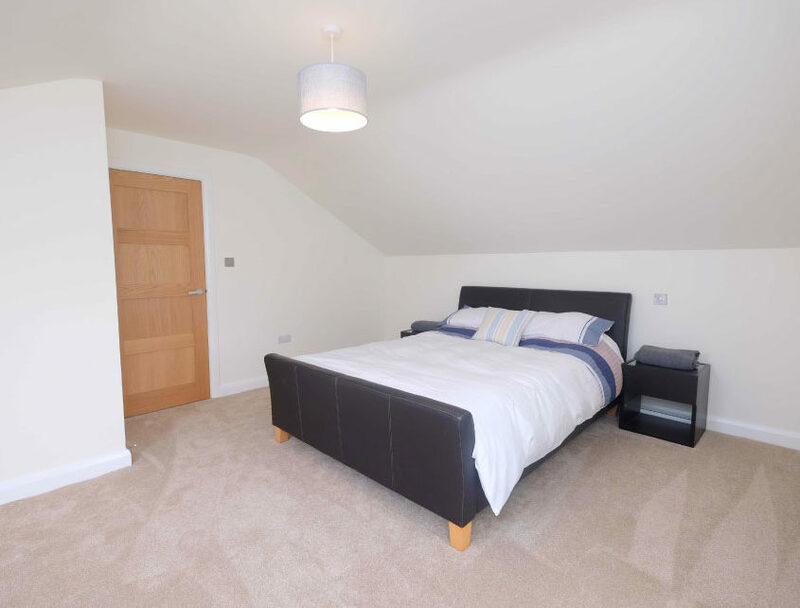 There is an attractive variety of two and three bedroom units arranged over two or three floors, all with a generous allocation of usable floor space. 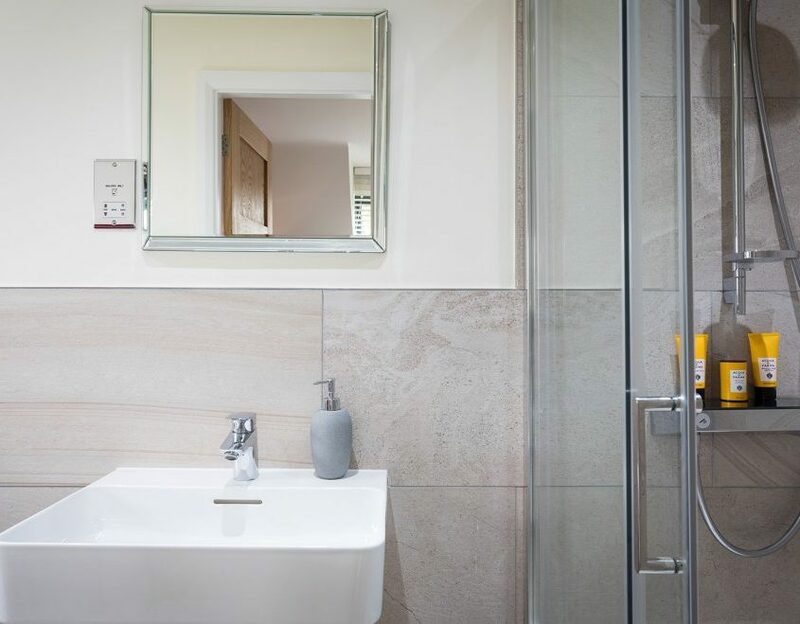 Featuring top quality bathrooms with designer finishes and Siematic kitchens and retaining much of the character of the original barns, these properties offer the valuable bonus of magnificent views across greenbelt farmland.